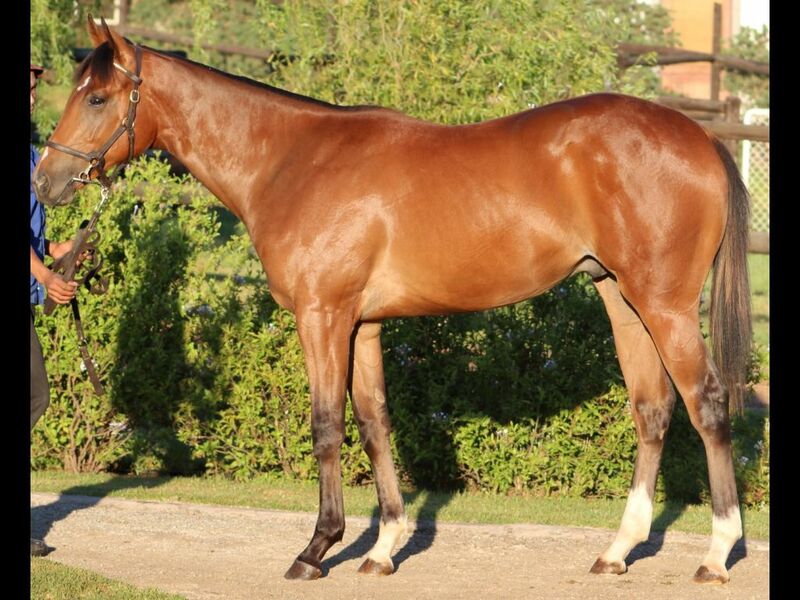 Half-Sister to Bellicosity (2011.c. 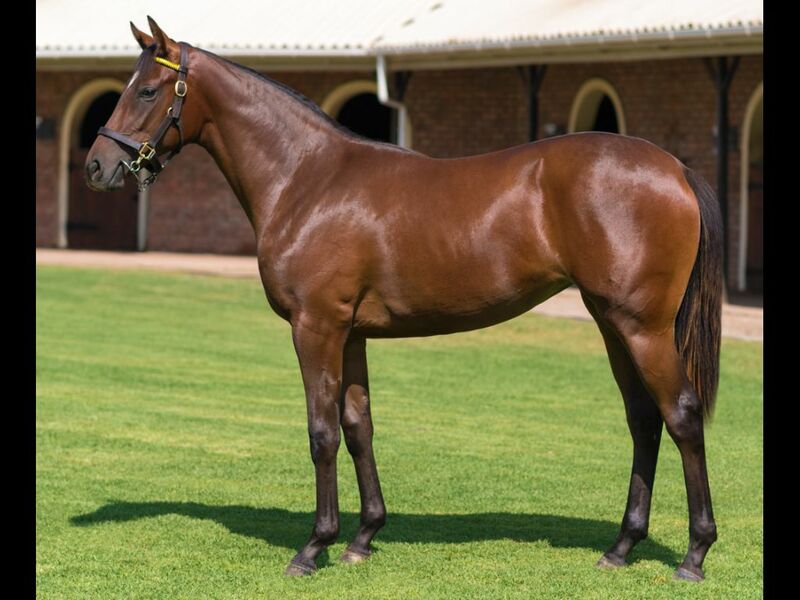 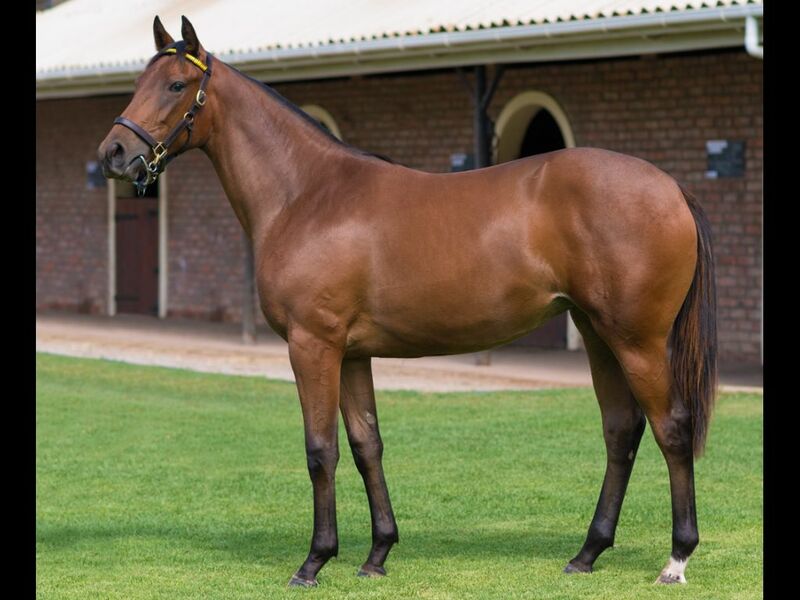 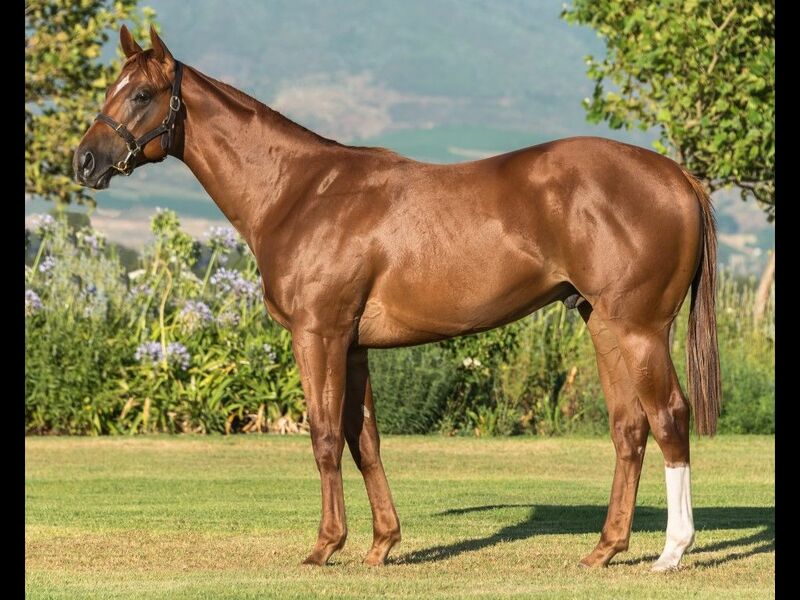 by Fort Beluga-Lady Bequick, by National Assembly-Outstanding Star) - 2nd Greyville Yugandrie Maharaj & Associates H.
Half-Sister to Lavish Gal (2008.f. 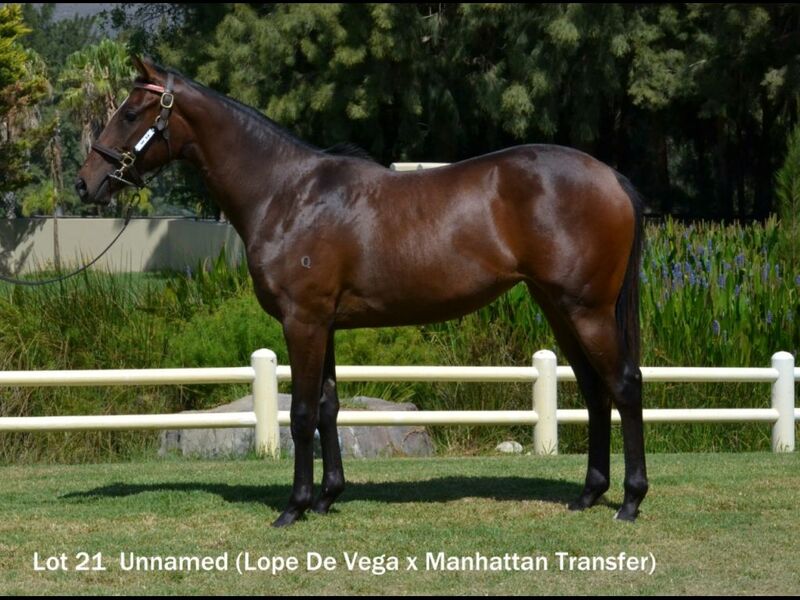 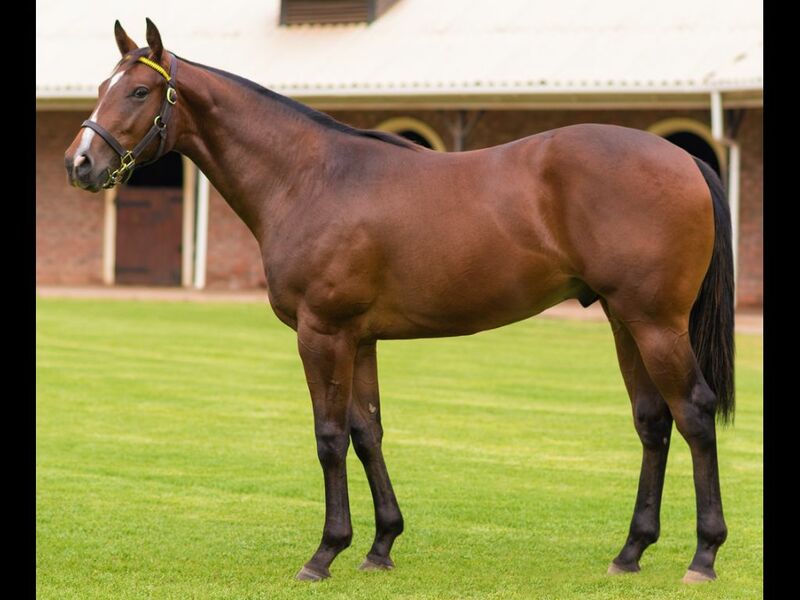 by Makaarem-Lavishly, by West Man-Magic Spender) - 1st Turffontein Book a Table H., 2nd Turffontein Next Race Meeting is Saturday 02 Jan H.
Half-Sister to Humidor (2011.c. 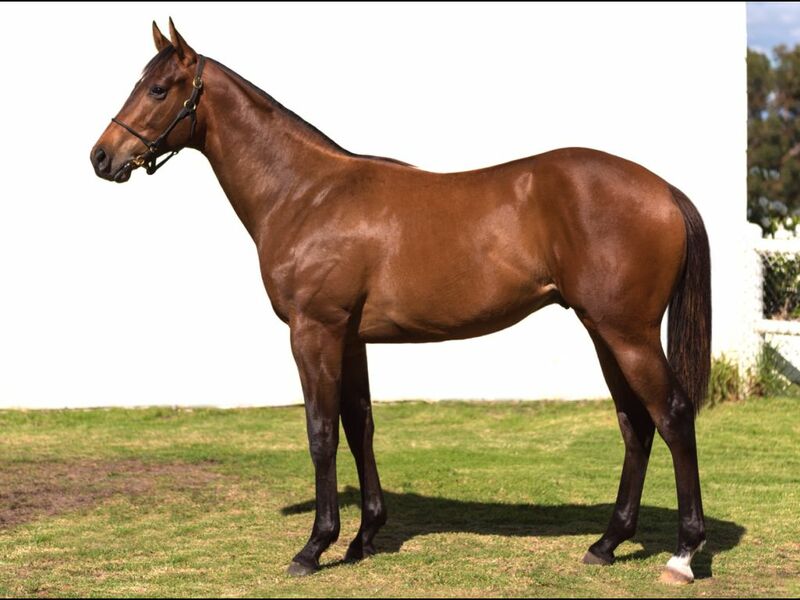 by Miesque's Approval-Lewinsky's Lover, by Jallad-Vote Catcher) - 1st Scottsville Soccer 10 H.
Closely related to FORRIES WALTZ (2011.c. 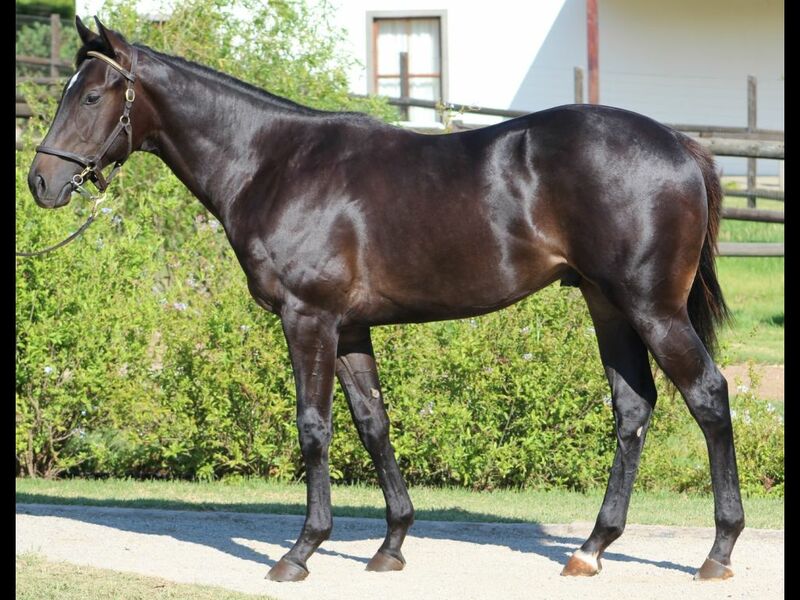 by Greys Inn-Rose of Tralee, by Rich Man's Gold-Kenmare Belle) - 1st Meydan Fujairah Container Terminal H.
Half-Brother to Beaute Noire (2013.f. 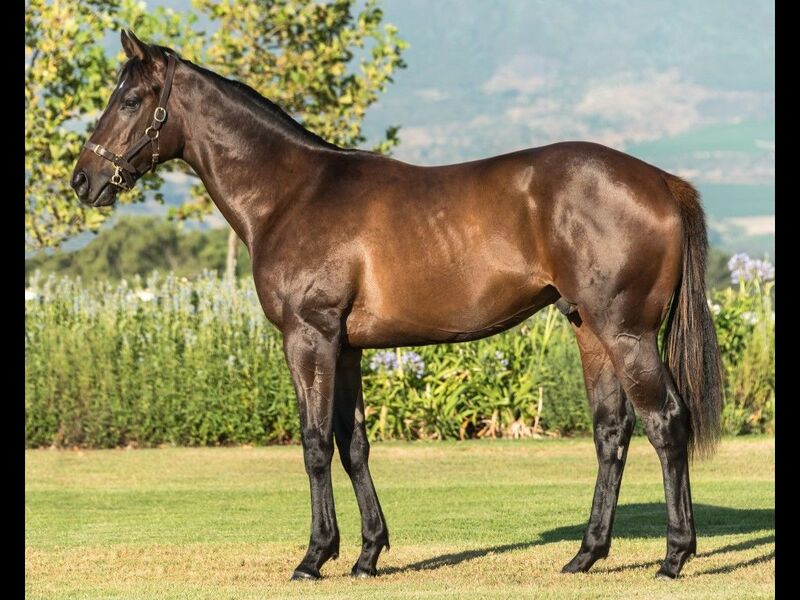 by Black Minnaloushe-Logontonews, by London News-Logetta) - 3rd Kenilworth Maiden Juvenile P.
Closely related to Clifton Surf (2011.c. 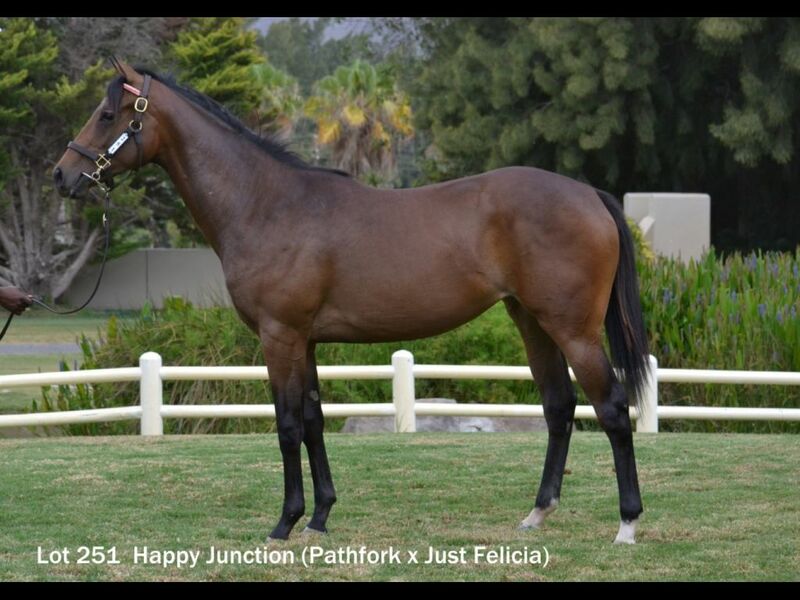 by Antonius Pius-Elda Ribetti, by Jallad-Luciennes) - 1st Fairview Racing. 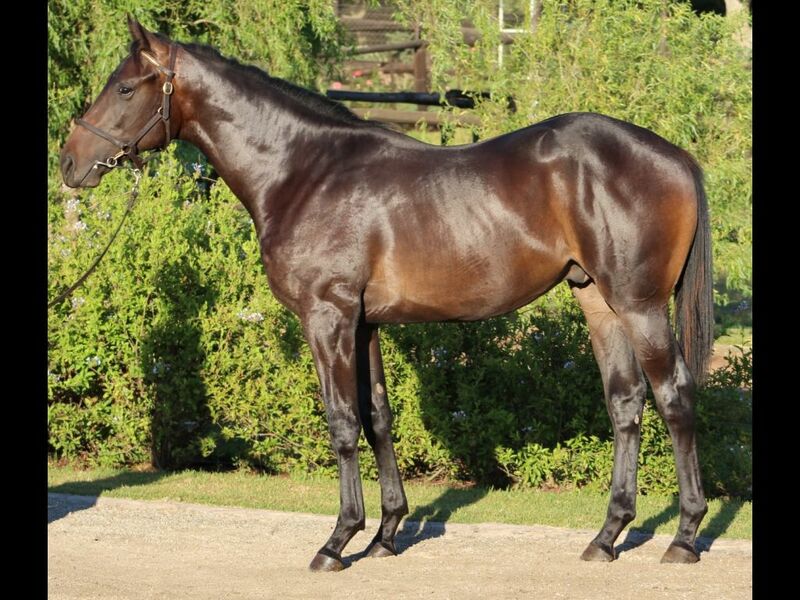 It's a Rush P.
Half-Sister to Star Express (2012.f. 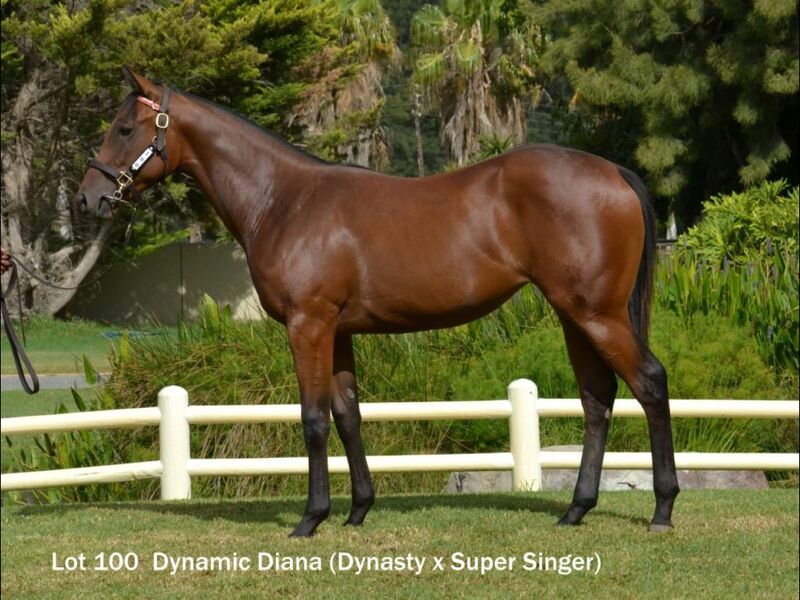 by Silvano-Majestic Star, by Doowaley-Top Times) - 1st Kenilworth Auto Electro Dynamics H.
Sister to Star Burst Galaxy (2013.f. 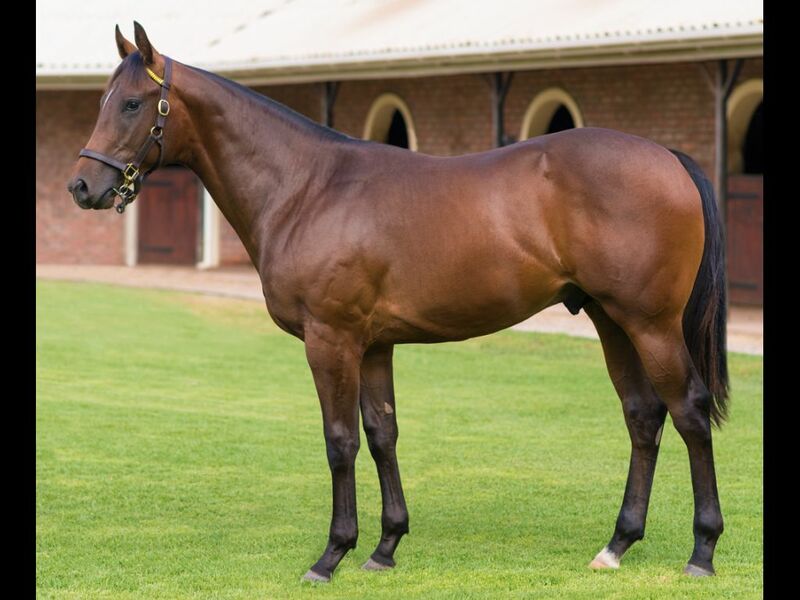 by Var-Majestic Star, by Doowaley-Top Times) - 1st Turffontein Maiden Juvenile P.
From the same family as DOOR OF DECEPTION (2011.c. 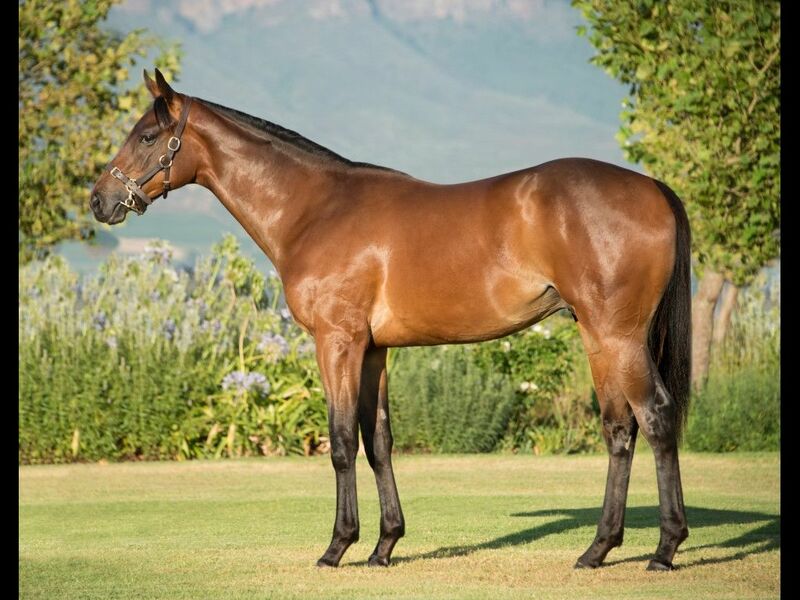 by Count Dubois-Girl in Every Port, by Captain Al-Play Hard) - 1st Fairview Season's Greetings Progress P.
Half-Sister to Sylvan Crest (2011.g. 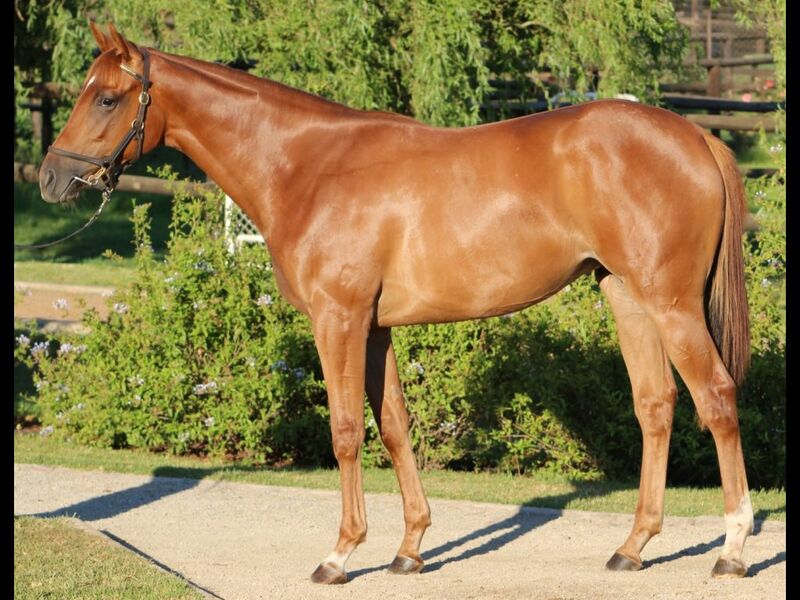 by Husson-Manhattan Transfer, by Carnegie-Military Belle) - 3rd Tatura RC Complete Equipment Sales Maiden P.
Closely related to COLD AS ICE (2011.f. 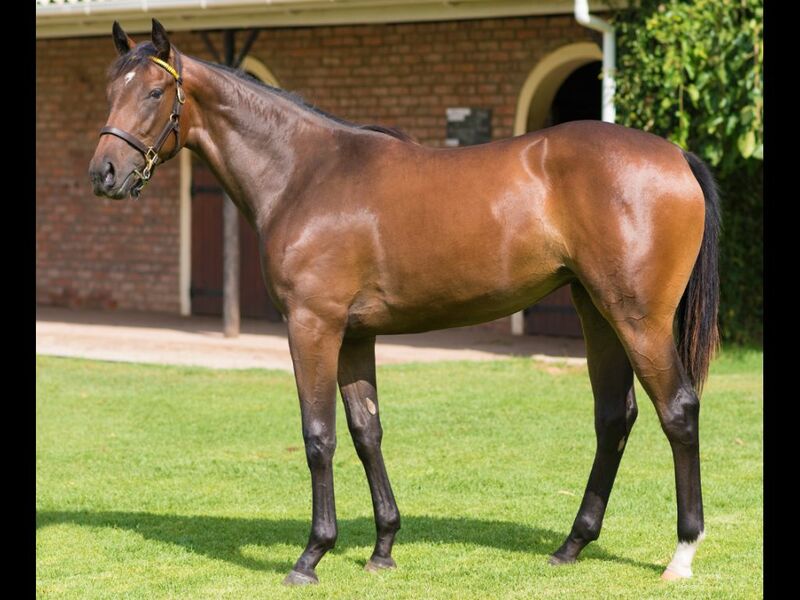 by Western Winter-Viva, by National Assembly-Hot Grass) - 1st Chelmsford City Bet Totetrifecta S.
Half-Brother to Global Express (2009.g. 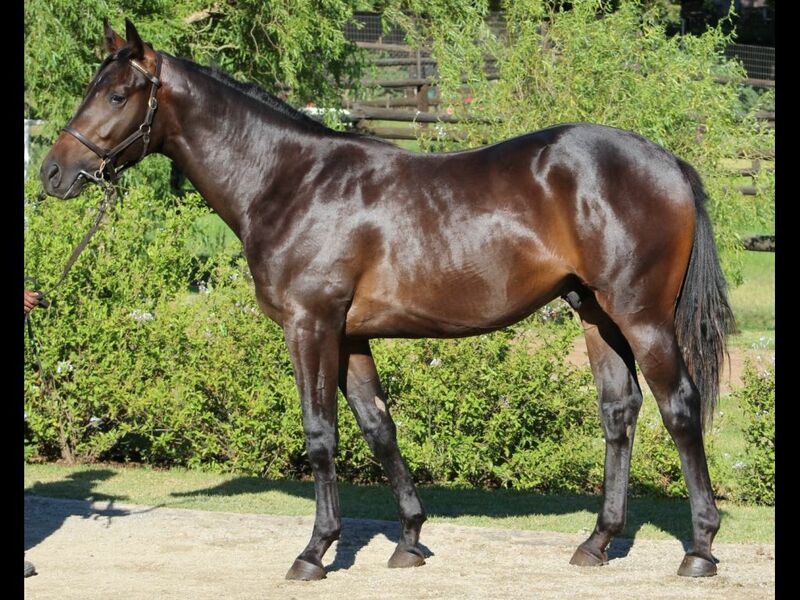 by Jet Master-Mink Coat, by London News-French Treasure) - 1st Fairview Racing. 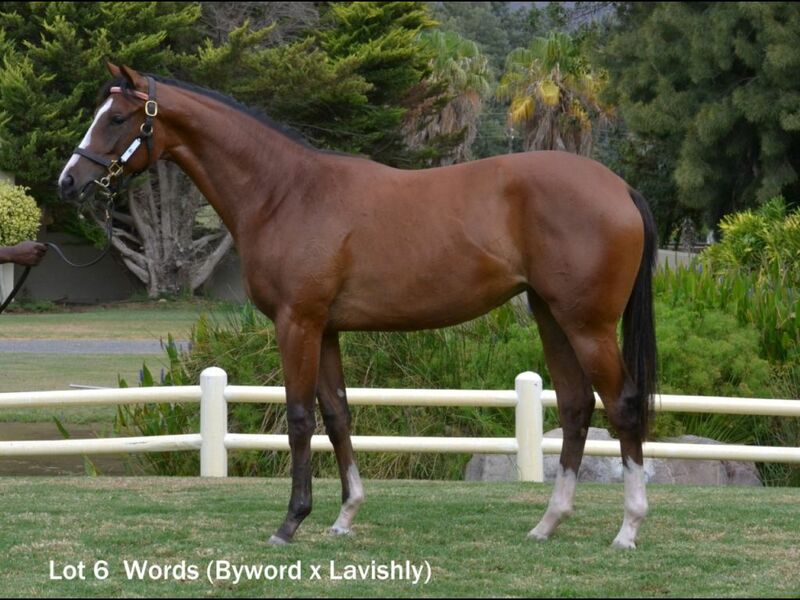 It's a Rush H.
Out of a sibling to Giggly (2012.f. 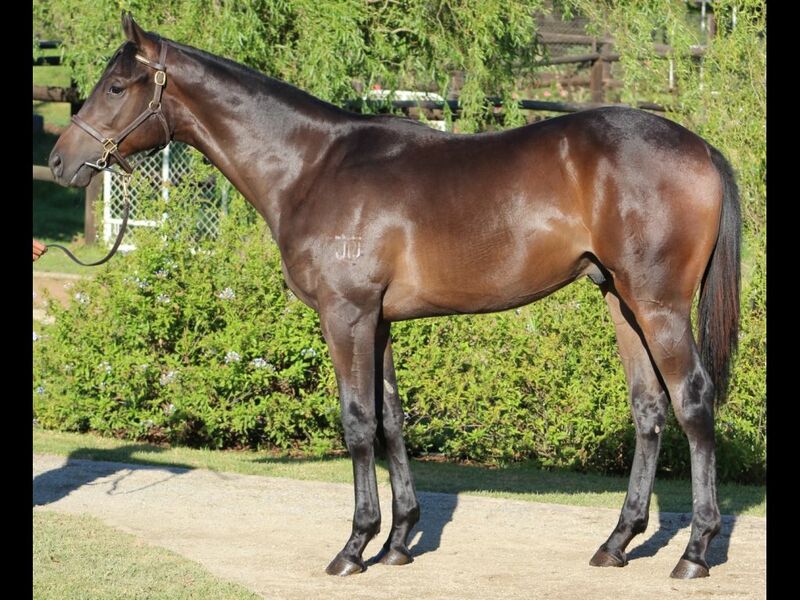 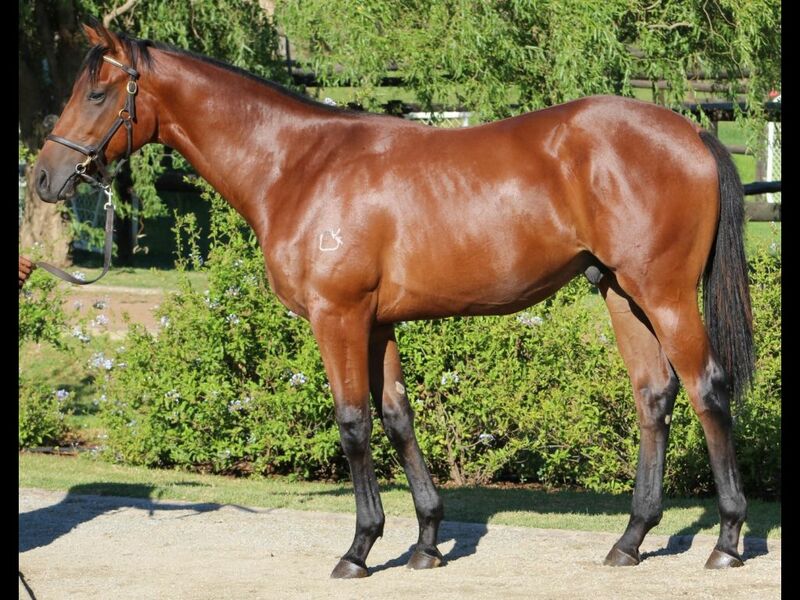 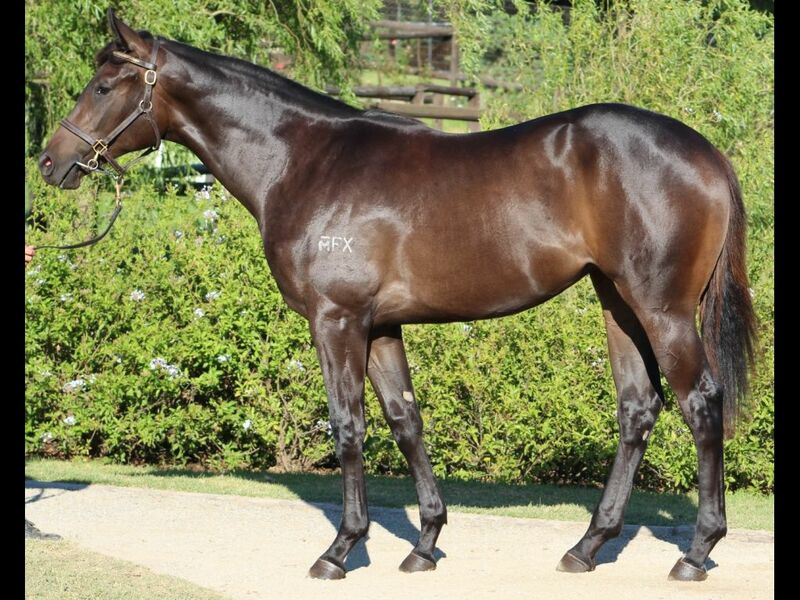 by Domesday-Chuckle, by Danehill-Clowning) - 1st Benalla RC Techwool Trading Maiden P.
Half-Brother to Sava Sunset (2012.f. 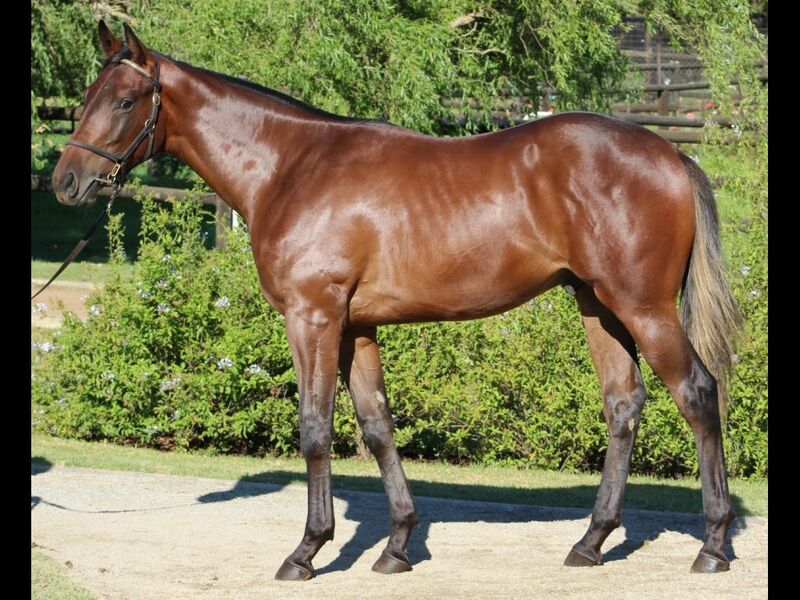 by Noordhoek Flyer-Muvango, by Manshood-Yangtze) - 3rd Kenilworth Thank You for Your Patronage Maiden P.
Half-Brother to Brazzaville (2012.c. 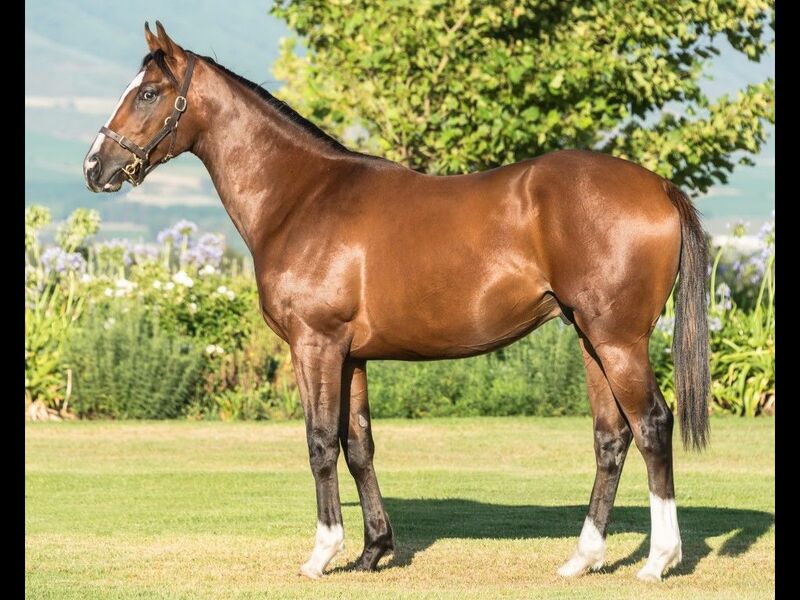 by Mambo in Seattle-Nordic Spring, by Fort Wood-Northern Debut) - 2nd Greyville Rotary's Gift to the World Maiden P.
Half-Sister to Aussie Austin (2013.c. 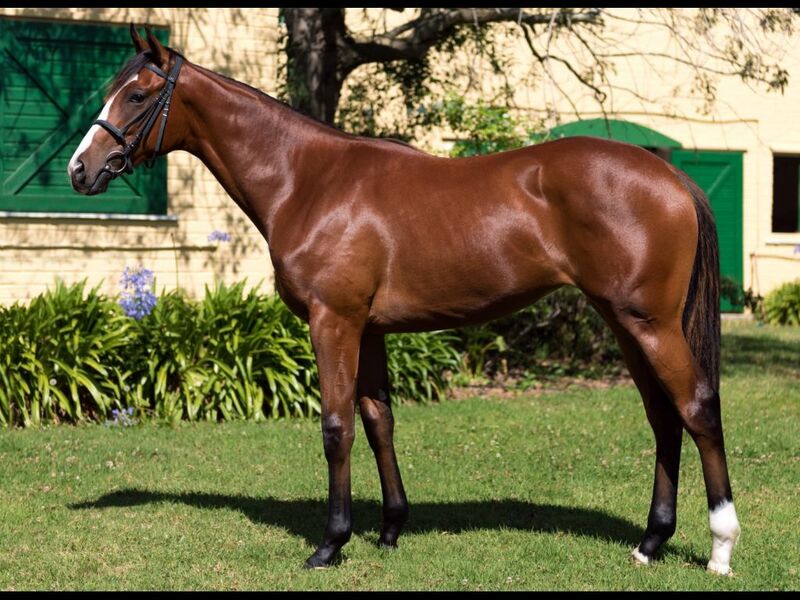 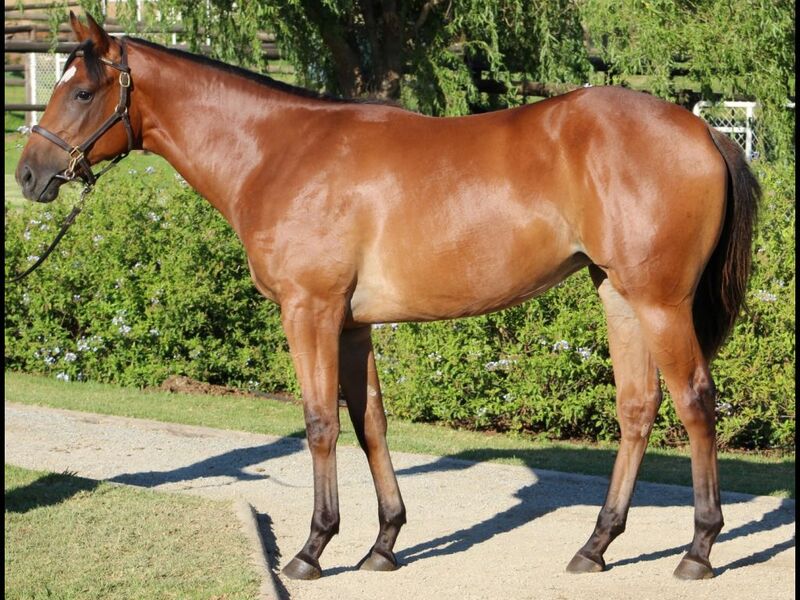 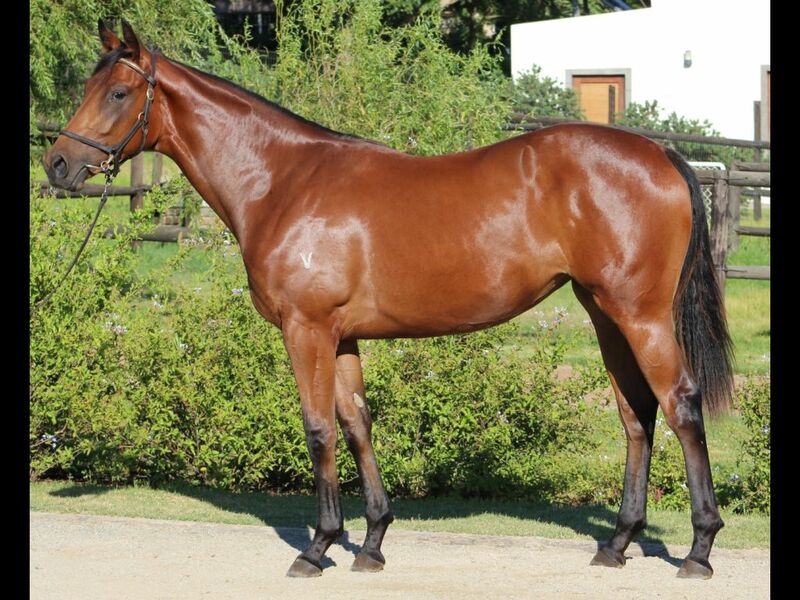 by Pluck-Nufoos, by Elusive Quality-Mythical Play) - 2nd Turffontein Maiden Juvenile P.
Brother to Our Icon (2011.c. 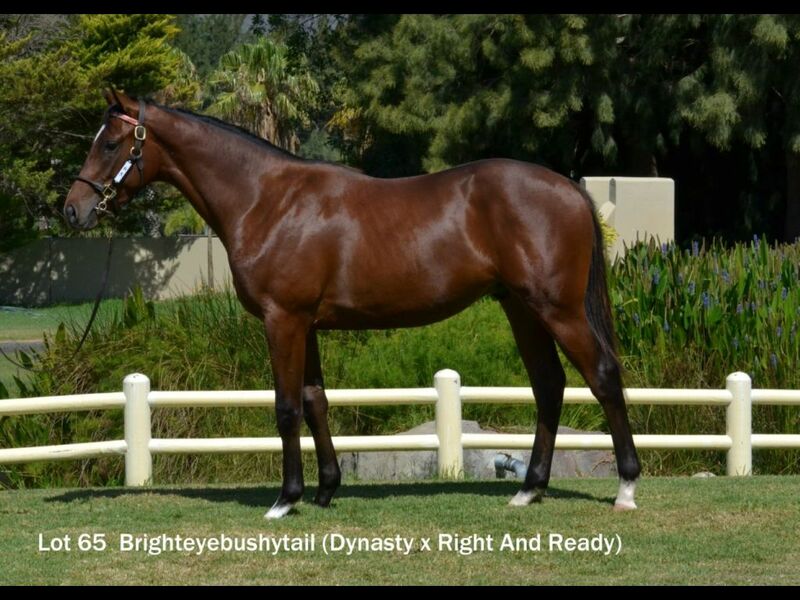 by Dynasty-Our Table Mountain, by Fusaichi Pegasus-Hidden Light) - 3rd Kenilworth Haak Fourie & Snyman H.
Half-Brother to Taittinger Fizz (2012.f. 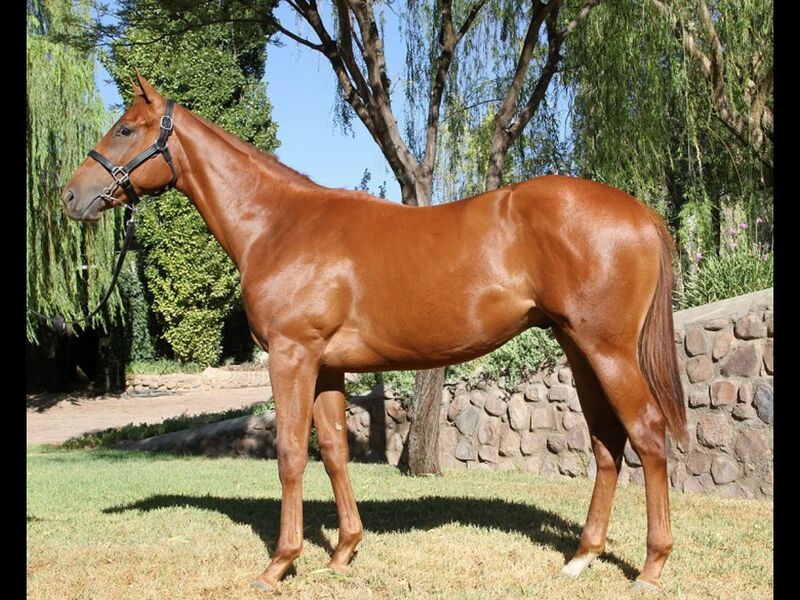 by Horse Chestnut-Pasadora Fizz, by Slew Gin Fizz-Pasadora) - 2nd Turffontein Maiden P.
Sister to Penny Serenade (2012.f. 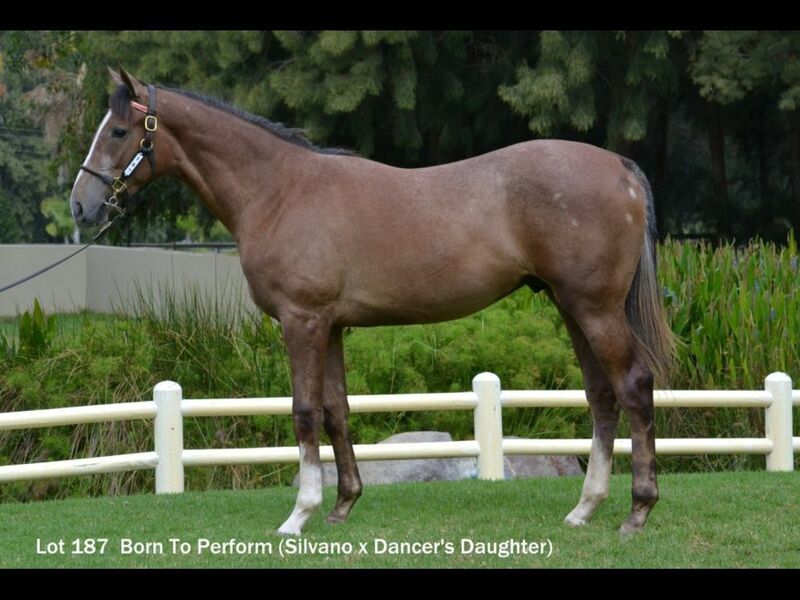 by Silvano-Pay the Piper, by Saumarez-Little Erna) - 1st Turffontein Cape Thoroughbred Sales P.
From the same family as Cinematic (2012.f. 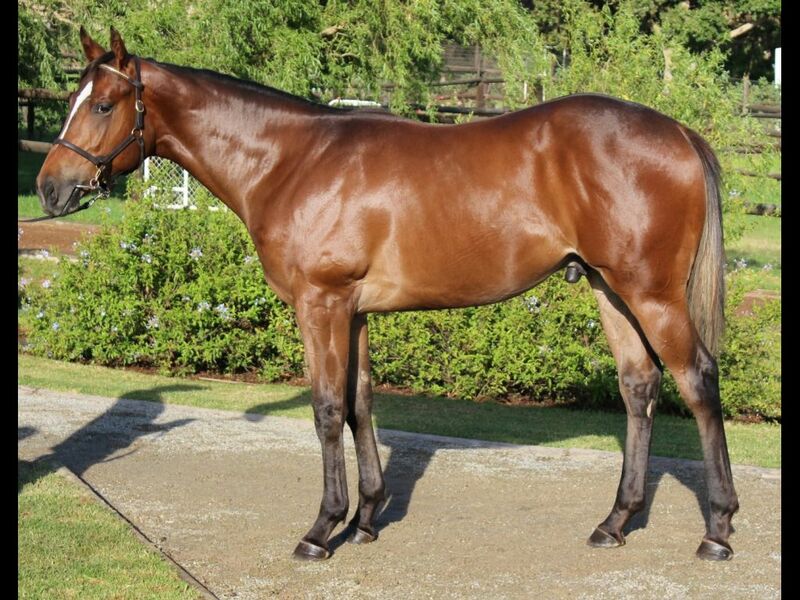 by Dane Shadow-Snapshots, by Success Express-Hold That Smile) - 1st Avondale JC Auckland 24hr Glass Maiden S.
Half-Sister to Fifty Cents (2012.c. 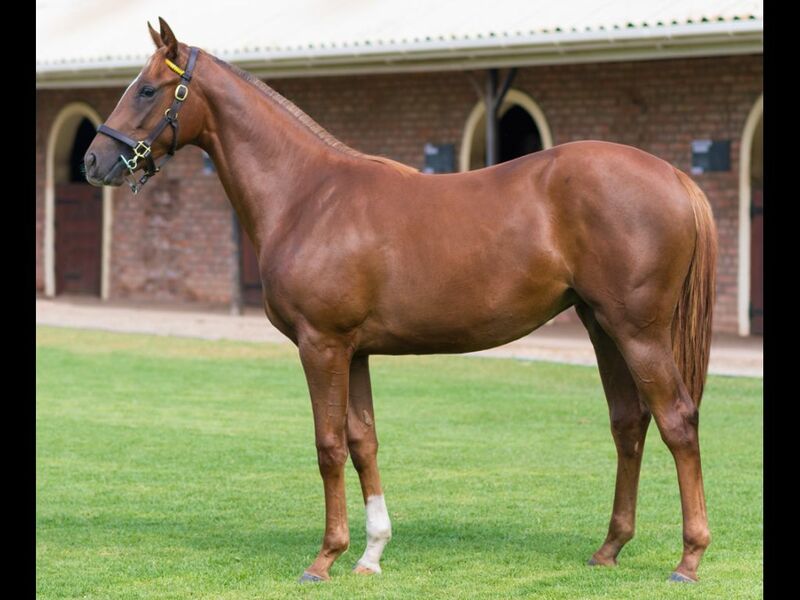 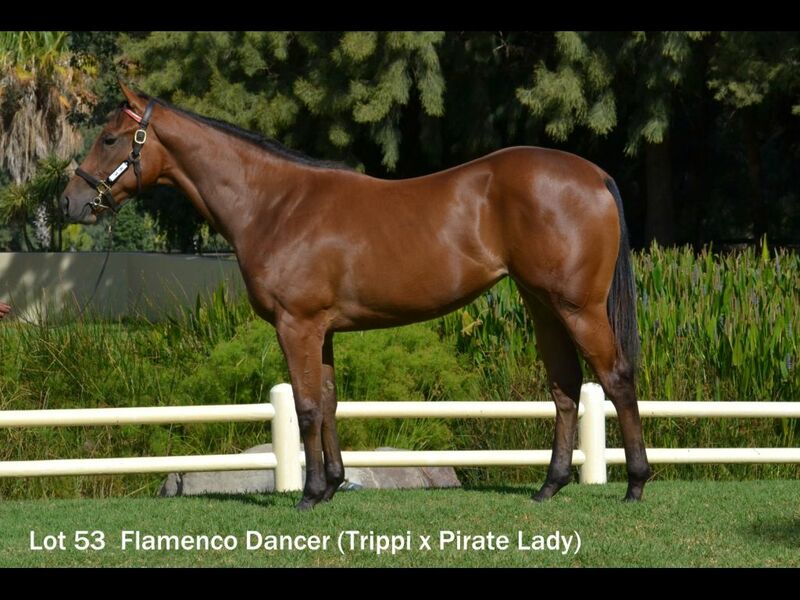 by Trippi-Prestine Performer, by Rambo Dancer-Pure Crystal) - 3rd Kenilworth The Chasewaterford H., 3rd Kenilworth Franschhoek Motor Museum H.
Half-Sister to Lochte (2010.g. 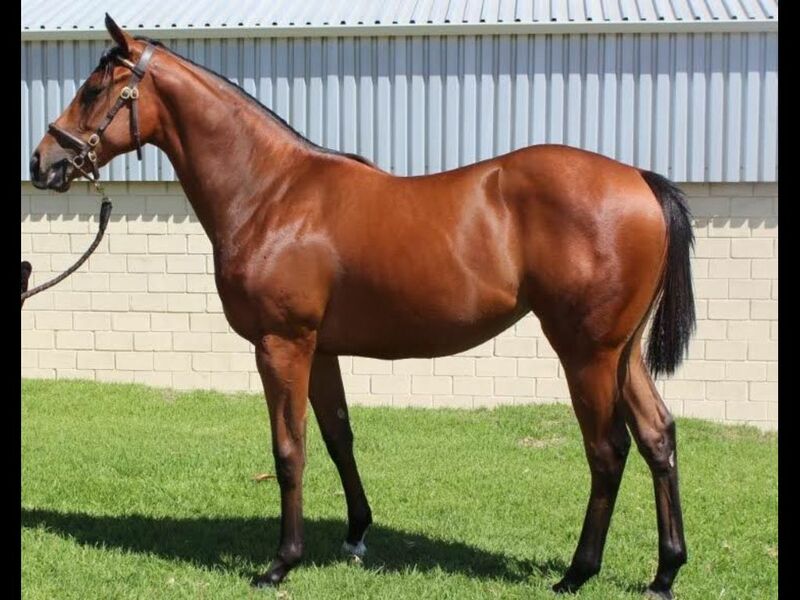 by Kaphero-Quality Time, by Elusive Quality-Fantail) - 1st Queanbeyan RC Allbids.com.au Maiden P., 3rd Queanbeyan RC J&SBritton Taxis P.
Half-Sister to Memory of Time (2012.g. 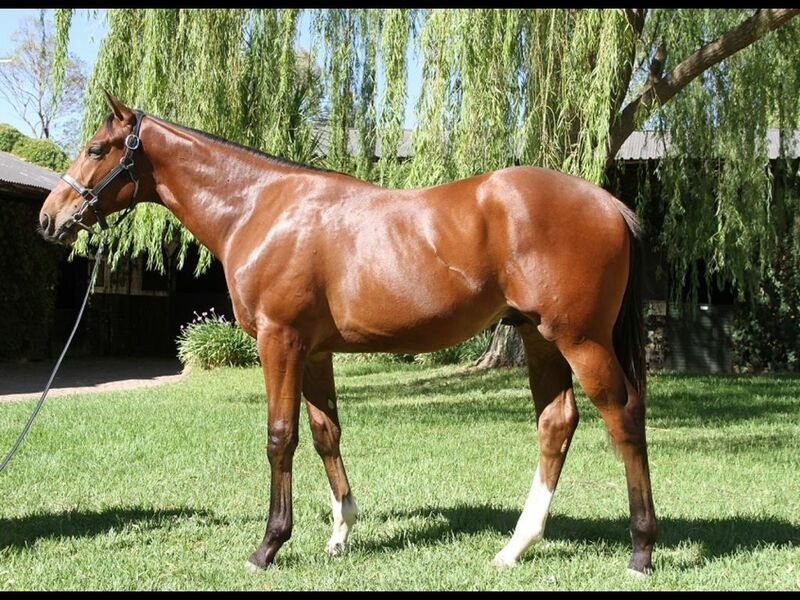 by Snitzel-Quality Time, by Elusive Quality-Fantail) - 2nd Kyneton & Hanging Rock RC Bruces Creek Yacht Club Maiden P., 2nd Benalla RC Extons Earthmoving Maiden P.
Out of a sibling to Consider the Cat (2010.c. 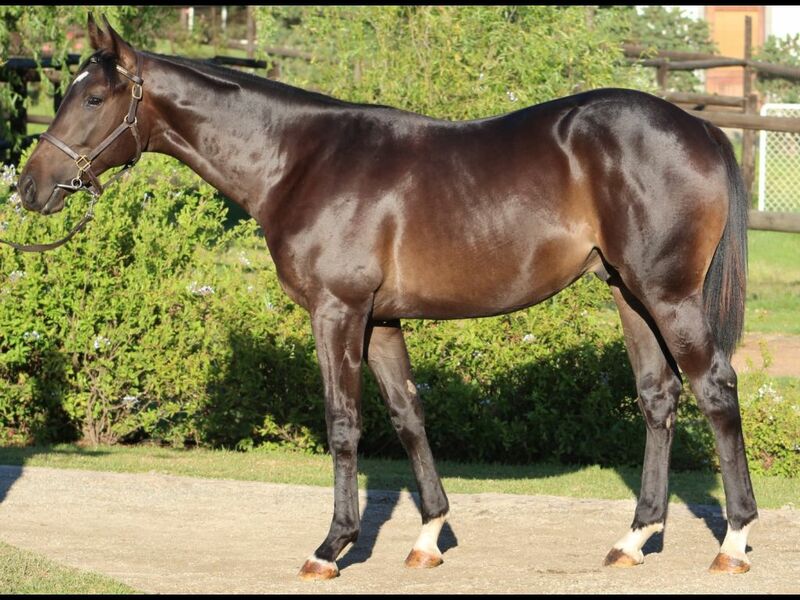 by Black Minnaloushe-Musing, by Centenary-French Muse) - 1st Turffontein Book a Table H.
Half-Brother to SUNSET TRIPP (2011.f. 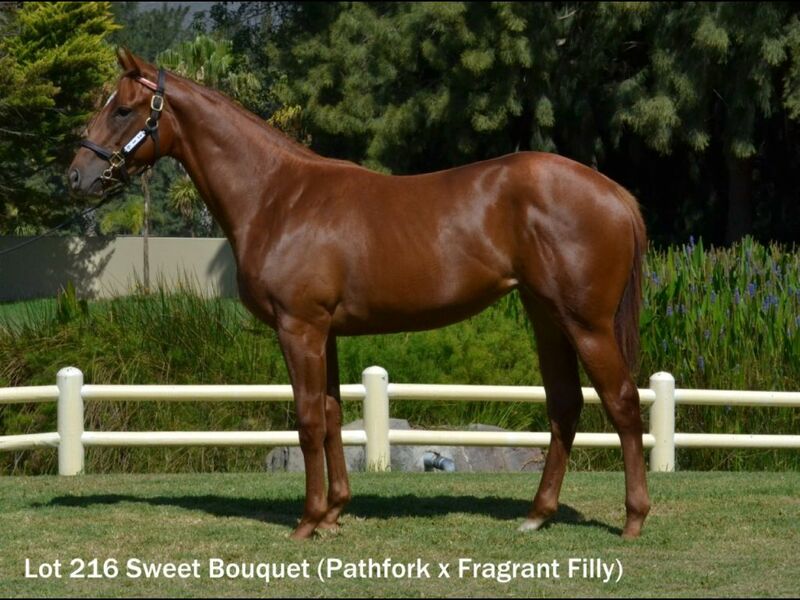 by Trippi-Red Growler, by Fort Wood-Imperious Sue) - 1st Fairview Book a Table at Our Next Raceday P.
Half-Brother to Red Heart (2012.f. 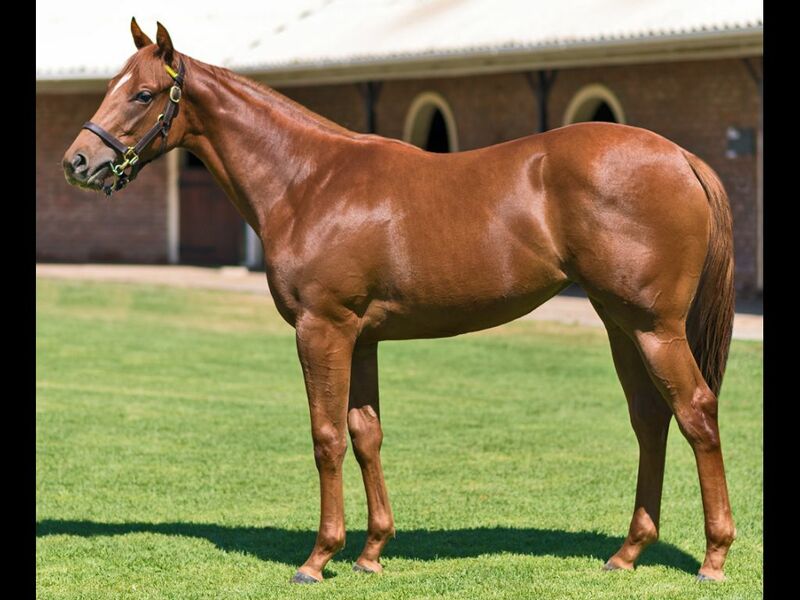 by Trippi-Red Growler, by Fort Wood-Imperious Sue) - 1st Vaal Maiden P., 2nd Vaal All to Come Maiden P.
Out of a sibling to Winter Prince (2012.c. 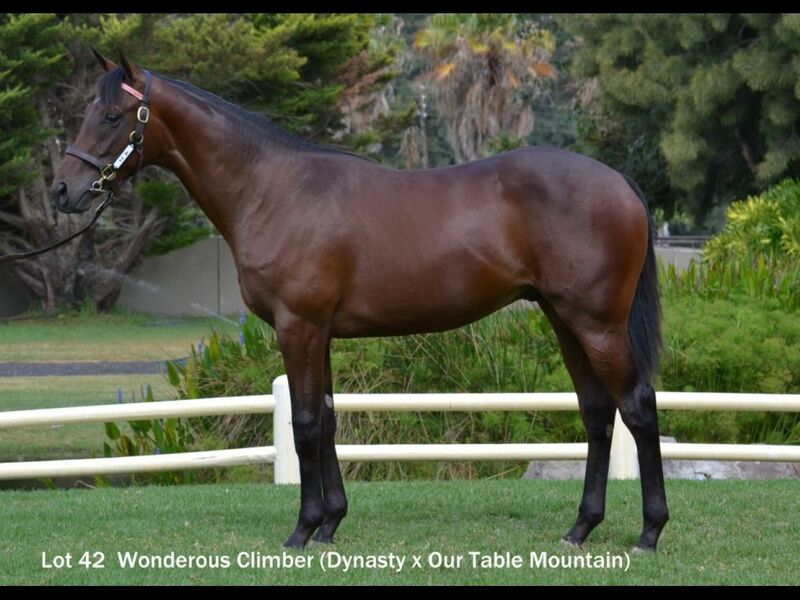 by Western Winter-Imperious Sue, by Northern Guest-Regal Blue) - 1st Kenilworth Quinte Plus H.
Closely related to Big Cat (2009.g. 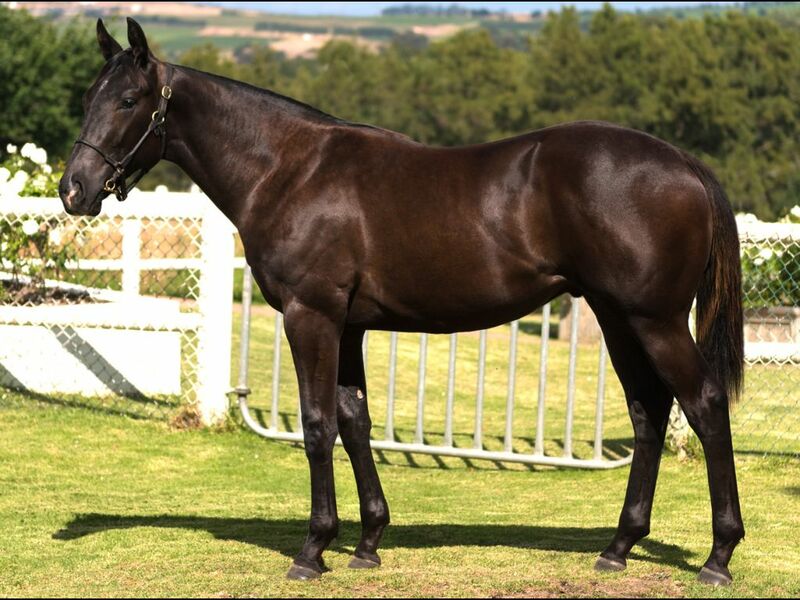 by Black Minnaloushe-Blue Heather, by Fort Wood-Imperious Sue) - 1st Kenilworth Wynberg Cricket Club H.
Sister to I Am a Rock (2012.c. 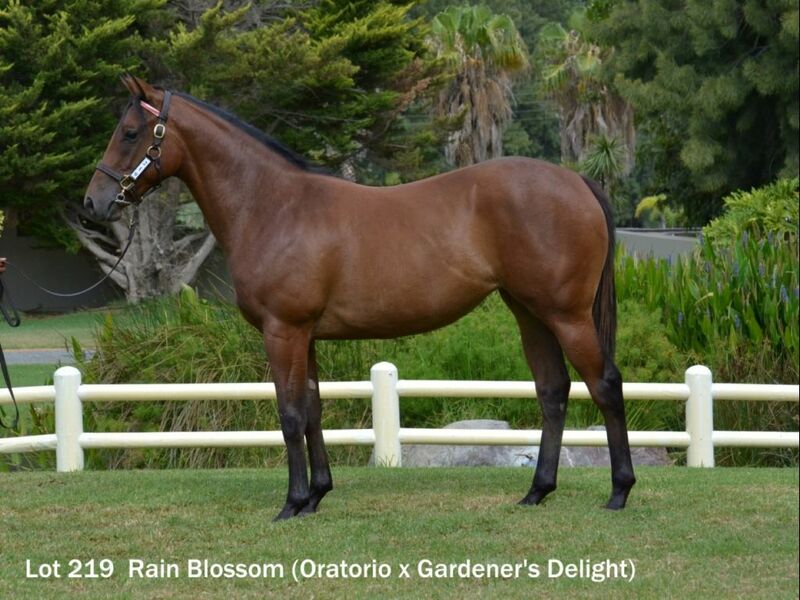 by Judpot-Rock Concert, by Lecture-Drummer Girl) - 1st Greyville Track and Ball Gaming Maiden P., 3rd Greyville Rotary Club of Port Shepstone Maiden P.
Out of a sibling to Splendid Garden (2011.c. 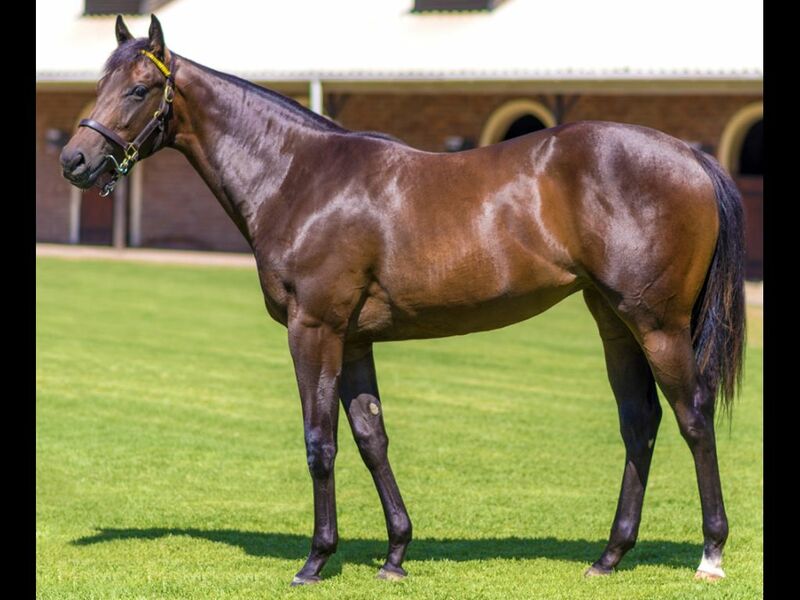 by Black Minnaloushe-Gardener's Delight, by Giant's Causeway-Highbury) - 1st Turffontein SA Gold Coin Exchange H., 1st Turffontein Racing. 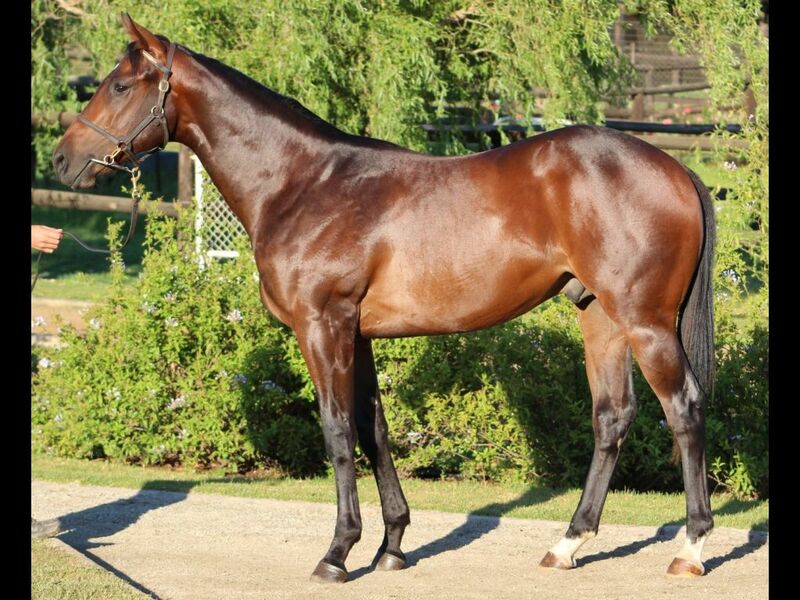 It's a Rush S.
Half-Brother to Royal Armour (2012.c. 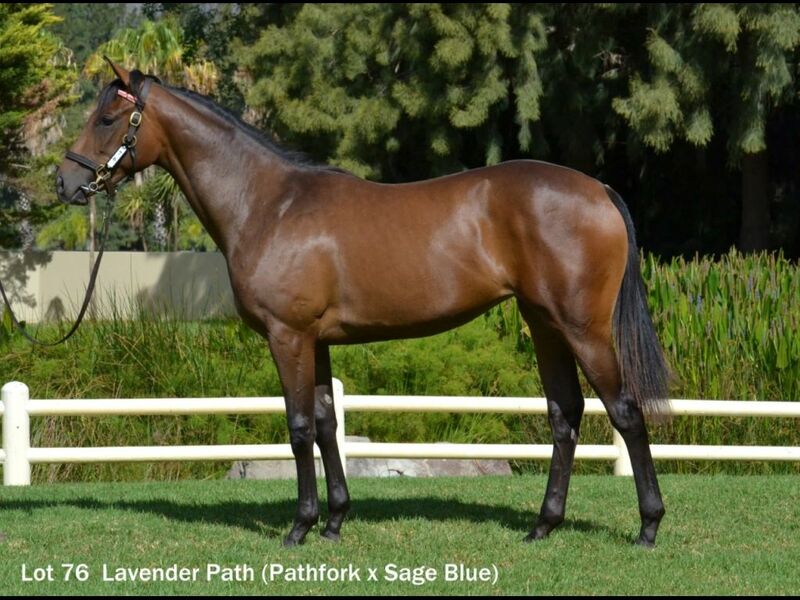 by Jay Peg-Royal Palm, by Fort Wood-Little Strike) - 1st Greyville Child Protection H., 1st Greyville Download the SA Racing App H.
Half-Sister to Three Blue Cranes (2011.f. 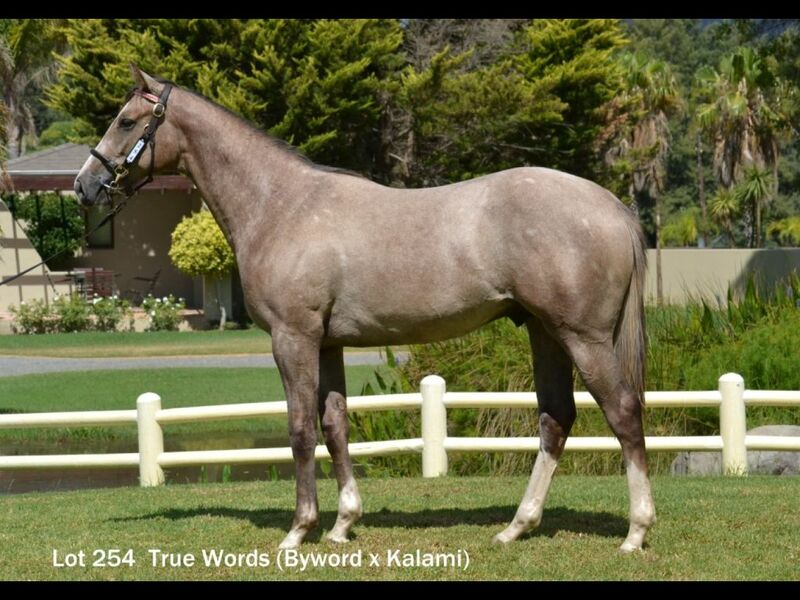 by Captain Al-Sage Blue, by Badger Land-Grey Blue) - 1st Kenilworth Itsarush.co.za H.
Out of a sibling to El Bombero (2011.c. 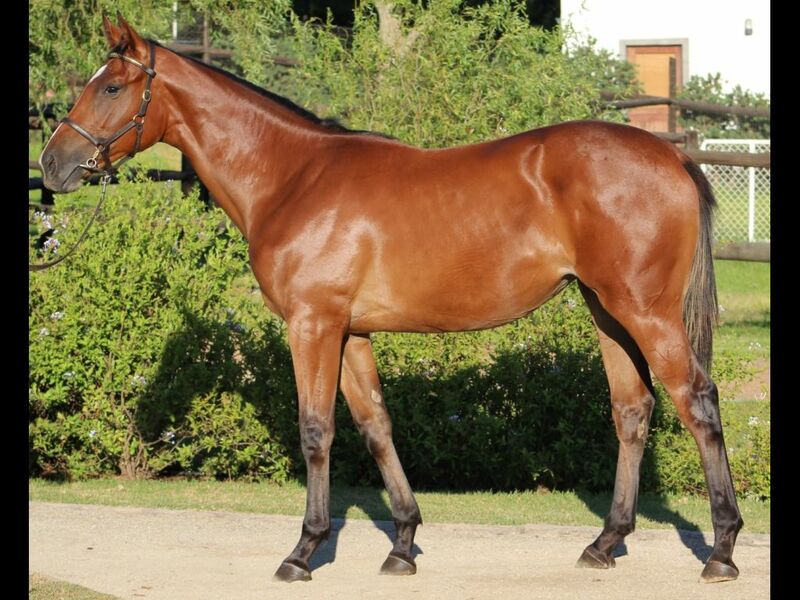 by Jet Master-La Deportista, by Sportsworld-Blushing Breeze) - 1st Turffontein Maiden P.
Sister to The Secret is Out (2013.f. 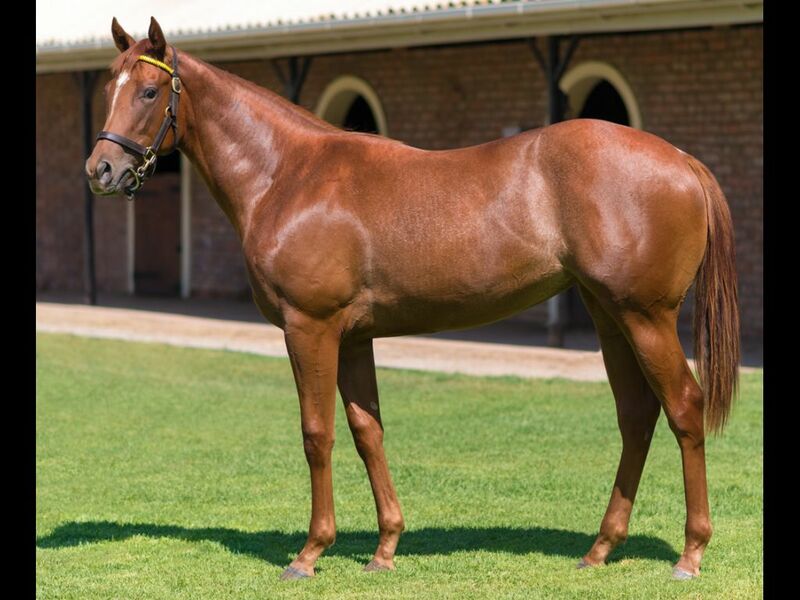 by Captain Al-Secret of Victoria, by Goldkeeper-Mystic Spring) - 1st Kenilworth Maiden Juvenile P.
Half-Sister to Mega Secret (2012.c. 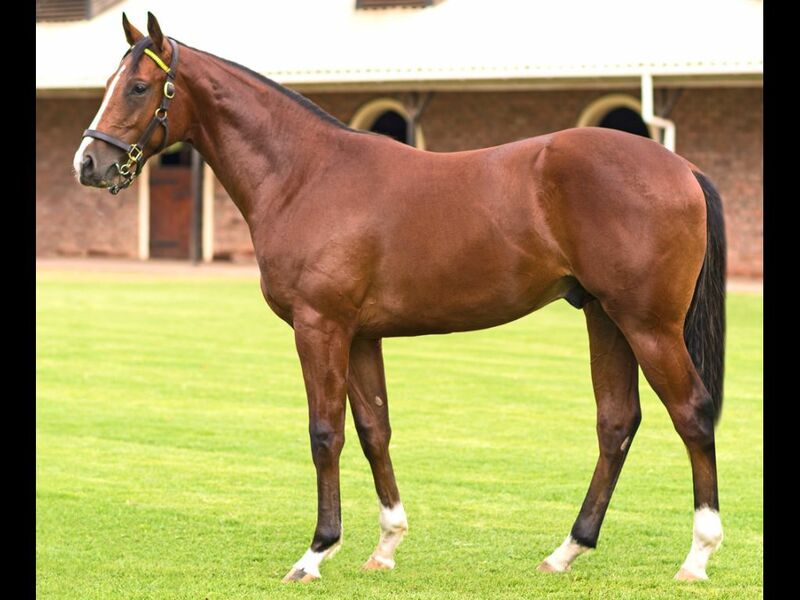 by Jay Peg-Secret of Victoria, by Goldkeeper-Mystic Spring) - 2nd Kenilworth Peroni Maiden P., 3rd Kenilworth Tekkie Town Maiden P.
Brother to Silver Scooter (2010.c. 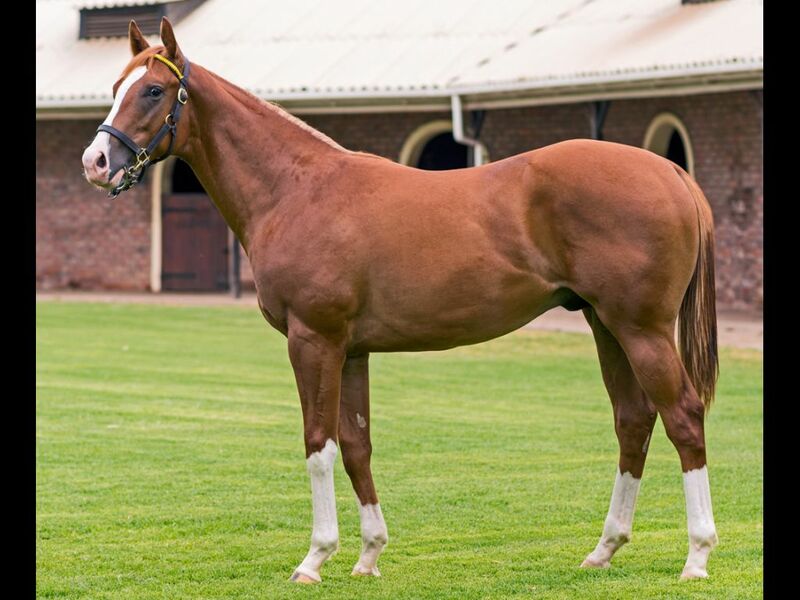 by Silvano-Shasta Daisy, by Rakeen-Scented Royal) - 2nd Turffontein Citizen H., 3rd Turffontein Rugby 5 H.
Closely related to Cherokee Grey (2012.c. 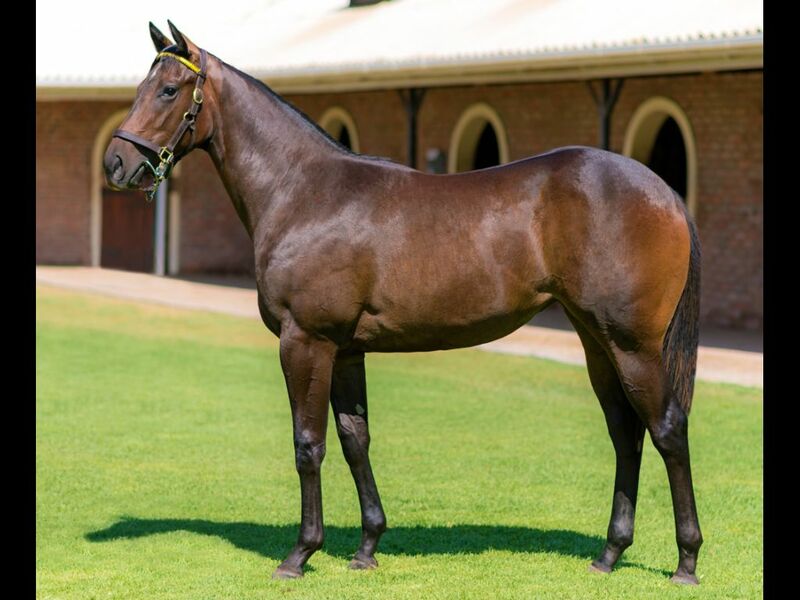 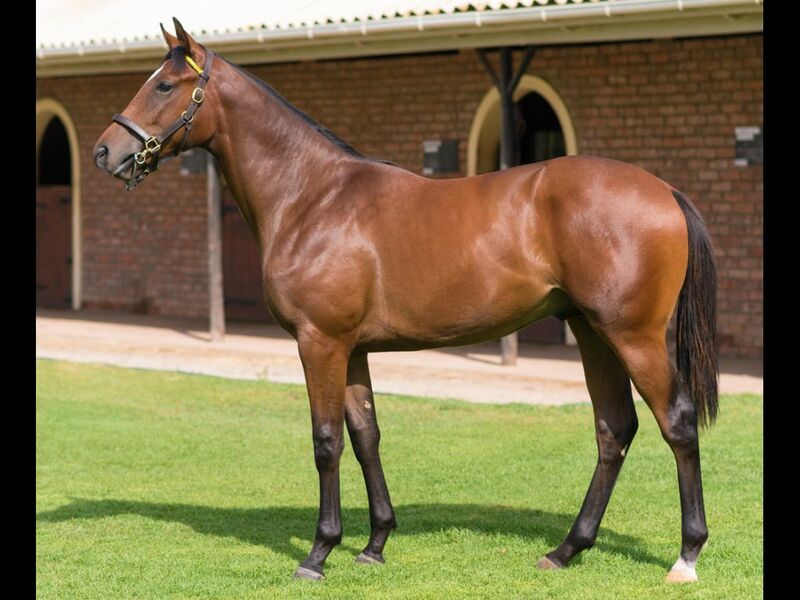 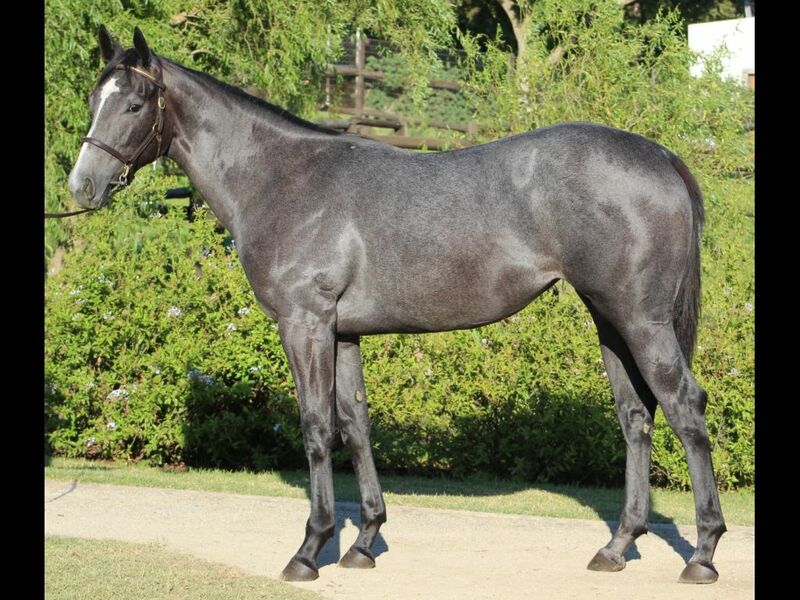 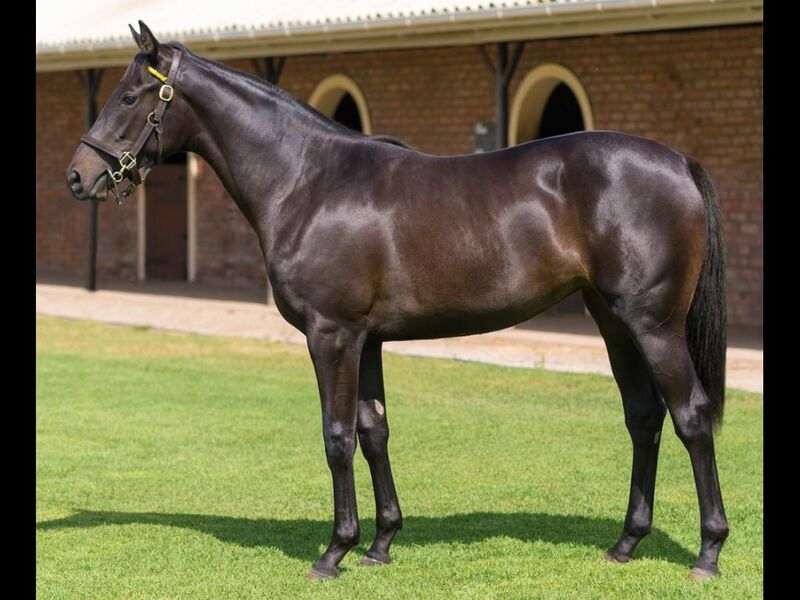 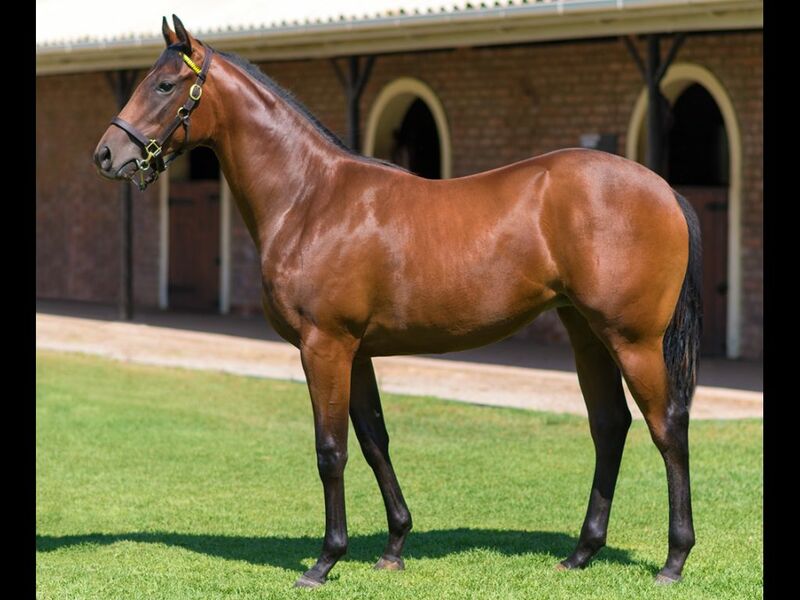 by Greys Inn-Philippa Johnson, by Joshua Dancer-Aromatic Anne) - 1st Vaal Maiden P.
Half-Brother to Sabrina Fair (2012.f. 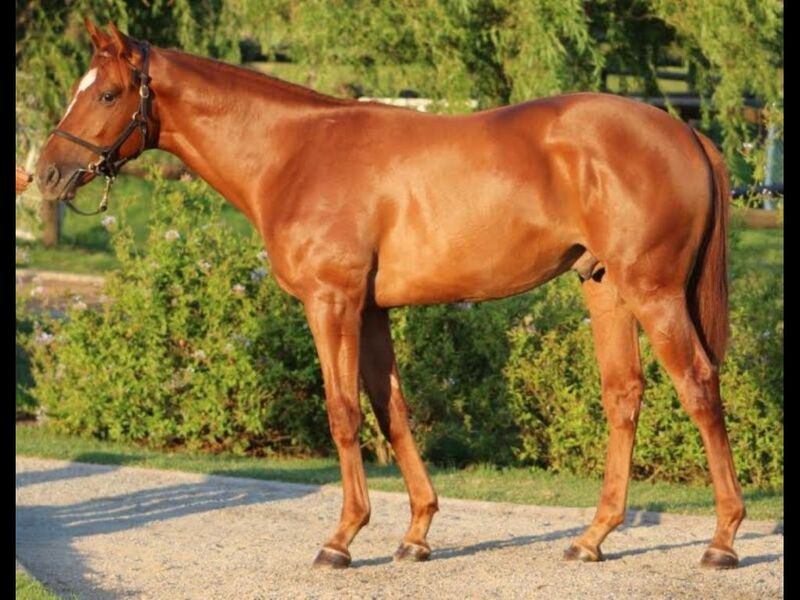 by Windrush-Simone, by Trigger Finger-French Muse) - 3rd Kenilworth Duke of Marmalade Maiden P.
From the same family as LAUREL VELOCE (2011.c. 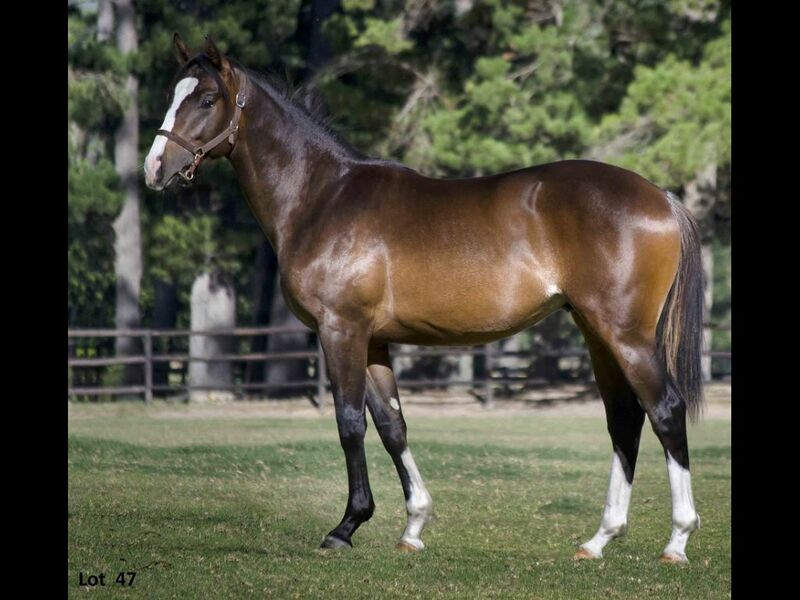 by Sakura Bakushin O-Halo Fuji, by King Halo-Asaka Fuji) - 1st Kyoto Yodo Tankyori S. L, 1st Chukyo Hamamatsu S.
Half-Brother to Roy's Gul Gul Ha (2012.c. 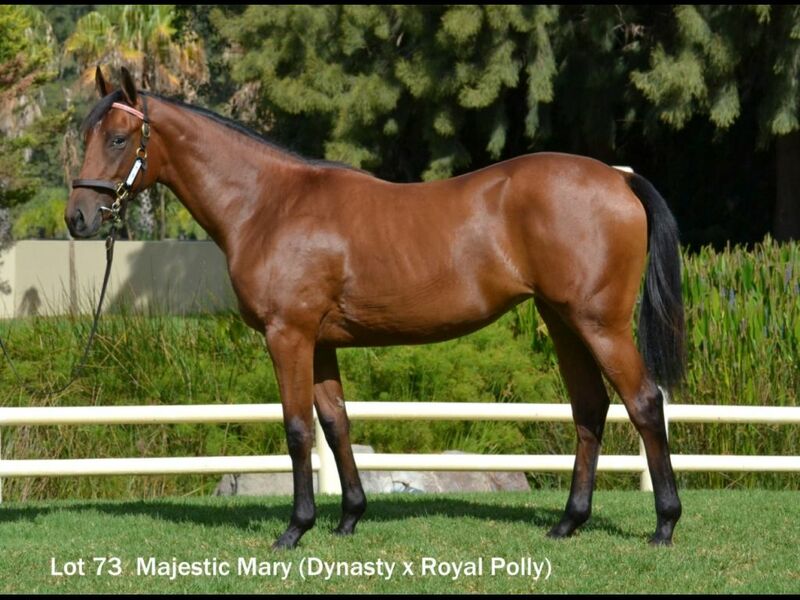 by Var-Supreme Lecture, by Lecture-Welsh Pagan) - 3rd Greyville Rotary Club of Port Shepstone P.
Out of a sibling to Welsh Emperor (2012.c. 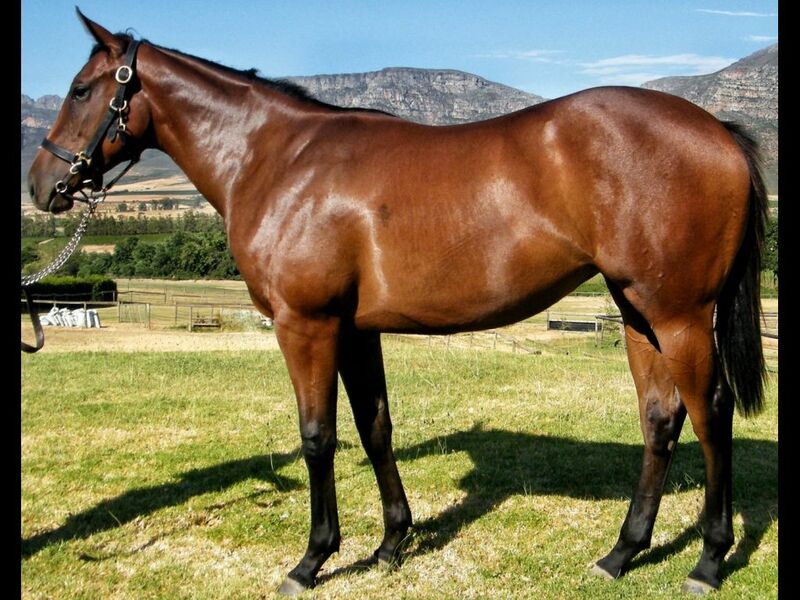 by Go Deputy-Welsh Pagan, by Al Mufti-Yuppie) - 1st Fairview Racing It's a Rush Novice P.
Half-Sister to Time Odyssey (2011.g. 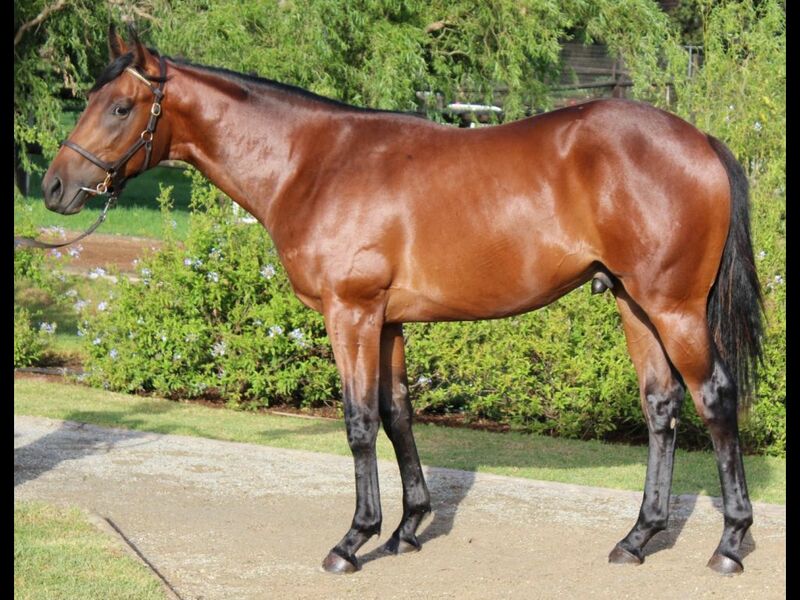 by Jet Master-Tachina, by Spectrum-Tadwiga) - 1st Singapore TC RDA Cup, 1st Singapore TC Kranji C S.
Half-Brother to Tayaar (2012.c. 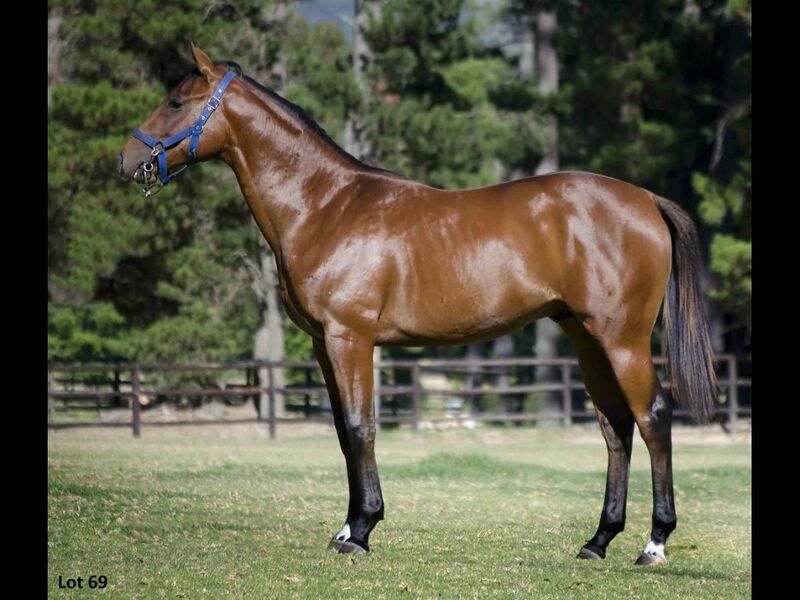 by Trippi-Tafra, by Redoute's Choice-Mexicana) - 3rd Greyville It's Friday Maiden P.
Closely related to SOLID SPEED (2010.c. 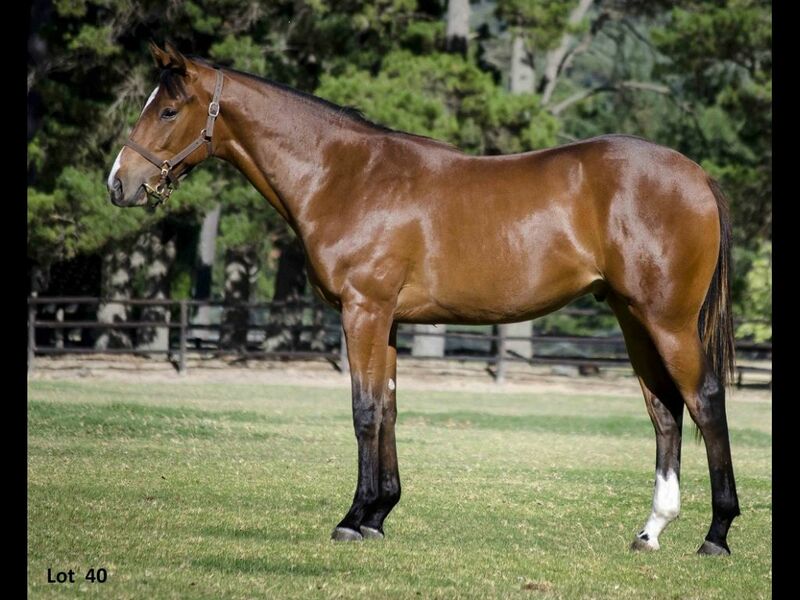 by Dynasty-Boston Tea Party, by Jallad-Dame Kiri) - 1st Kenilworth l'Ormarins Queens P.
Half-Brother to Disgraceful (2011.g. 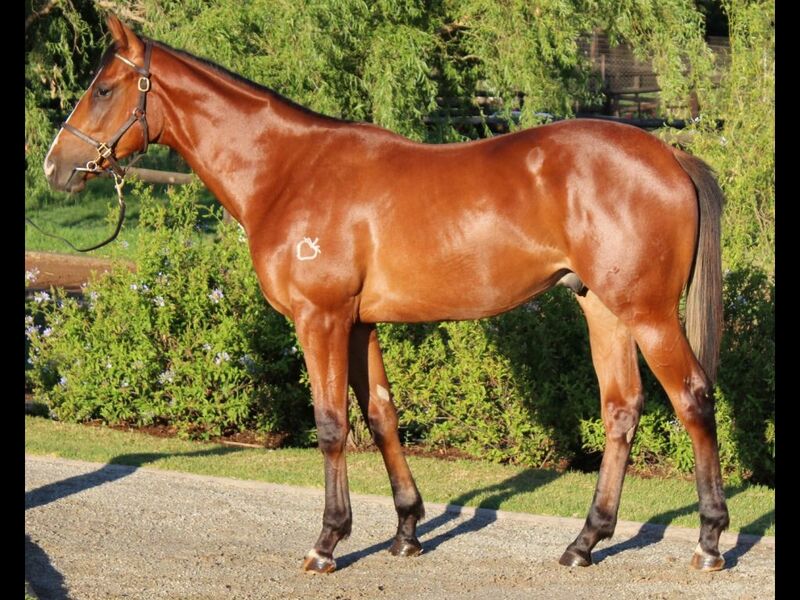 by Redoute's Choice-They Say, by Thirty Six Red-Americanrevelation) - 2nd ATC (Randwick) Sportsyear Diary H., 2nd ATC (Randwick) TAB More Than Winning H.
Out of a sibling to Malmsteen (2012.g. 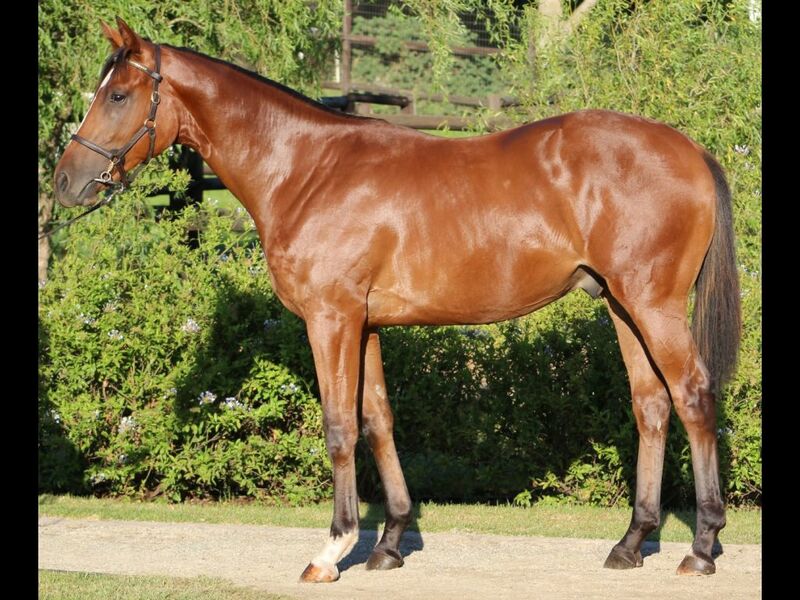 by Beneteau-Isadora, by Gold Fever-Eurythmics) - 1st HKJC Lantau Peak H.
From the same family as BILATERAL (2011.f. 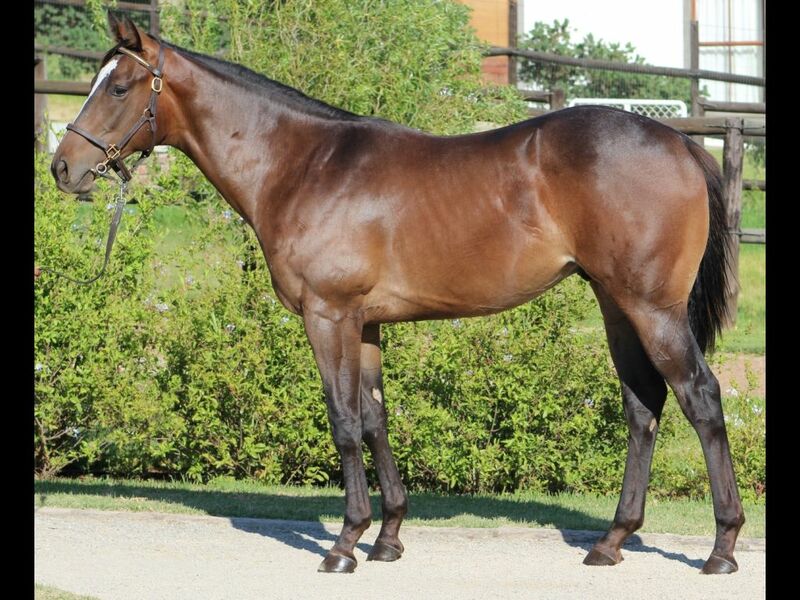 by Lateral-Buccellati, by Secret Prospector-State Treasure) - 1st Turffontein Racing Association P.
Half-Brother to Bruno (2011.c. 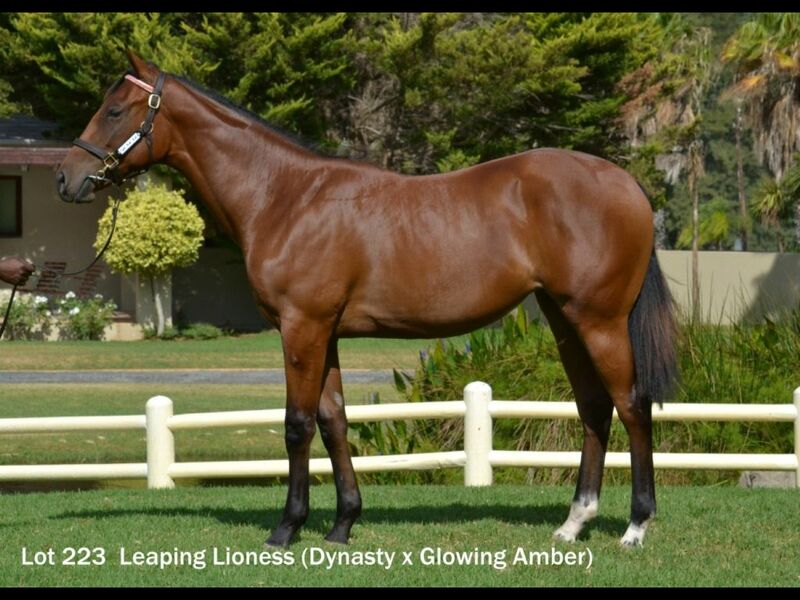 by Dynasty-Tropical Dance, by Luhuk-Touch Dancing) - 3rd Kenilworth Community Upliftment H.
Half-Sister to Tiptol (2011.f. 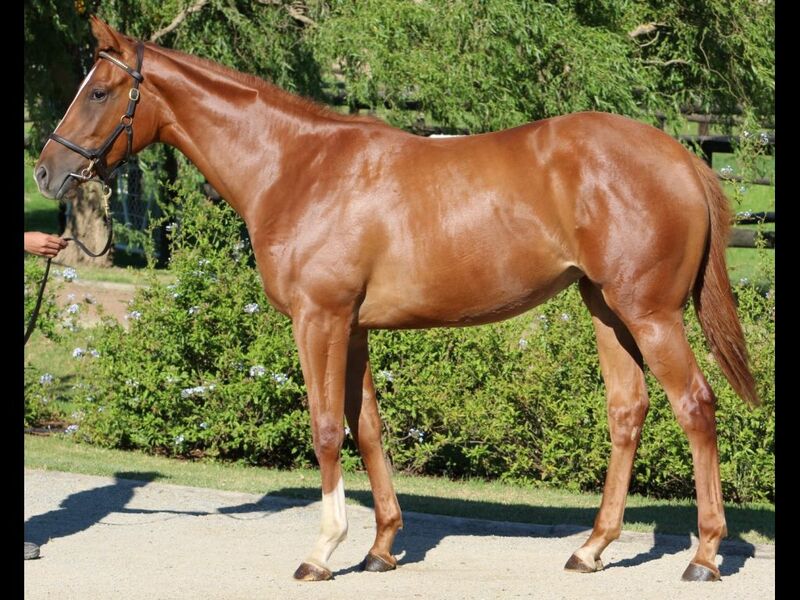 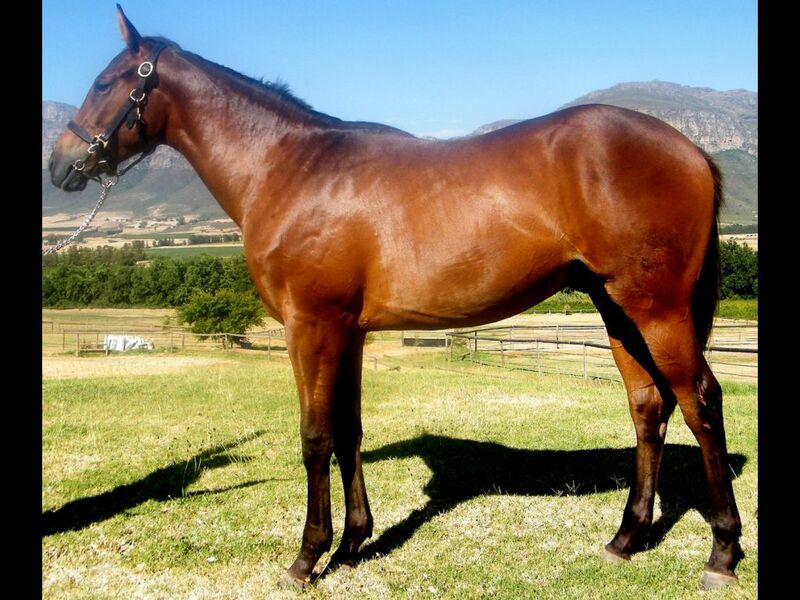 by Silvano-Tumbelini, by Pivotal-Kundalini) - 1st Scottsville Witness H.
Half-Sister to Tumbles (2012.f. 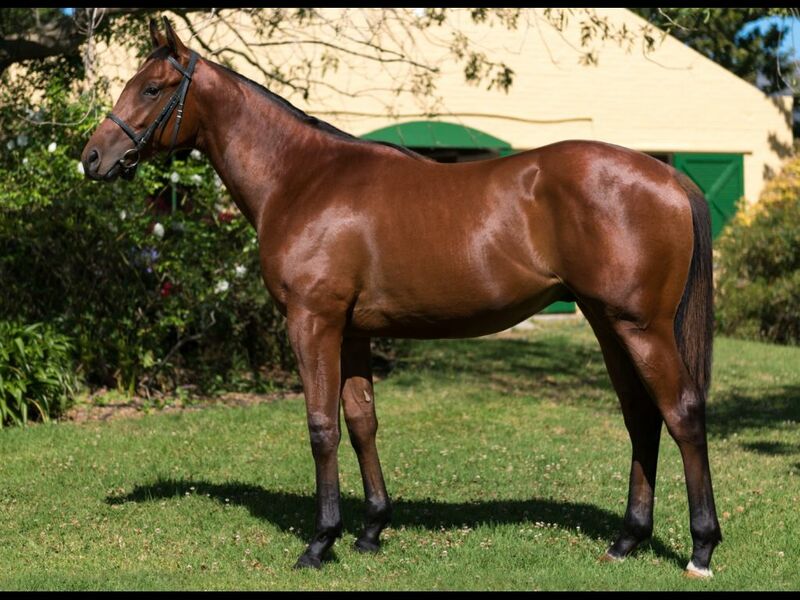 by Var-Tumbelini, by Pivotal-Kundalini) - 1st Kenilworth 9 January Paddock S., 2nd Kenilworth Dream Team H., 2nd Kenilworth Racing. 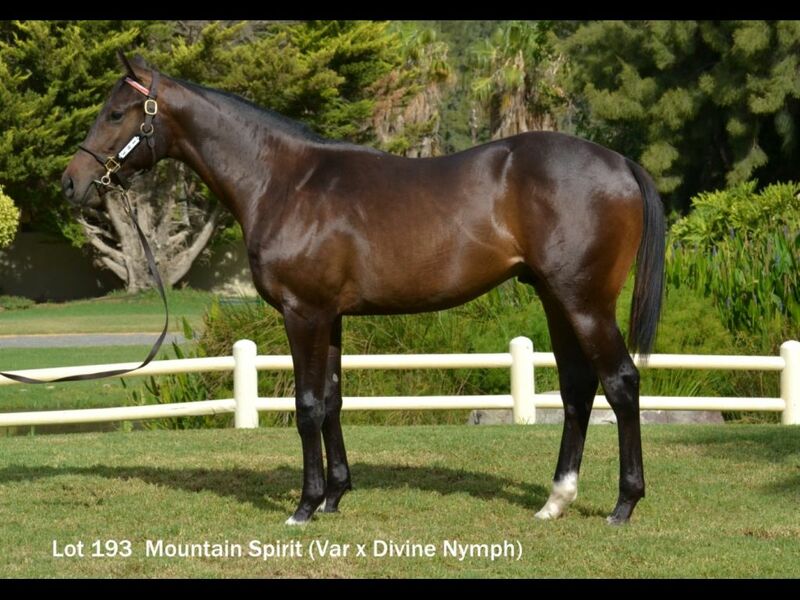 Its a Rush H.
Half-Brother to Master's Spirit (2011.c. 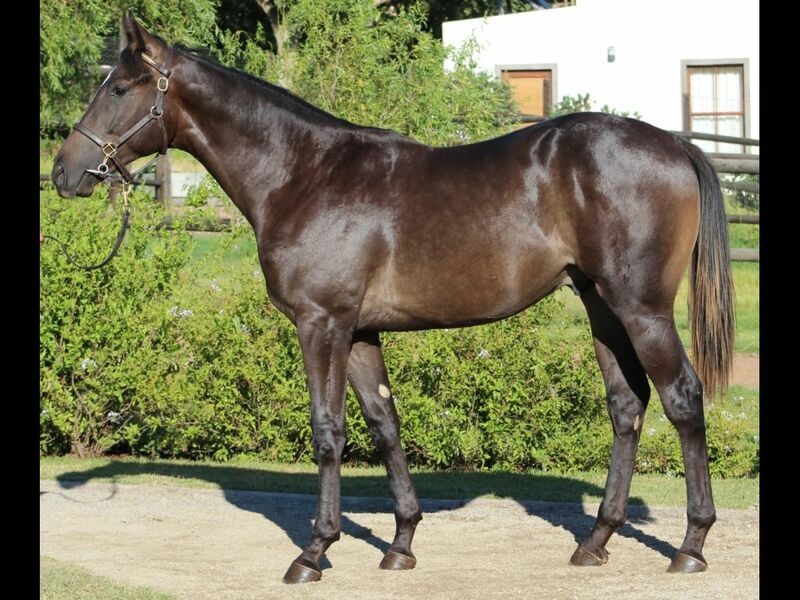 by Jet Master-Urabamba, by Fort Wood-Princess Ampato) - 1st Turffontein Interbet Soccer 10 H., 2nd Turffontein World Sports Betting H.
Brother to Vino Veritas (2010.f. 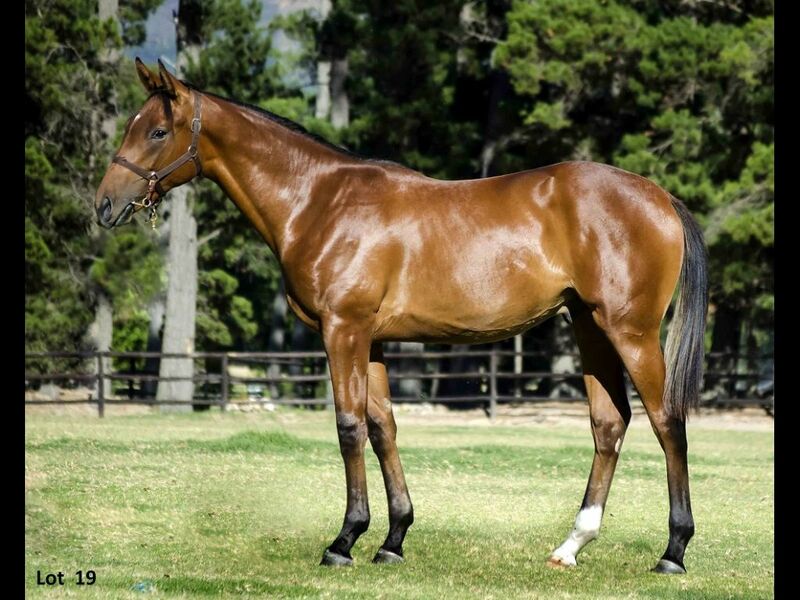 by Silvano-Valdovino, by Al Mufti-Vino Rosa) - 2nd Turffontein Racing. 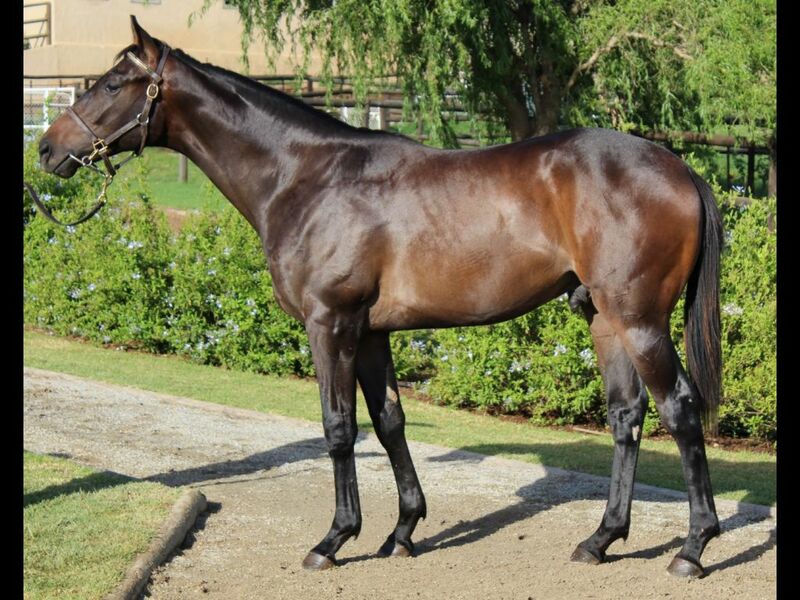 It's a Rush S., 2nd Turffontein Racing Association P.
Half-Brother to Francia (2012.f. 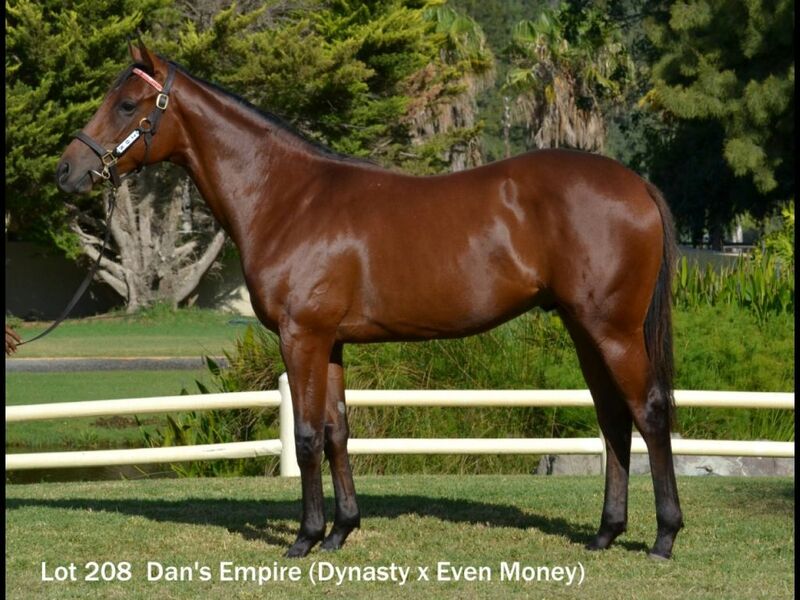 by Dynasty-Venturesome, by Rakeen-Daunting) - 2nd Kenilworth Skyy Vodka H.
Half-Sister to Vee Man (2012.c. 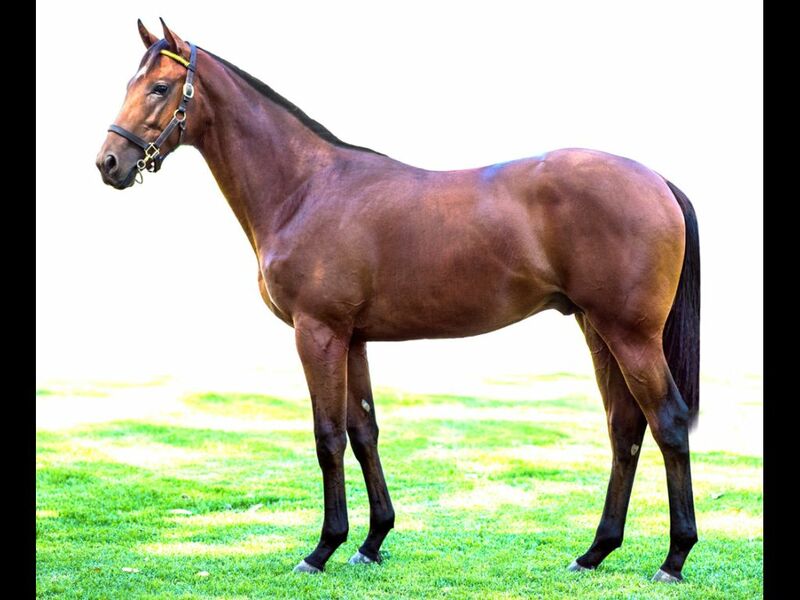 by Visionaire-Victory Garden, by Solskjaer-Garden Verse) - 3rd Turffontein Soccer GG Maiden P.
Half-Brother to Rockingonthemoon (2012.f. 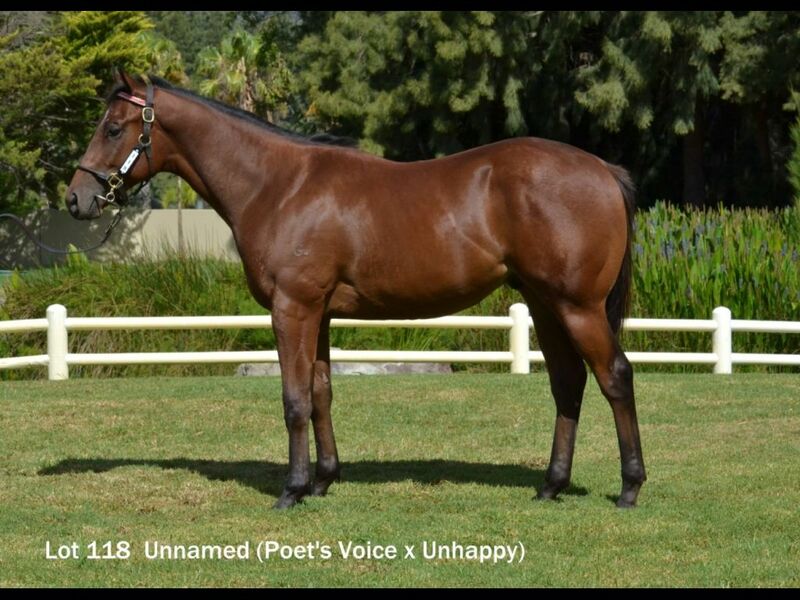 by Rock of Rochelle-Walkingonthemoon, by Galileo-Elfenjer) - 2nd Kenilworth Thank You for Your Patronage Maiden P.
Brother to Rippit Whippet (2012.f. 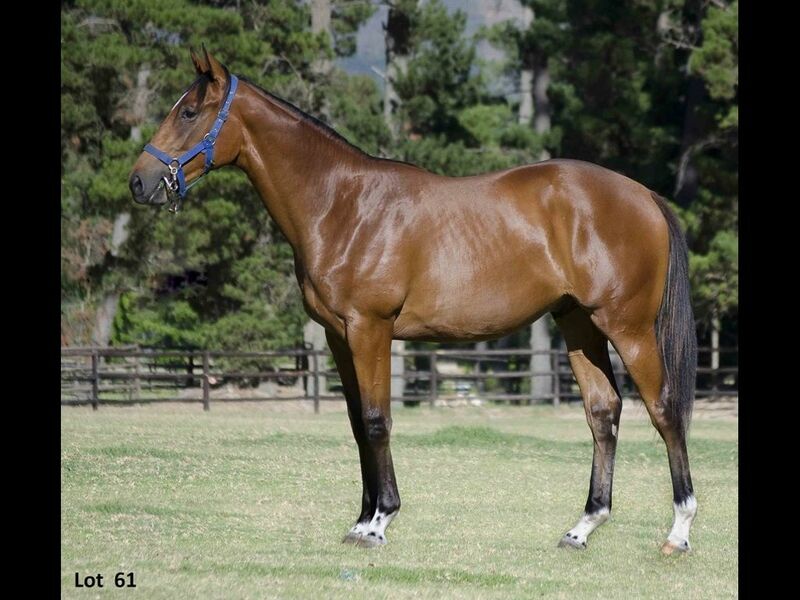 by Jay Peg-Woelfin, by Wolfhound-Cosmos Field) - 3rd Griqualand Rugby 5 H., 3rd Griqualand Next Race Meeting is Monday 4 Jan H.
Half-Sister to LEGAL EAGLE (2011.c. 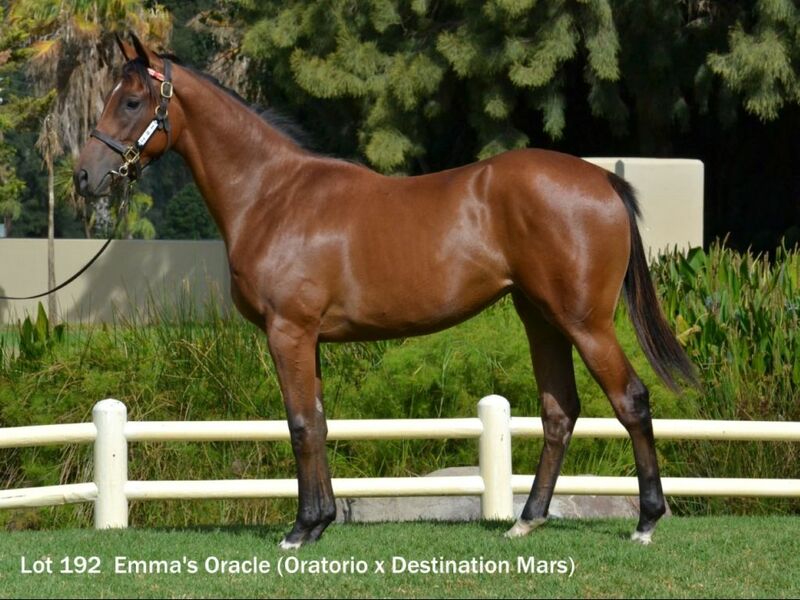 by Greys Inn-Young Sensation, by National Emblem-Fair Model) - 1st Kenilworth Queen's P. Gr.1, 2nd Turffontein Racing. 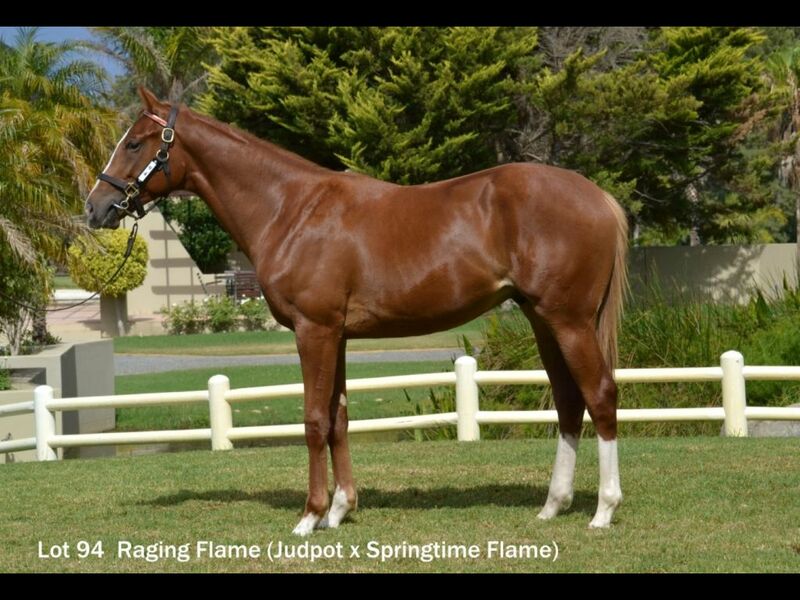 It's a Rush P.
Half-Sister to Dawn Calling (2013.f. 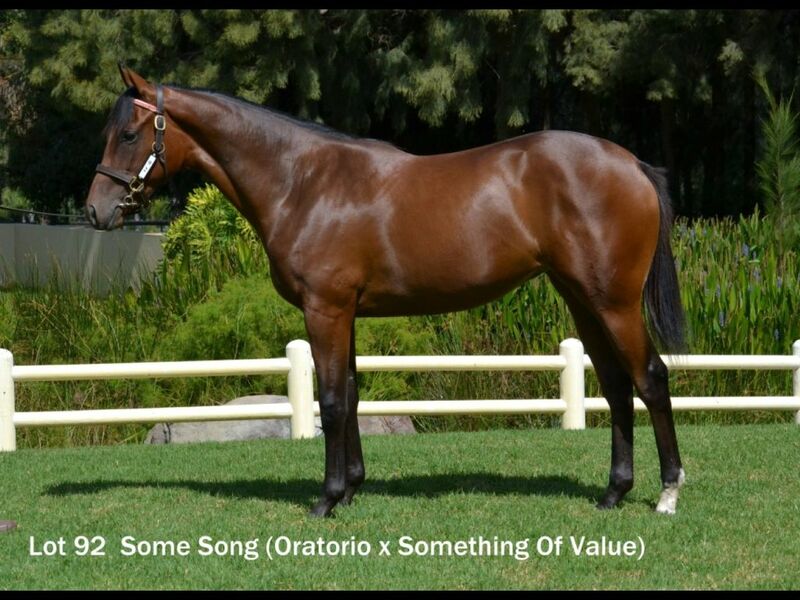 by Trippi-Acquavella, by Danehill Dancer-Oh So Well) - 2nd Scottsville All to Come Maiden Juvenile P.
Out of a sibling to Beaufort Gyre (2008.g. 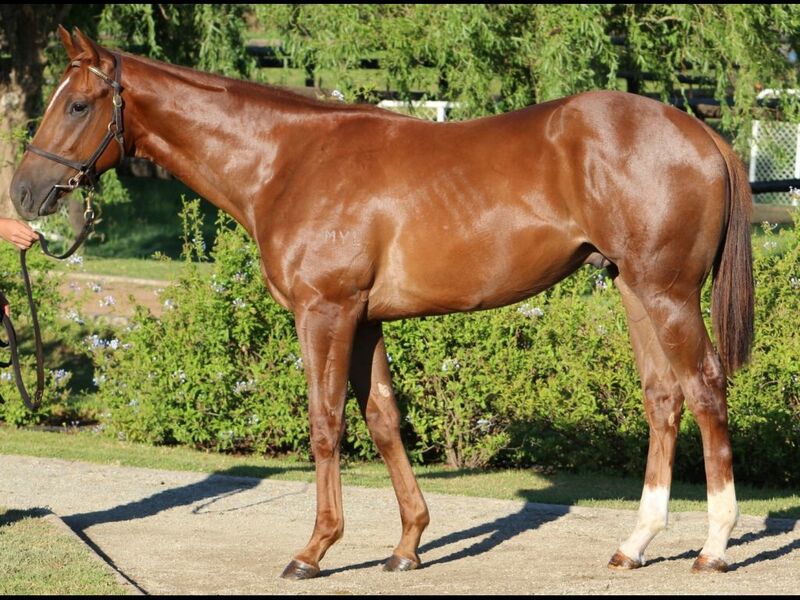 by Nadeem-Arctic Drift, by Gone West-November Snow) - 1st Beaudesert RC Country Showcase Sunday 24/1 H.
Sister to Streak of Silver (2012.c. 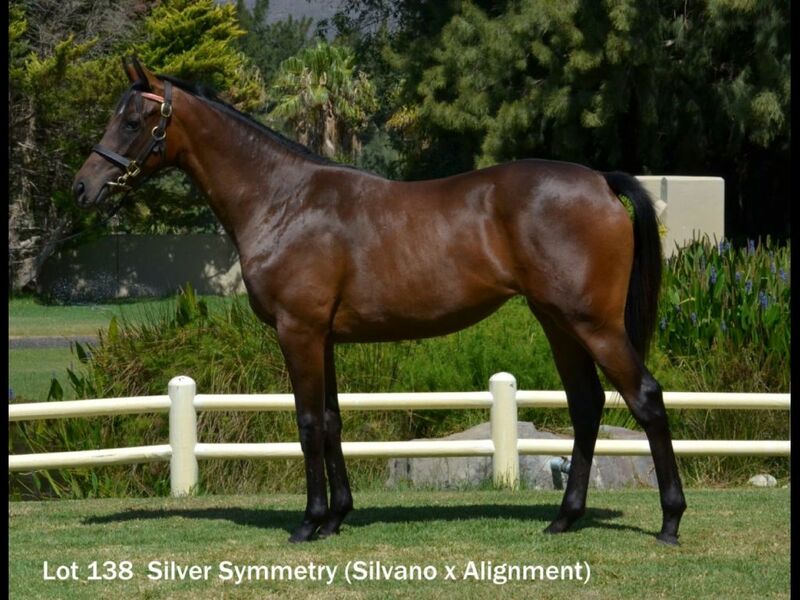 by Silvano-Alignment, by Alzao-Scots Lass) - 2nd Kenilworth Racing. 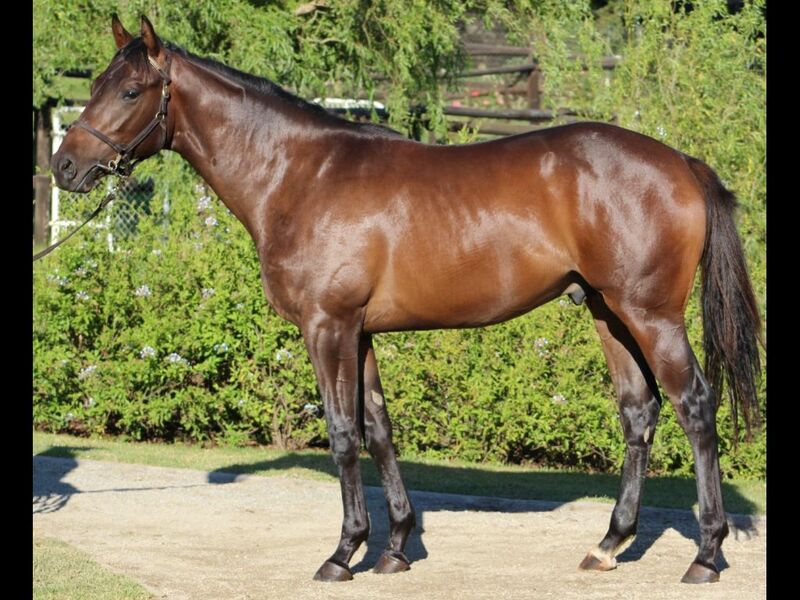 It's a Rush H.
From the same family as SOLID SPEED (2010.c. 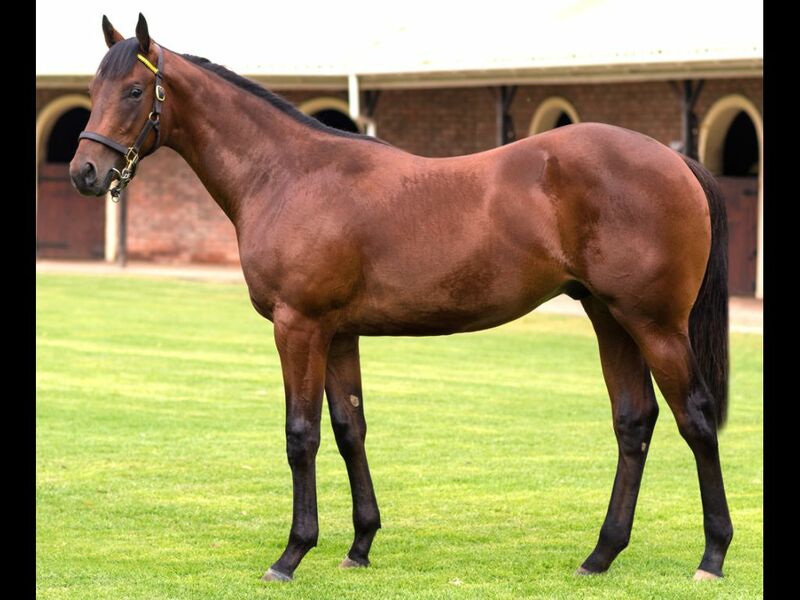 by Dynasty-Boston Tea Party, by Jallad-Dame Kiri) - 1st Kenilworth l'Ormarins Queens P.
Out of a sibling to Captain's Dove (2011.f. 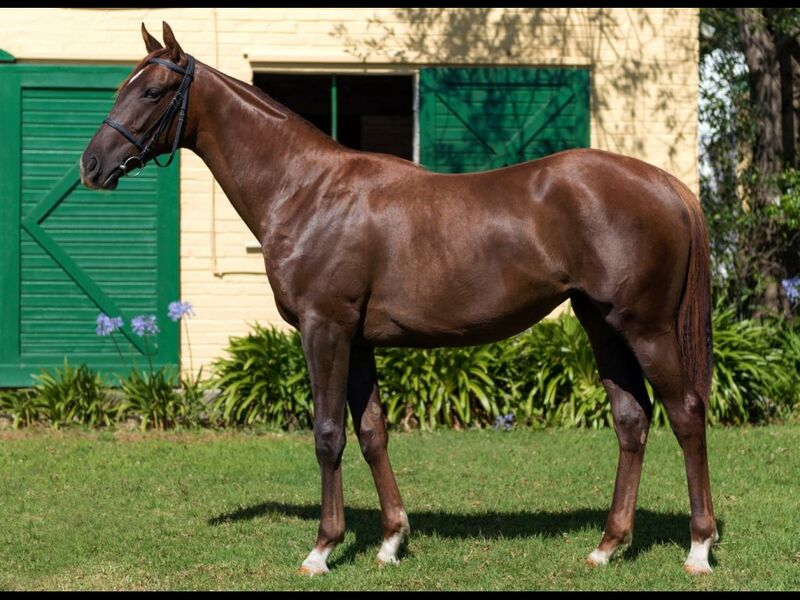 by Captain Al-Blushing Dove, by Comic Blush-Have Faith) - 1st Kenilworth Itsarush.co.za H.
Half-Brother to Angel of Light (2012.f. 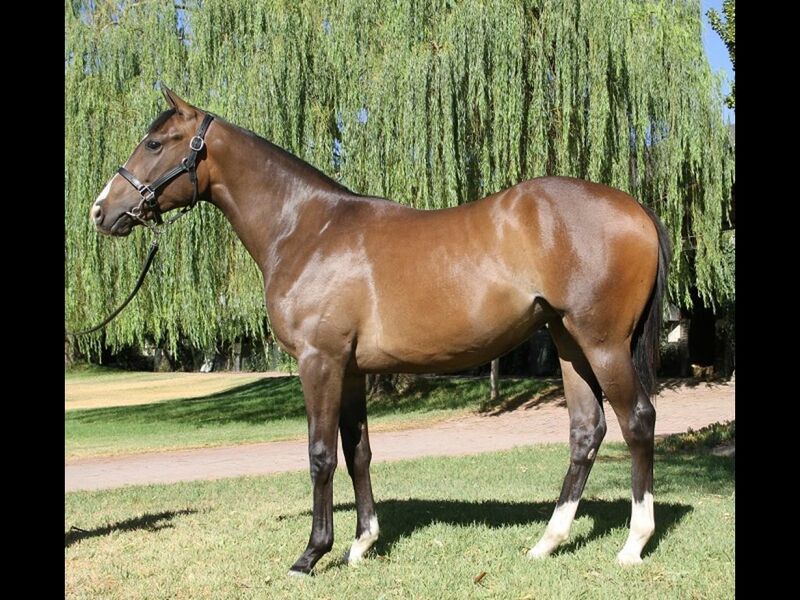 by Mambo in Seattle-Angel at My Table, by Count Dubois-Flying Florrie) - 1st Turffontein All to Come Maiden P., 2nd Turffontein Soccer 6 Maiden P.
Closely related to Littleblacknumber (2011.f. 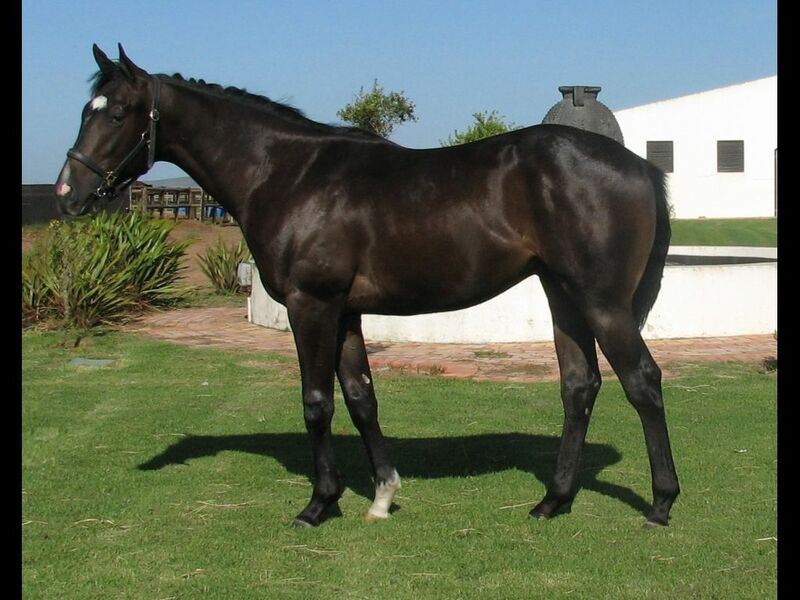 by Black Minnaloushe-Antonia's Pride, by National Assembly-Loyal Linda) - 1st Scottsville Itsarush.co.za H.
Half-Sister to Rap Attack (2012.c. 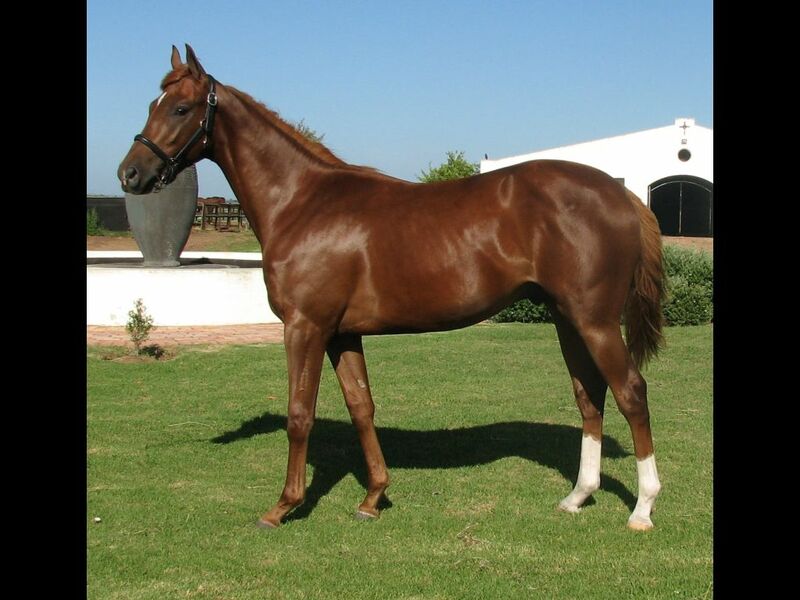 by Go Deputy-Aquila Rapax, by Western Winter-Tawny Red) - 3rd Greyville Beekman Group H.
Closely related to Danza (2012.c. 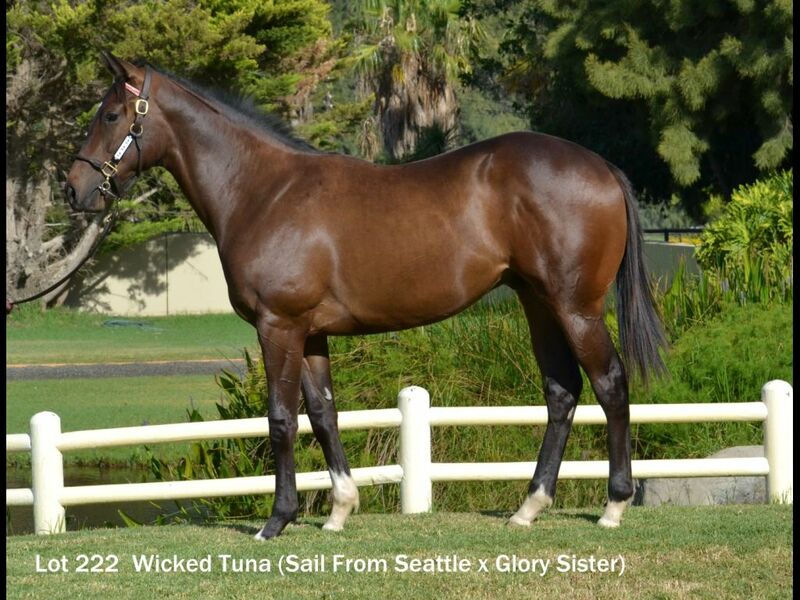 by Mambo in Seattle-Tavita, by Rakeen-Aquila Rapax) - 1st Turffontein Maiden P.
Closely related to KINGVOLDT (2011.c. 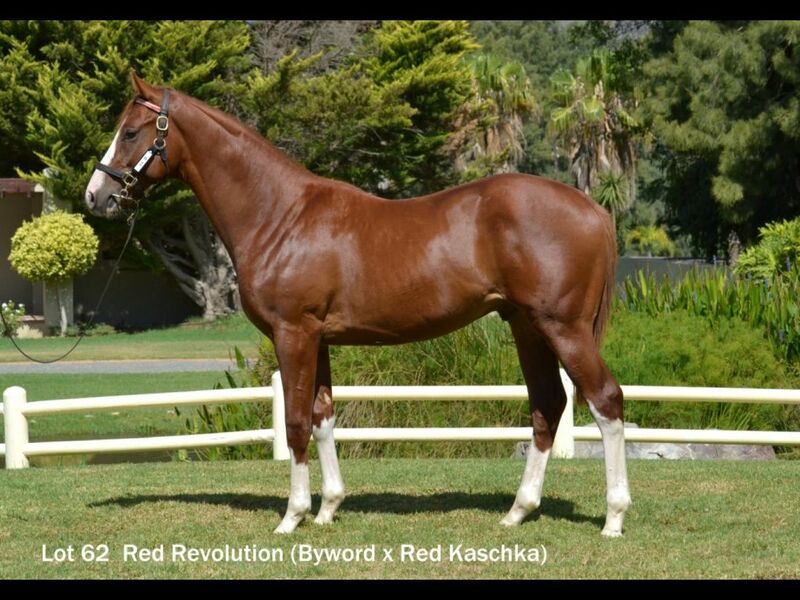 by Western Winter-Red Parade, by Parade Leader-Tawny Red) - 1st Kenilworth Racing. 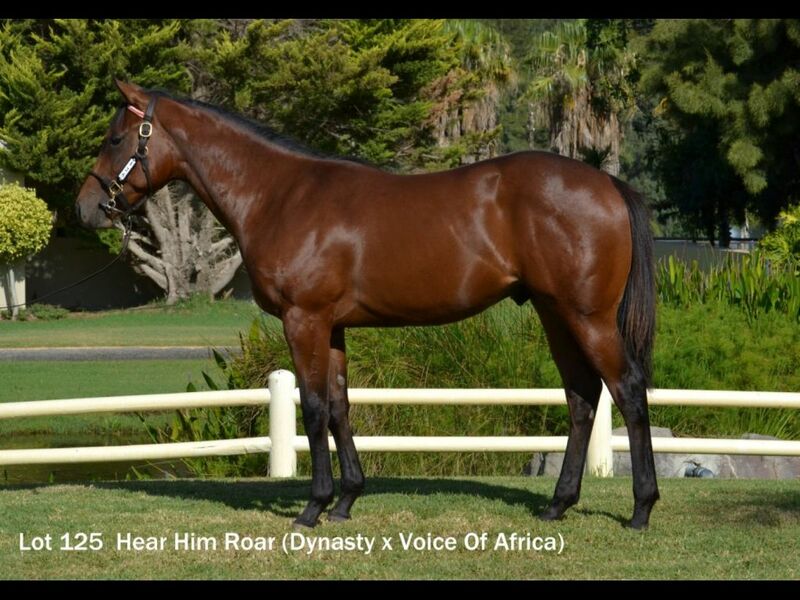 It's a Rush H.
Closely related to Mr Roy (2012.c. 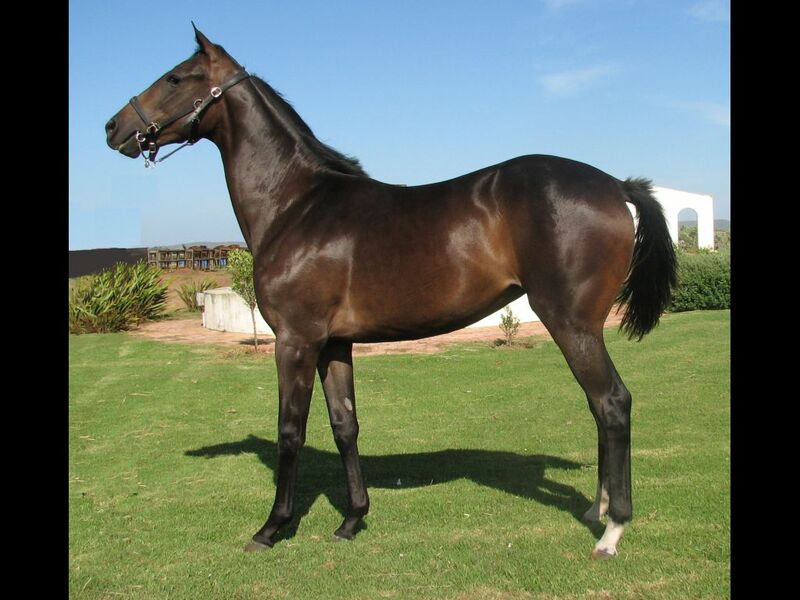 by Western Winter-Chambre', by Rakeen-Nacarat) - 1st Greyville Rotary Club of Port Shepstone P.
Half-Brother to Maria Theresa (2011.f. 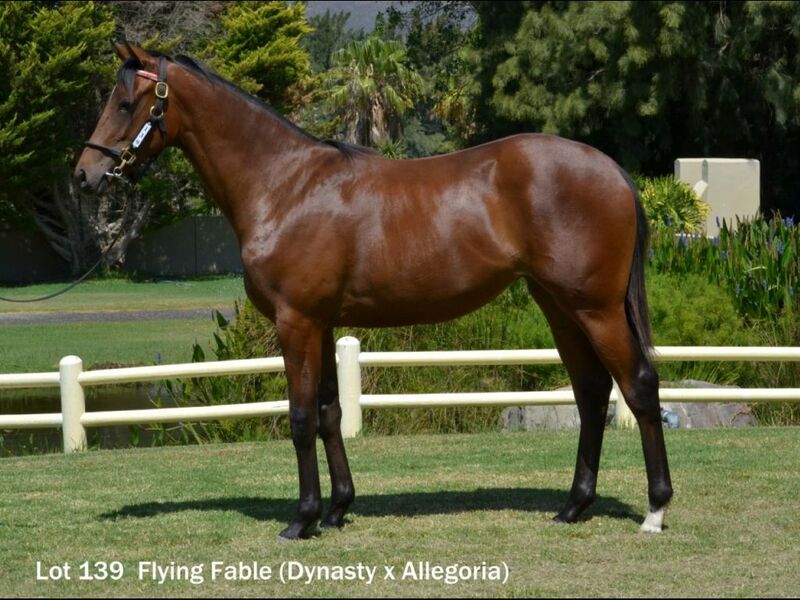 by Dynasty-A Star for Maria, by Noverre-Laoub) - 2nd Turffontein Book a Table H.
Half-Sister to Silver Banshee (2012.f. 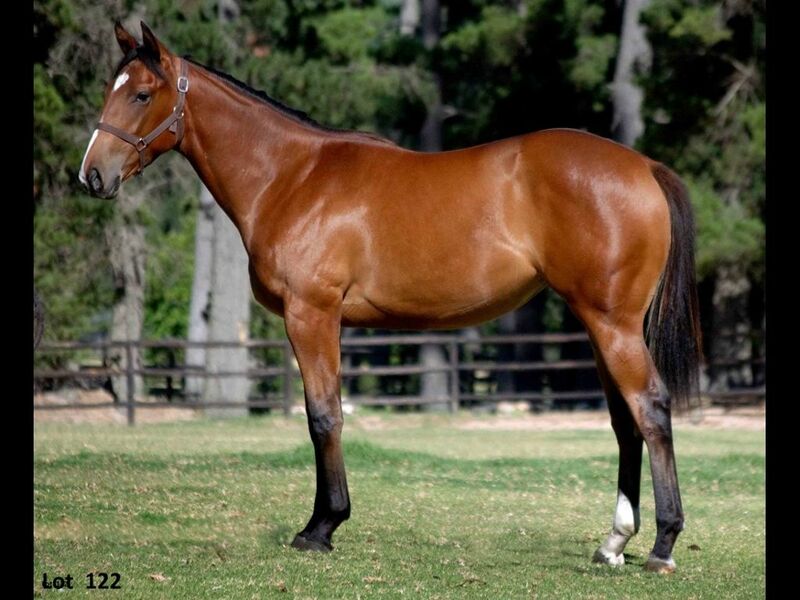 by Great Britain-Banshee Girl, by Deputy Minister-Sea Breezer) - 2nd Kenilworth RA H.
Half-Brother to Blizzard Belle (2010.f. 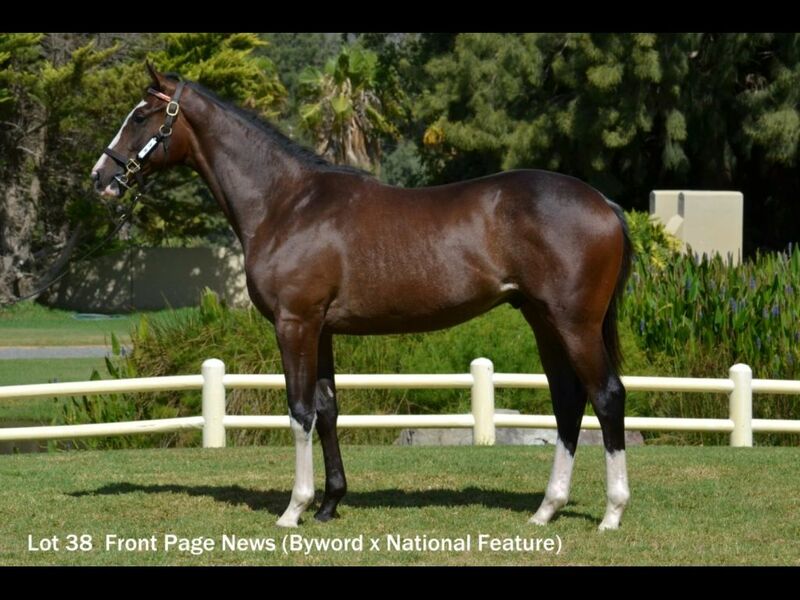 by Western Winter-Bardot, by Badger Land-Tinseltown) - 1st Fairview Racing. 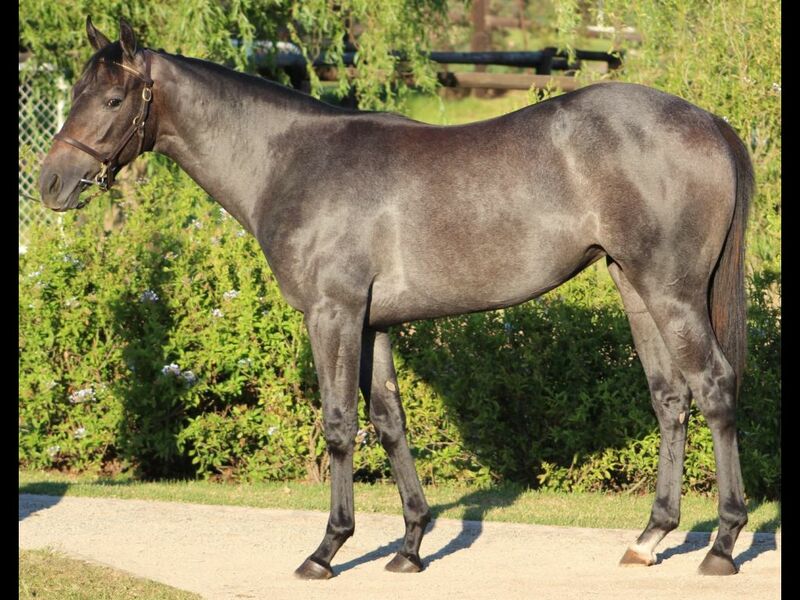 It's a Rush S., 1st Fairview All to Come H.
Half-Brother to Soldier's Code (2012.c. 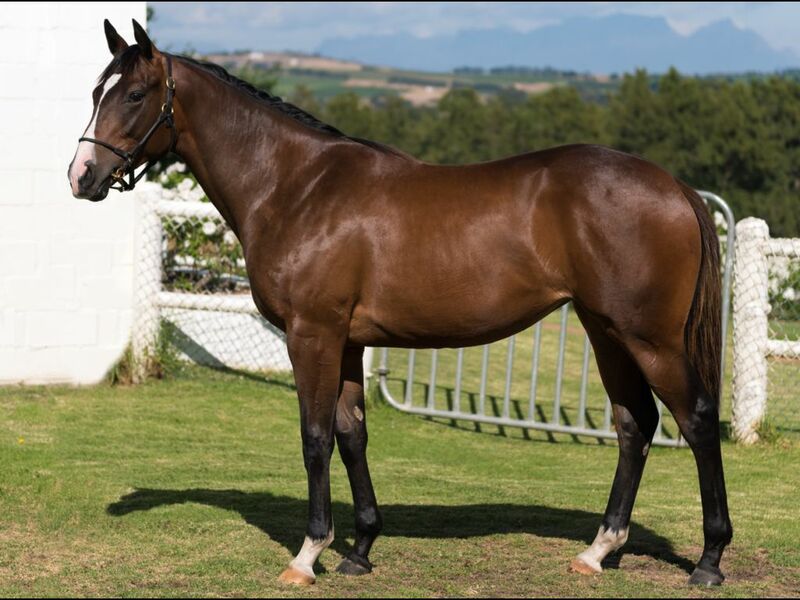 by Western Winter-Bardot, by Badger Land-Tinseltown) - 3rd Greyville Track and Ball Gaming Maiden P.
From the same family as Wolf Cry (2012.c. 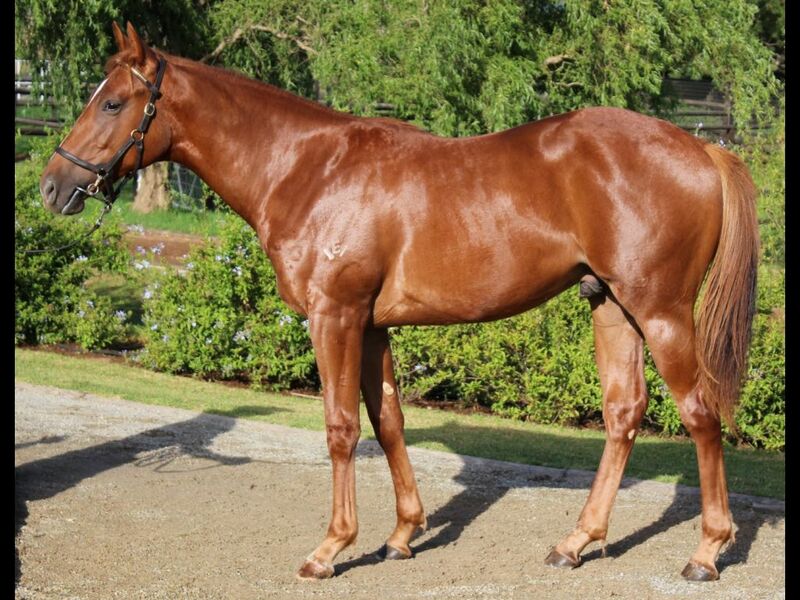 by Street Cry-Starfish, by Redoute's Choice-Stella Cadente) - 1st GCTC (GCTC) Marriott Surfers Paradise Maiden P.
Half-Brother to Vampirella (2012.f. 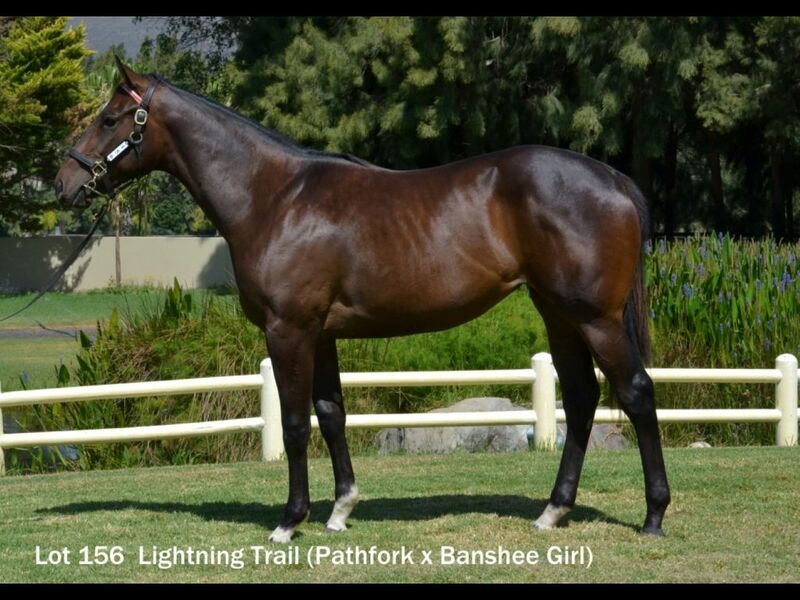 by Var-Bellotto Flash, by Bellotto-The Ash Flash) - 3rd Greyville Tequila Twins Live at the Lightning Shot Bar H.
Closely related to BARBOSA (2009.c. 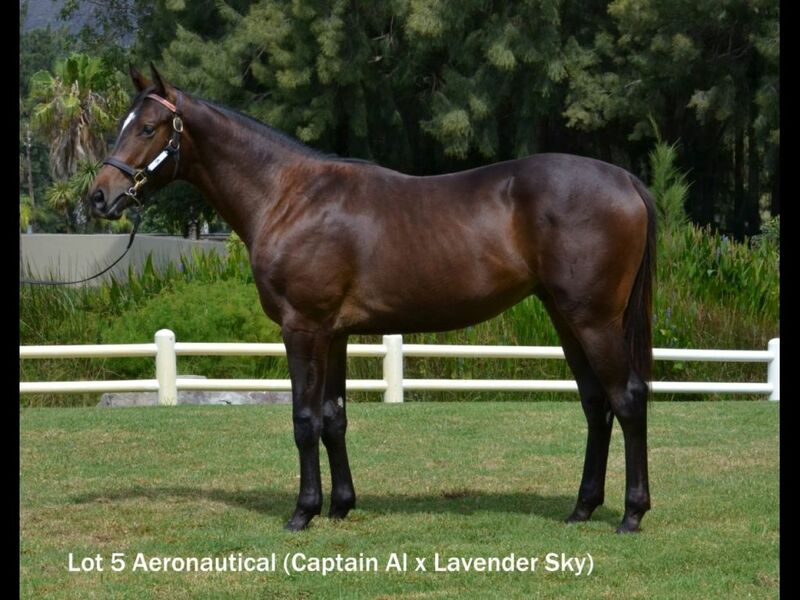 by Captain Al-Fine Feather, by Best by Test-Fragrant Air) - 1st Scottsville Racing. 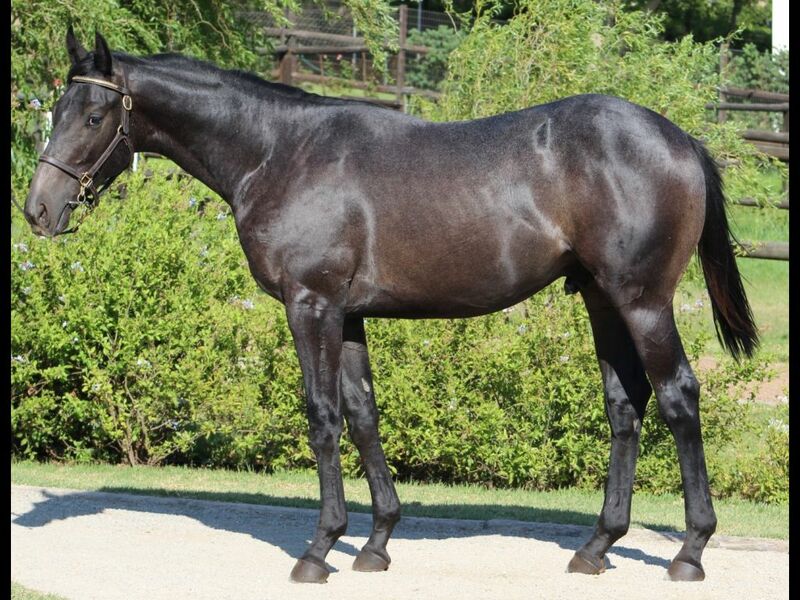 It's a Rush S.
From the same family as VAUCLAIR (2009.g. 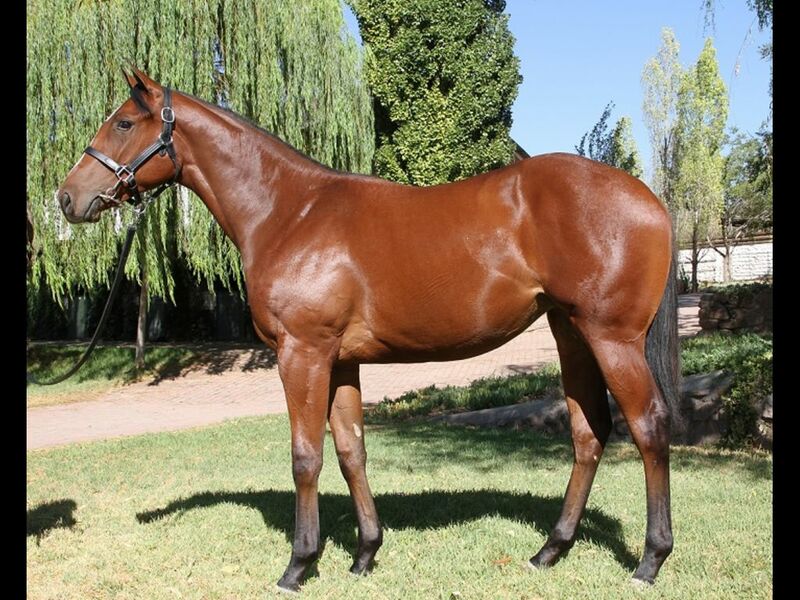 by Var-Wild Aster, by Elliodor-Tropical Garden) - 1st Fairview Racing. 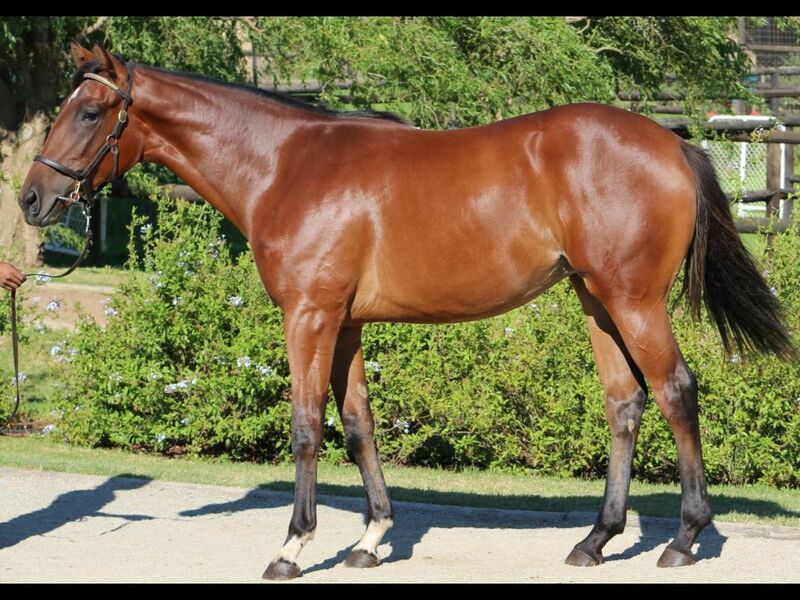 It's a Rush S.
Half-Brother to Megamind (2011.c. 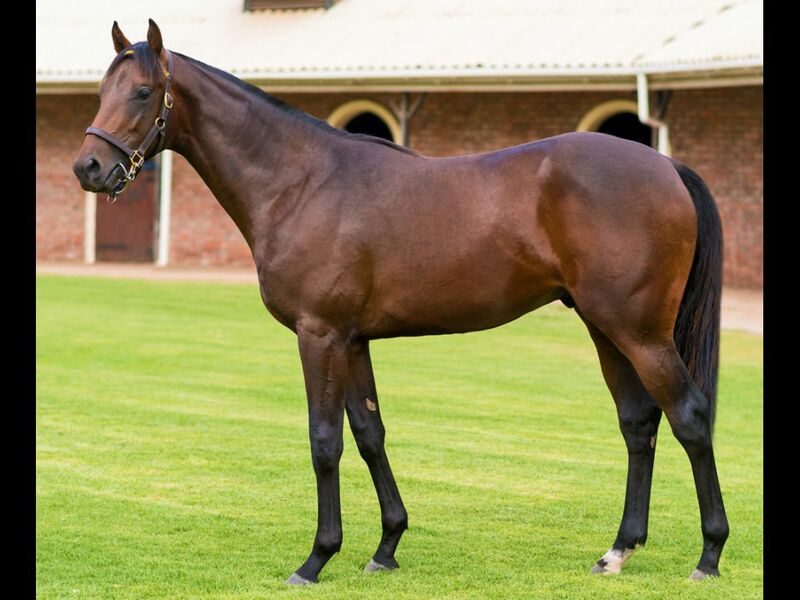 by Silvano-Captain's Call, by Captain Al-Evening Standard) - 1st Kenilworth Racing. 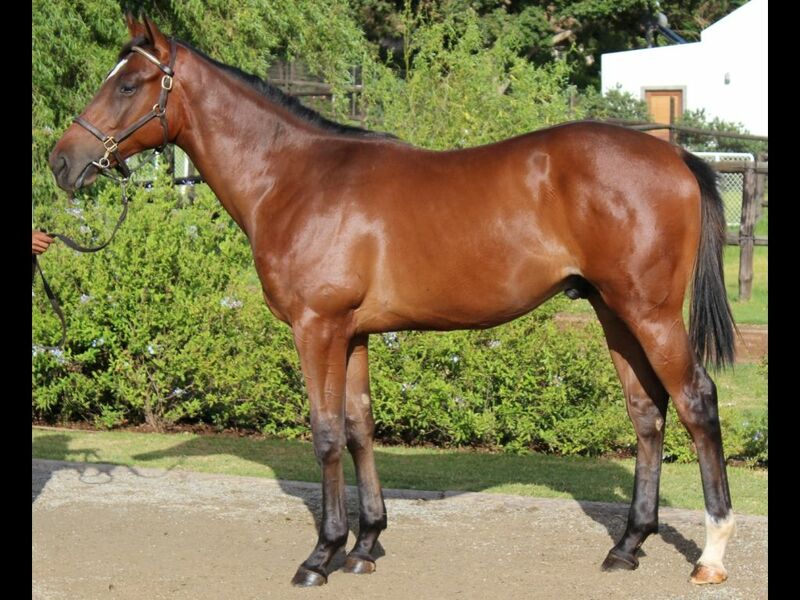 It's a Rush H., 3rd Kenilworth Bradbury and Sankfin H.
Half-Sister to Captain's Companion (2012.f. 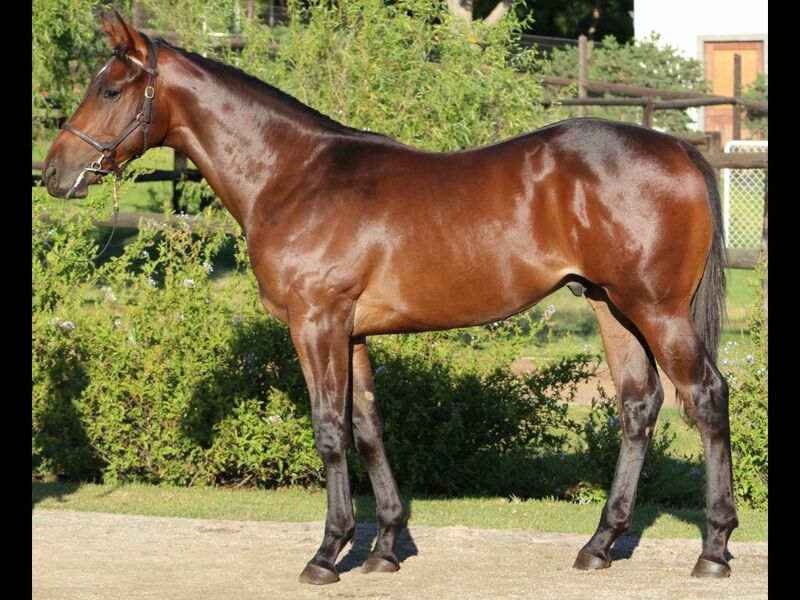 by Captain Al-Carolain, by Ringaro-Carolette) - 1st Kenilworth Thank You for Your Patronage Maiden P.
Closely related to Fraternize (2012.f. 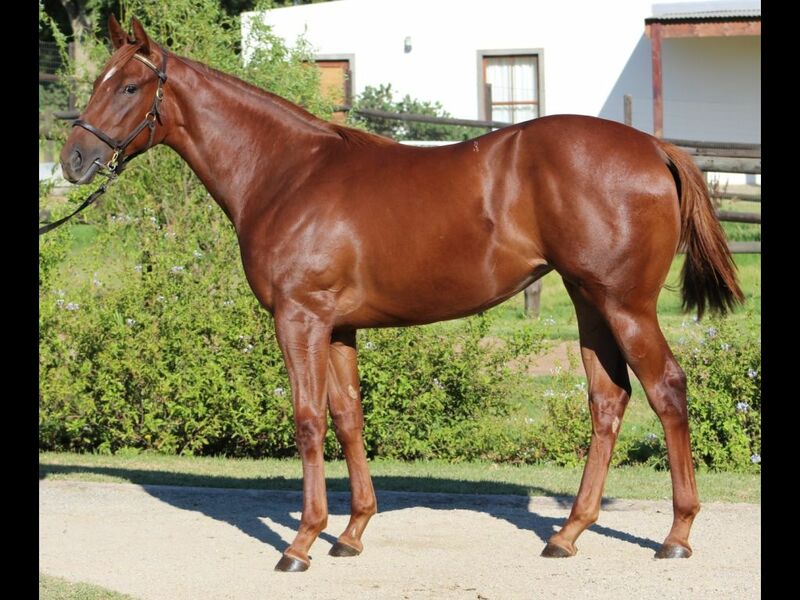 by Horse Chestnut-Commingle, by Jallad-Carolain) - 1st Fairview Soccer 6 H.
Half-Sister to Celtic Captain (2012.c. 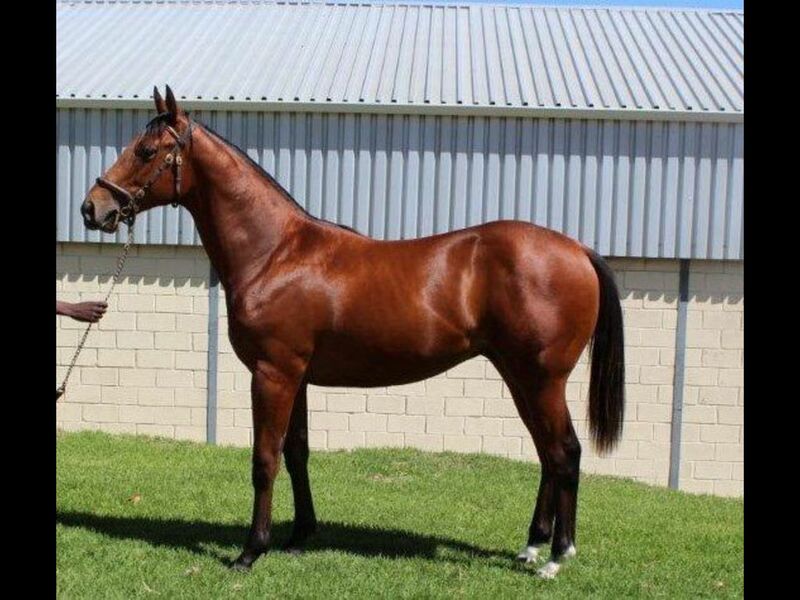 by Captain Al-Celtic Chalice, by Royal Chalice-Erin's Chant) - 1st Greyville Educate a Child P.
Closely related to Burrwood (2008.c. 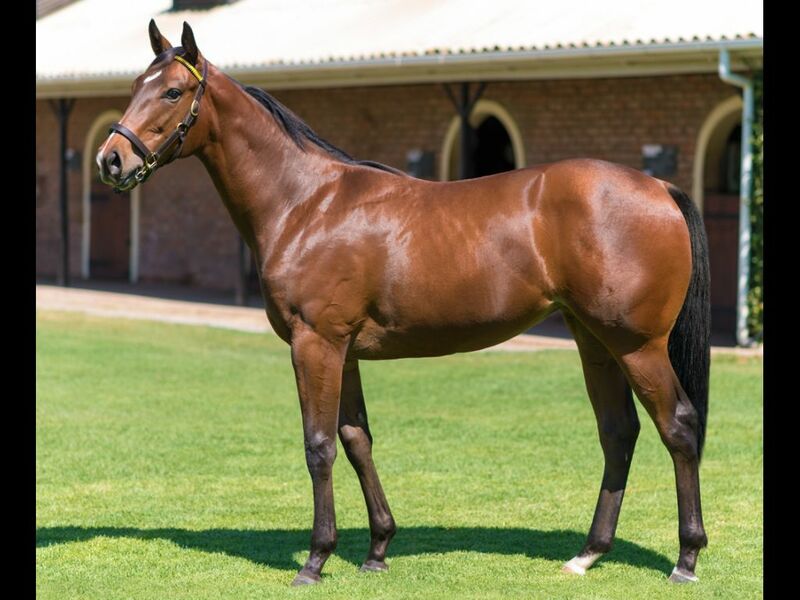 by Overlord-Secretaire, by Secret Prospector-Harry's Lady) - 1st Scottsville Weekend Witness H.
From the same family as Lavish Gal (2008.f. 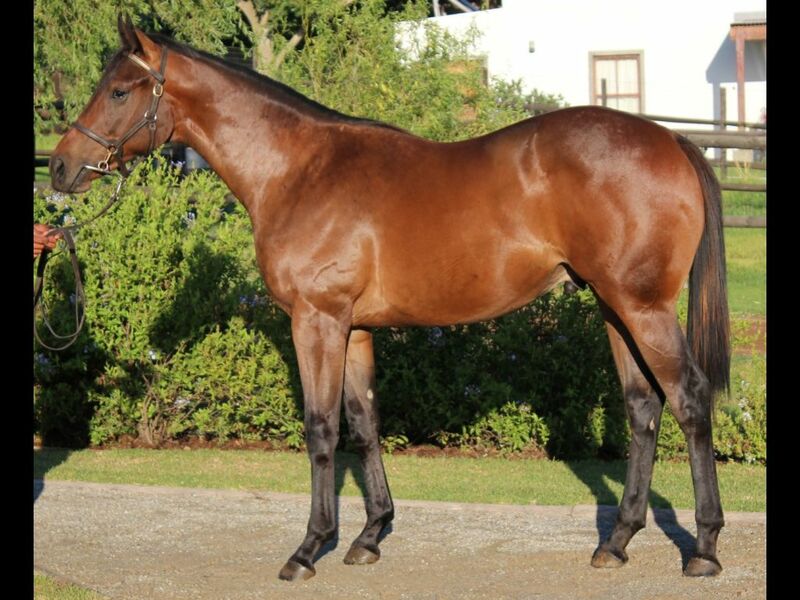 by Makaarem-Lavishly, by West Man-Magic Spender) - 1st Turffontein Book a Table H.
Half-Sister to Grey Light (2011.f. 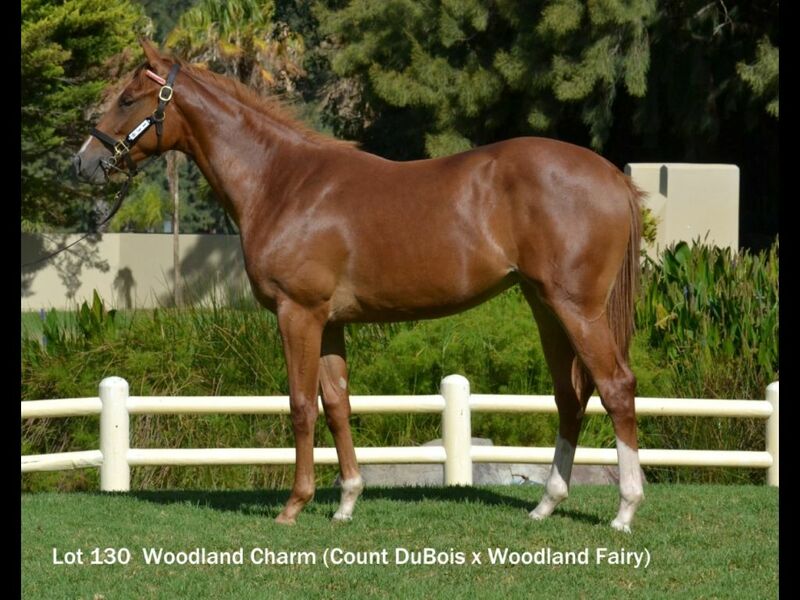 by Tapit-Charmz, by Orientate-Harry's Charm) - 3rd Kenilworth Horses for Causes 16th January H.
Half-Sister to Jets-a-Blazing (2012.f. 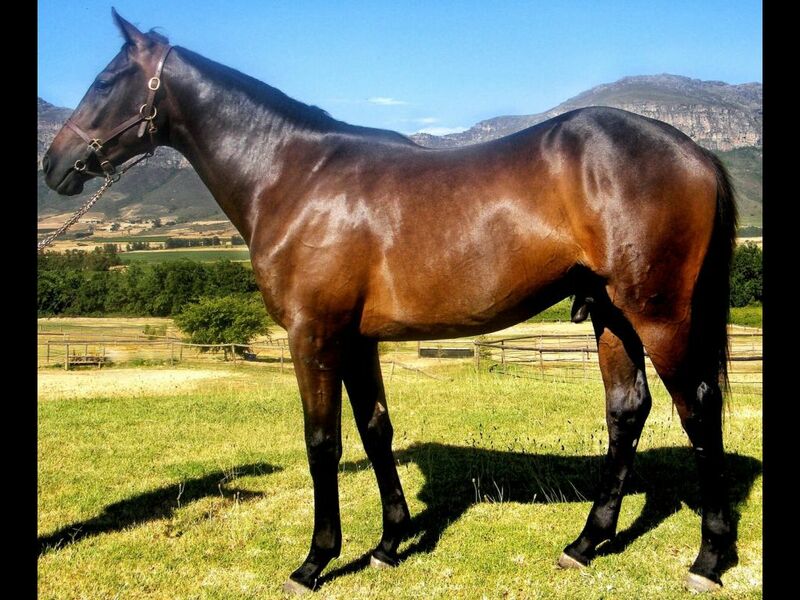 by Captain Al-Cosmic Jet, by Jet Master-Careful Step) - 2nd Kenilworth Berk Enterprises H.
Half-Brother to Razzle My Tazzle (2011.f. 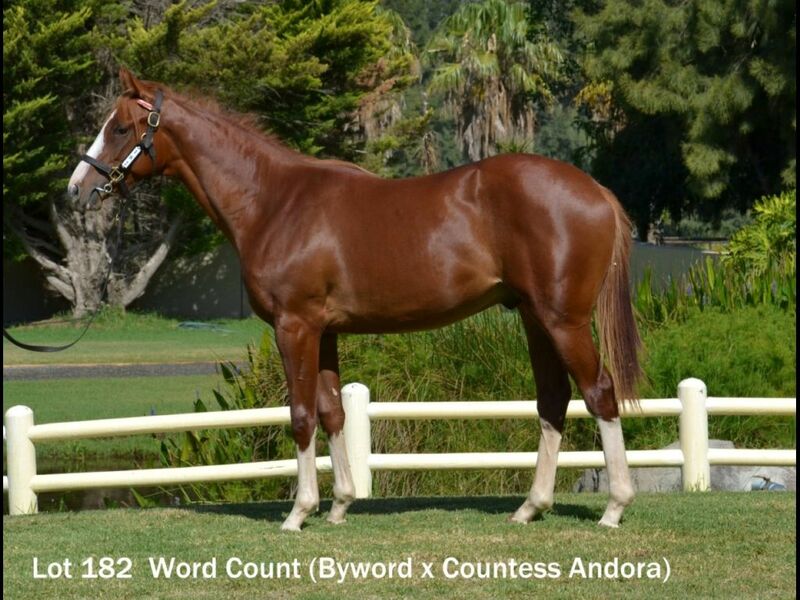 by Carpocrates-Countess Andora, by Count Dubois-Andrea Dora) - 1st Griqualand Book a Table H.
Half-Brother to EROS'S GIRL (2011.f. 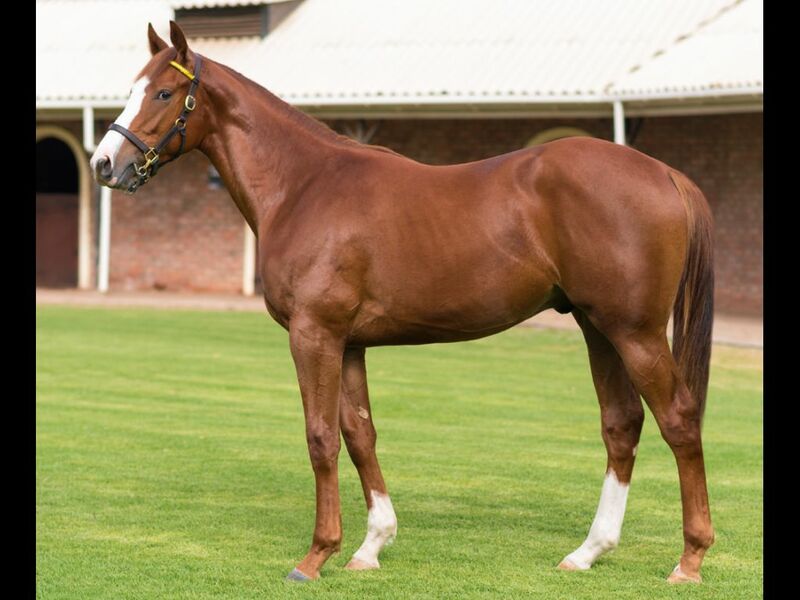 by Captain Al-Cupid, by Jet Master-Sunshine Lover) - 3rd Turffontein Magnolia H. Gr.3, 3rd Fairview Book a Table at Our Next Raceday H.
Closely related to Dragoon (2011.c. 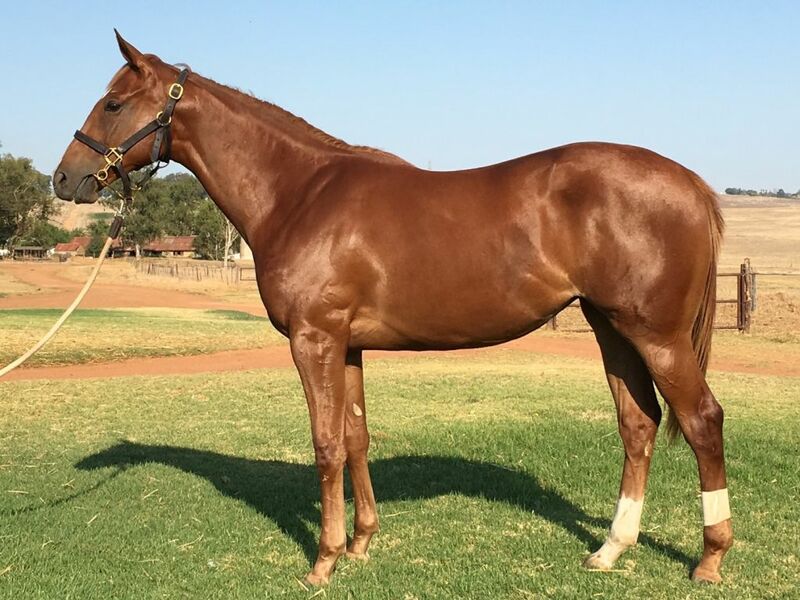 by Trippi-Dragon Lily, by National Emblem-Day Lily Delight) - 1st Turffontein Soccer GG Maiden P.
Closely related to REDCARPET CAPTAIN (2012.c. 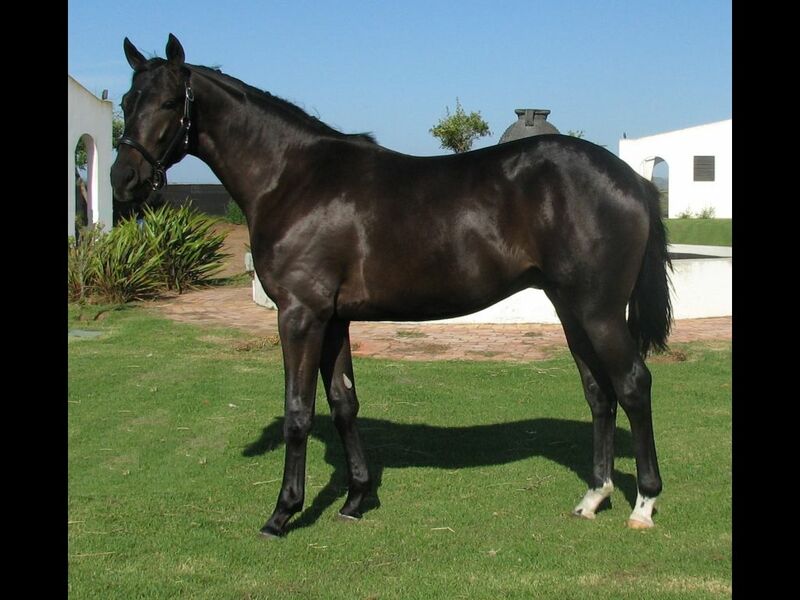 by Captain Al-Divine, by Kabool-Divine Nymph) - 1st Greyville Viva Save the Children H.
Half-Brother to Dragoon (2011.c. 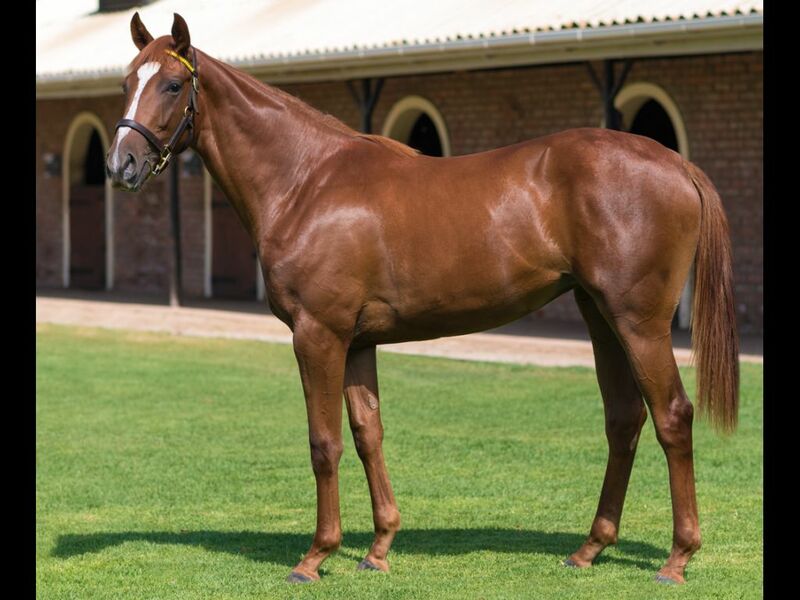 by Trippi-Dragon Lily, by National Emblem-Day Lily Delight) - 1st Turffontein Soccer GG Maiden P., 3rd Turffontein All to Come Maiden P., 3rd Turffontein Maiden P.
Closely related to Penny Serenade (2012.f. by Silvano-Pay the Piper, by Saumarez-Little Erna) - 1st Turffontein Cape Thoroughbred Sales P.
Closely related to Shadow Ofhis Smile (2010.c. 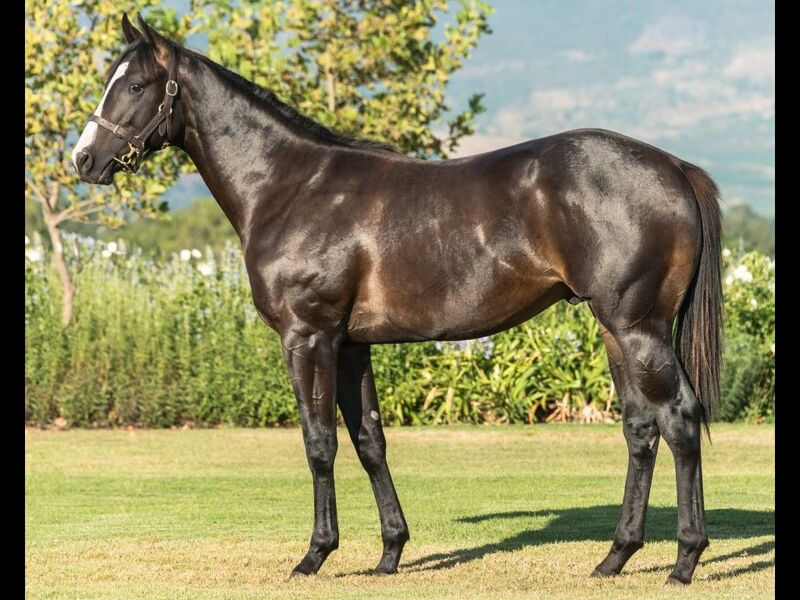 by Western Winter-Shadow Dancing, by Fort Wood-Off to War) - 1st Turffontein Vidi Smartcall S.
Half-Sister to Elusive Spirit (2010.f. 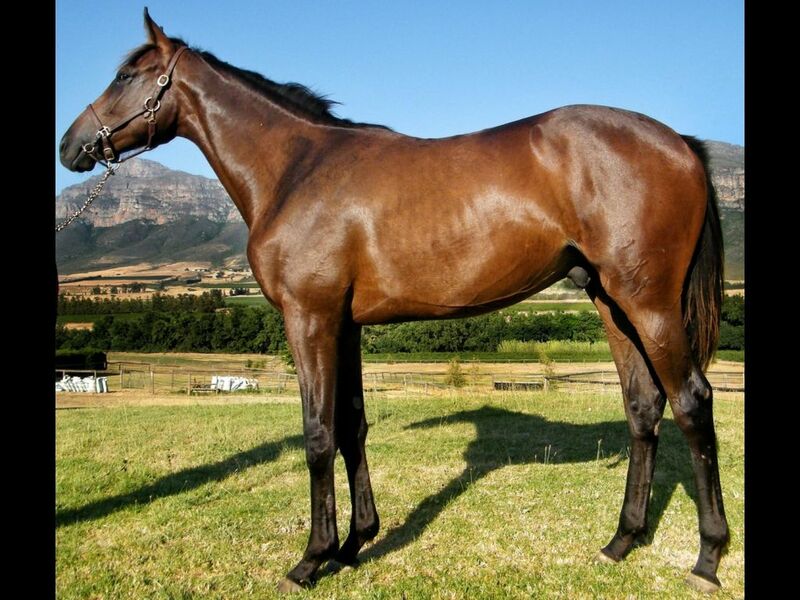 by Caesour-Esprit, by Fort Wood-Ever Seeking) - 3rd Turffontein Racing Association P.
Half-Sister to Elusive Silva (2012.c. 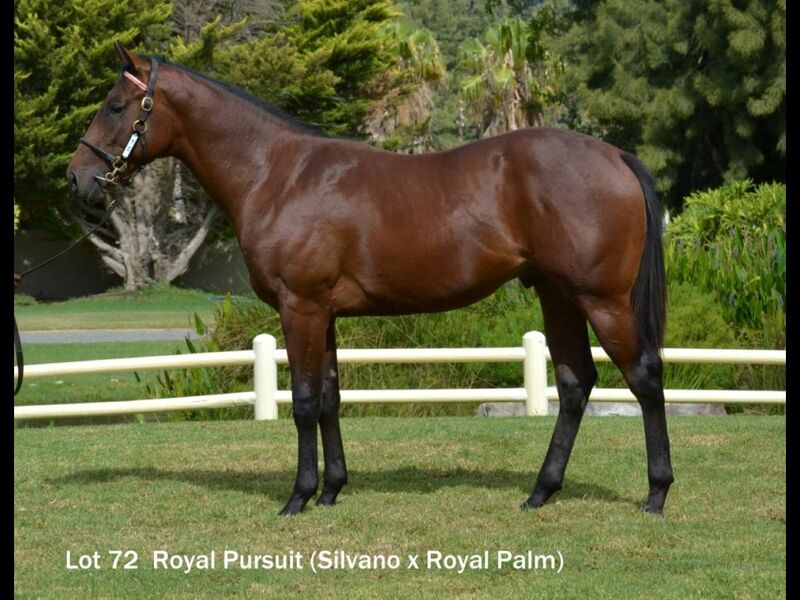 by Silvano-Esprit, by Fort Wood-Ever Seeking) - 1st Kenilworth Soccer 6 Maiden P., 1st Kenilworth Community Upliftment H., 3rd Kenilworth Next Race Meeting 19th December Maiden P.
Closely related to Eternal Jet (2010.c. 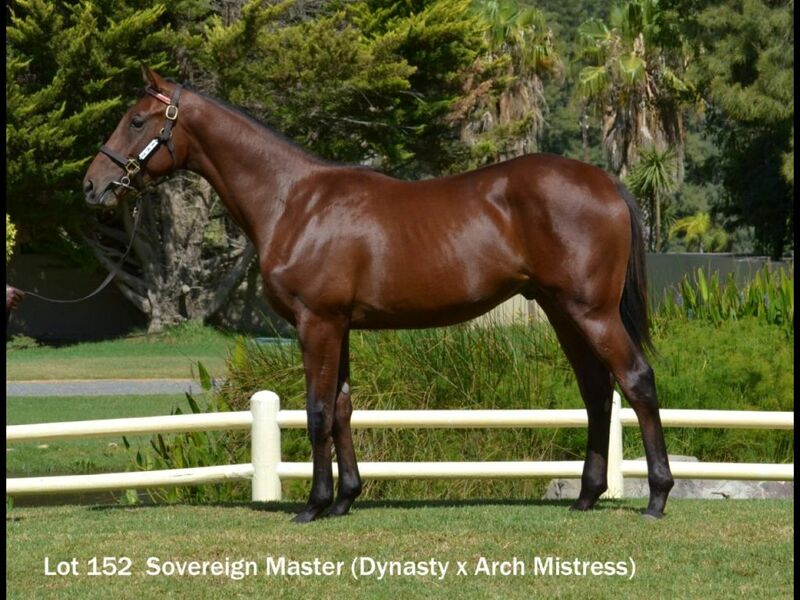 by Jet Master-Easyjadeasy, by Model Man-Ever Seeking) - 1st Fairview Soccer 6 S.
From the same family as EVENTUAL ANGEL (2010.f. 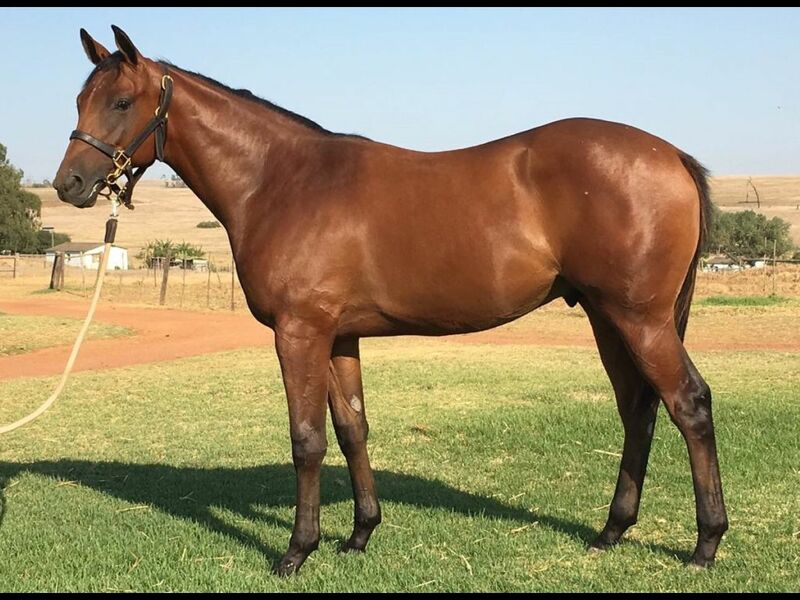 by Right Approach-Summer Angel, by Jet Master-Evangalista) - 1st Kenilworth 9 January Queens P.
From the same family as EXIT HERE (2012.c. 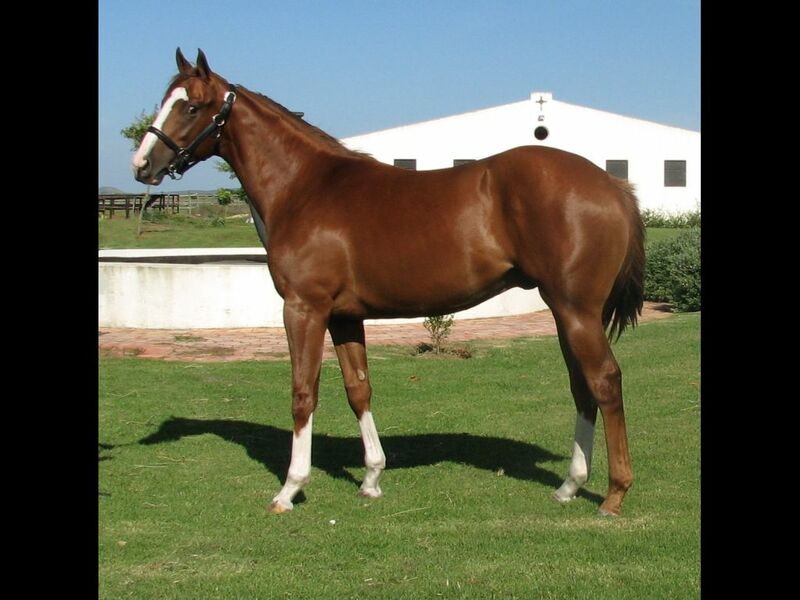 by Jay Peg-Summer Angel, by Jet Master-Evangalista) - 1st Greyville Fresenius Medical Care H.
Closely related to Quid Rides (2011.c. 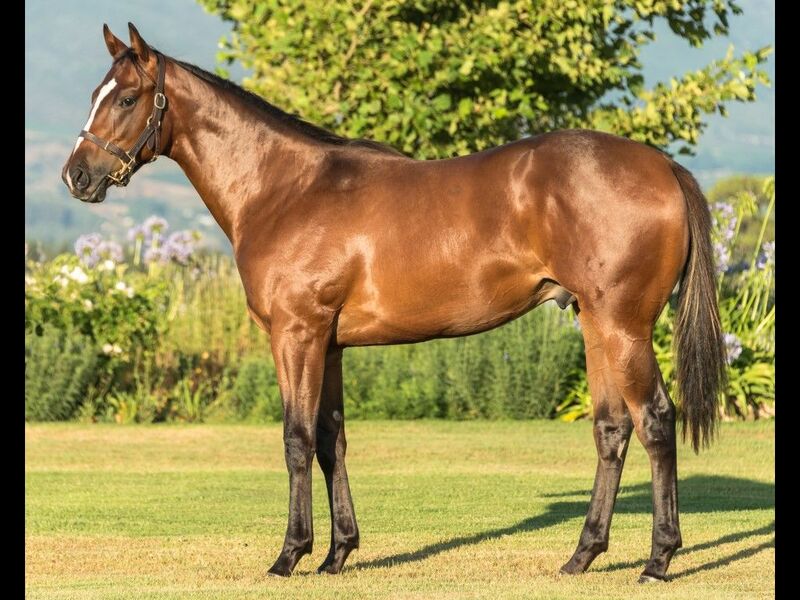 by Modus Vivendi-Tickle My Fancy, by Fort Wood-Fancy Halo) - 1st Griqualand Rugby 5 H., 1st Griqualand Racing It's a Rush H., 1st Griqualand Racing. 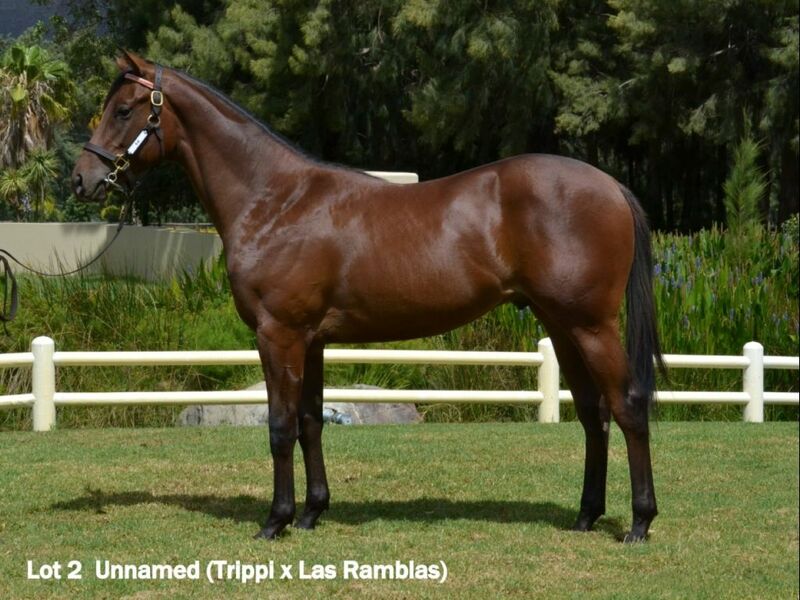 It's a Rush S.
From the same family as GREAT RUMPUS (2009.g. 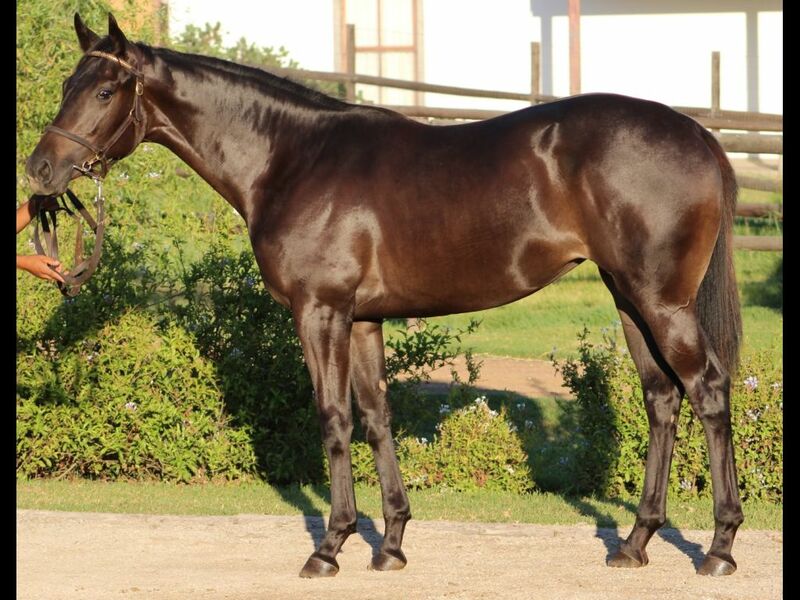 by Black Minnaloushe-Princess Polly, by Royal Chalice-Young Polly) - 1st Greyville Children's Christmas Wishes S.
Half-Brother to Heart Flower (2011.f. 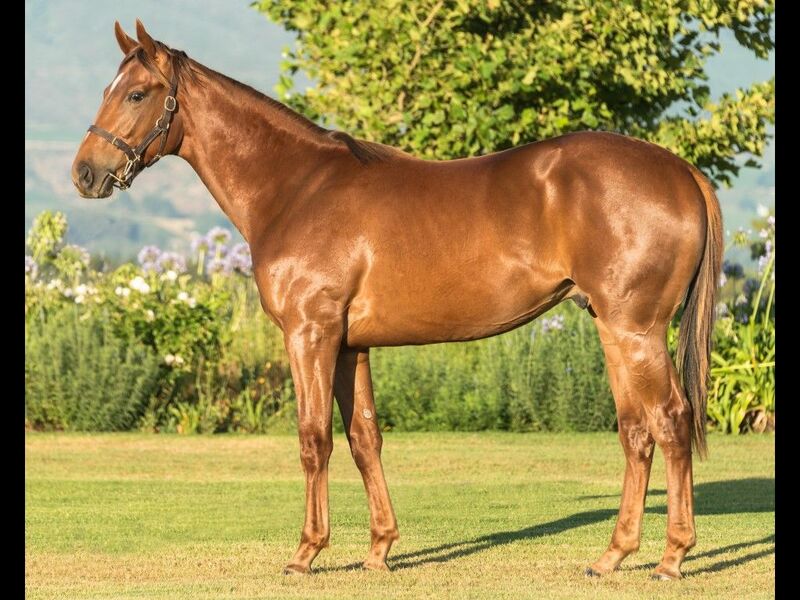 by Go Deputy-Flaming Flower, by Western Winter-Flaming Corn) - 1st Griqualand Racing Association H., 1st Griqualand Racing Association H., 3rd Griqualand Soccer GG H.
Half-Brother to Finlay (2012.c. 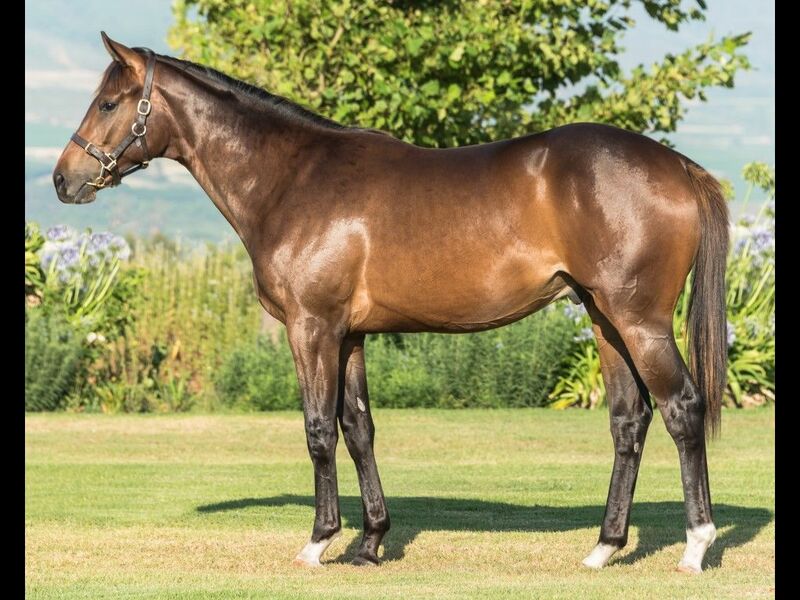 by Go Deputy-Flaming Flower, by Western Winter-Flaming Corn) - 2nd Borrowdale Lotto at All Ok and Ok Mart Stores Maiden P., 2nd Borrowdale Place Accumulator Maiden P.
Half-Brother to Villa Floriana (2012.c. 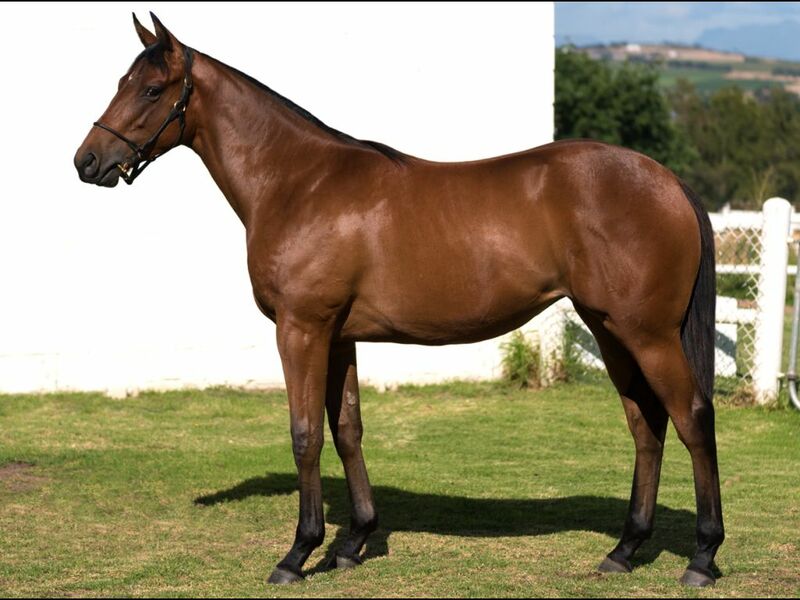 by A. P. Answer-Floriana, by The Sheik-Landing Liza) - 3rd Scottsville Soccer 10 Maiden P.
Half-Sister to Brooklyn Brawler (2012.c. 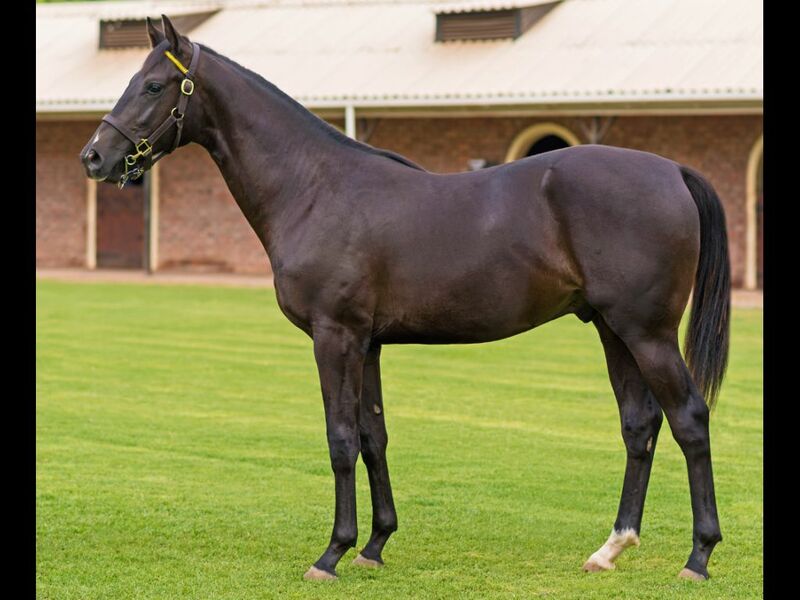 by Dynasty-Frostbite, by Western Winter-Dance Every Dance) - 1st Kenilworth Place Your Bets Maiden P., 1st Kenilworth Place Your Bets H.
Half-Sister to Splendid Garden (2011.c. 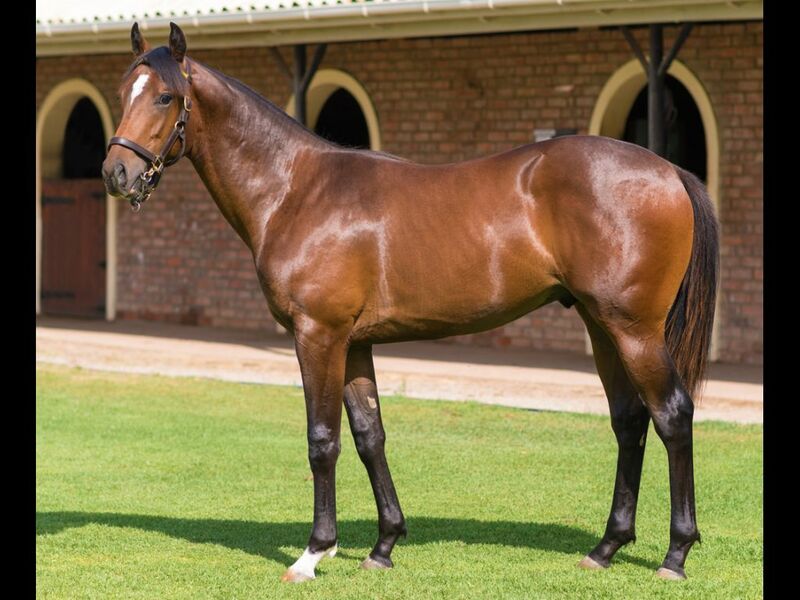 by Black Minnaloushe-Gardener's Delight, by Giant's Causeway-Highbury) - 1st Turffontein SA Gold Coin Exchange H., 1st Turffontein Racing. 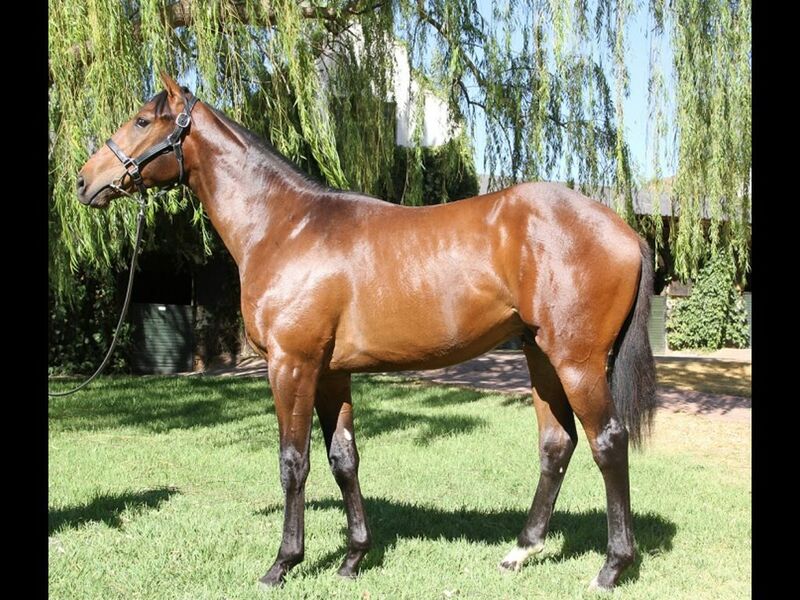 It's a Rush S., 2nd Turffontein Racing. 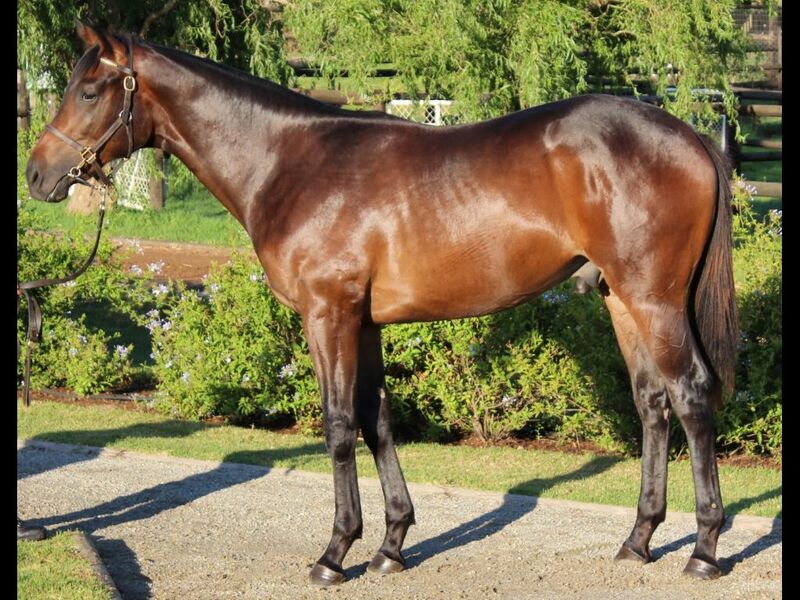 It's a Rush H.
Half-Brother to Winning Sister (2012.f. 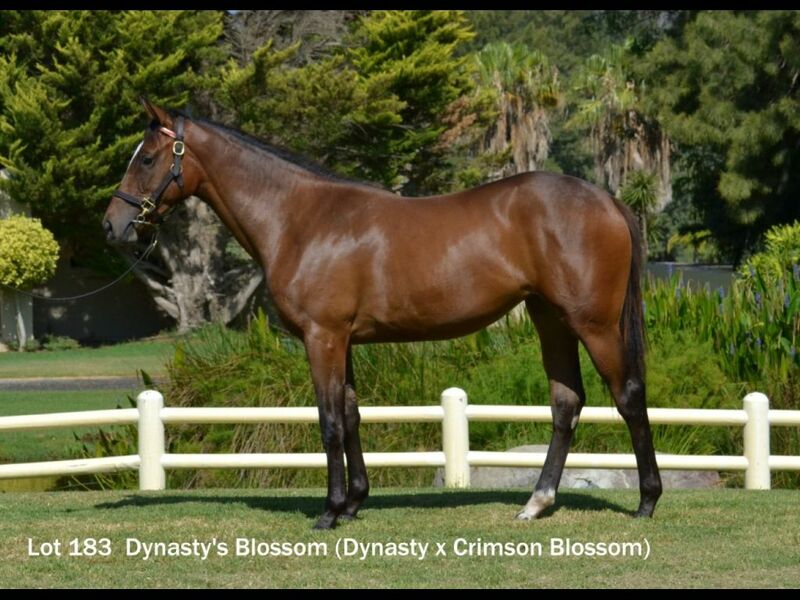 by Dynasty-Glory Sister, by Grand Slam-Sister Sass) - 2nd Vaal Computaform Express Maiden P.
Half-Sister to Captured in Amber (2011.c. 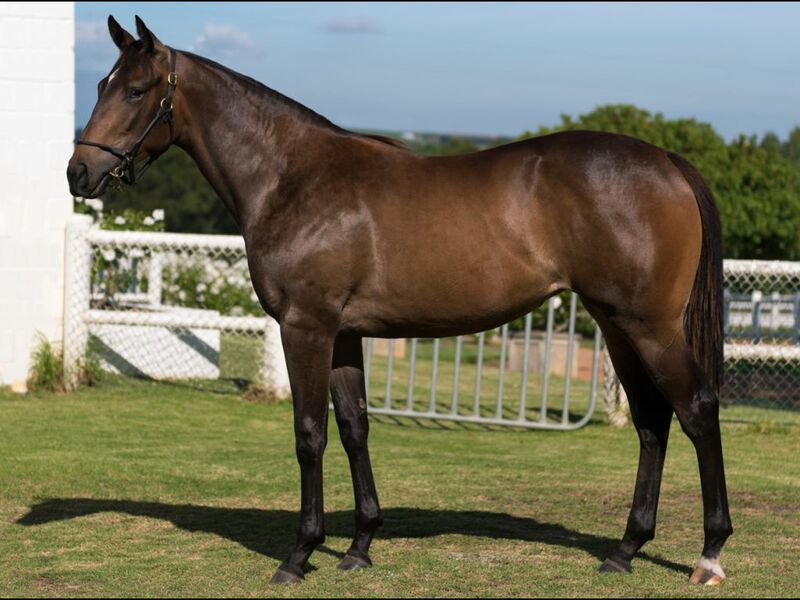 by Antonius Pius-Glowing Amber, by Deputy Minister-Embur Sunshine) - 3rd Greyville Soccer 6 Maiden P.
Out of a sibling to Elusive Wolf (2012.c. 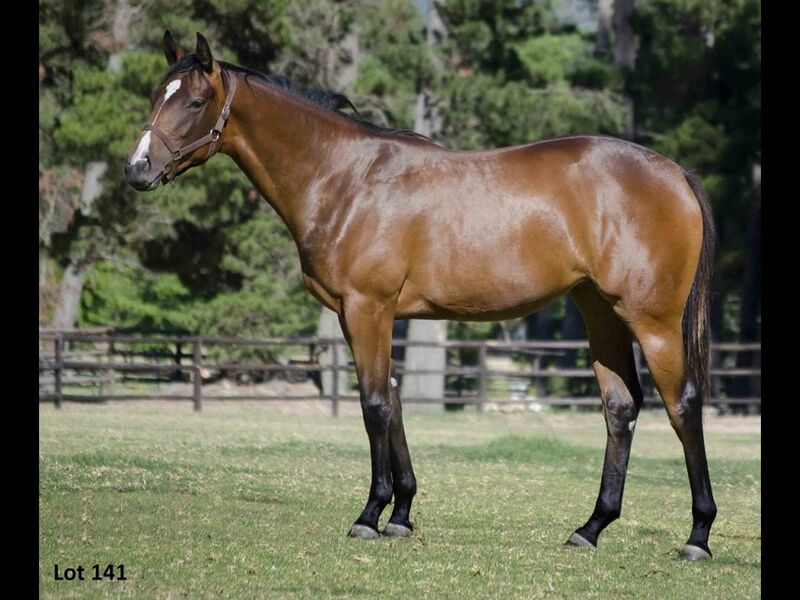 by Elusive Fort-Wild Wolverine, by Wolf Power-Northern Pine) - 1st Greyville Play the Bipot Maiden P.
Half-Brother to Grand Classic (2012.c. 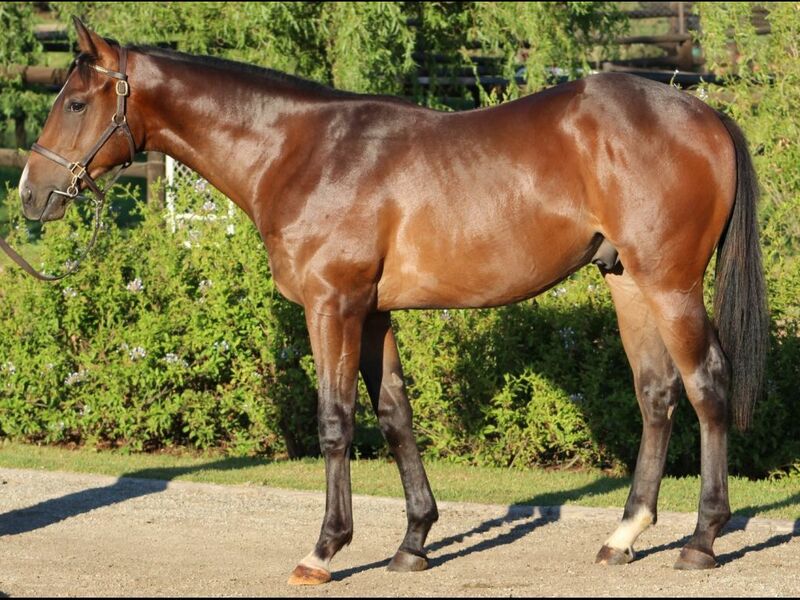 by Mambo in Seattle-Grand Mary, by Kyllachy-Magic Sister) - 3rd Vaal Soccer GG Maiden P.
Half-Brother to Archie (2011.c. 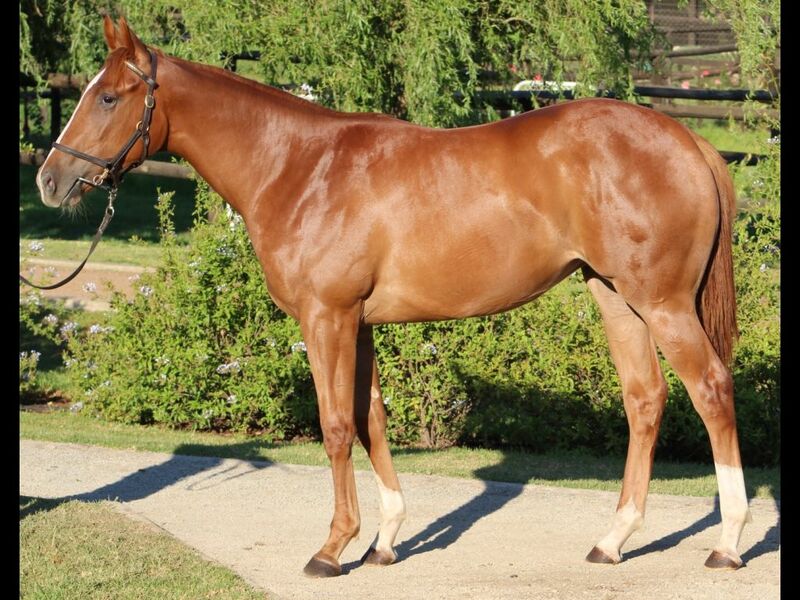 by Archipenko-Hatun Suyay, by Strong Hope-Bittersweet Hour) - 3rd Kenilworth Avenue Response Team Maiden P.
Half-Brother to It Doesn't Matter (2012.c. 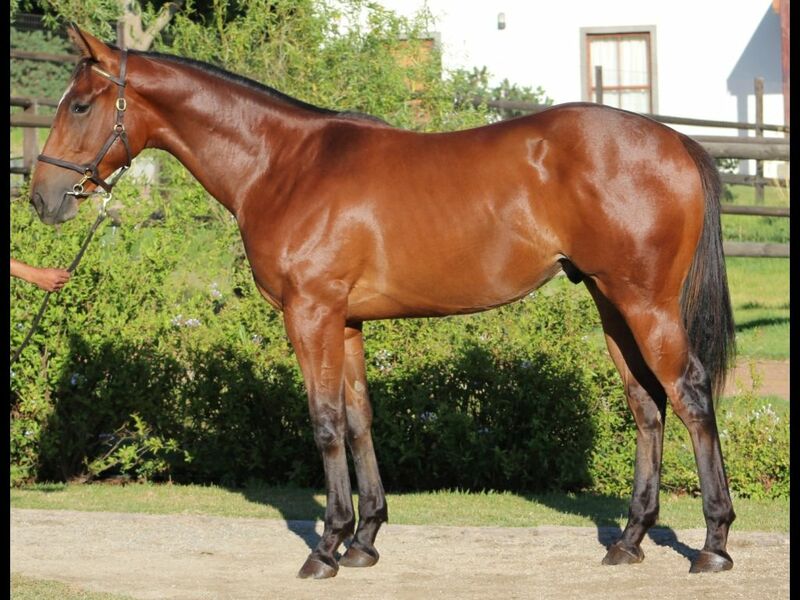 by National Emblem-Her Excellency, by Exceed and Excel-Lenswood) - 3rd Greyville Educate a Child P.
Half-Brother to Patent of Nobility (2011.f. 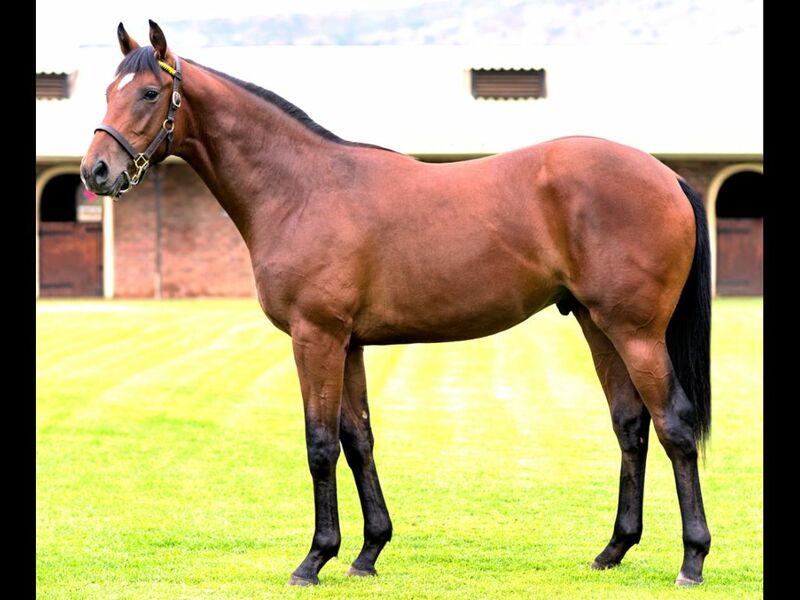 by National Emblem-Her Excellency, by Exceed and Excel-Lenswood) - 3rd Fairview Maiden P.
Out of a sibling to Lucient (2009.f. 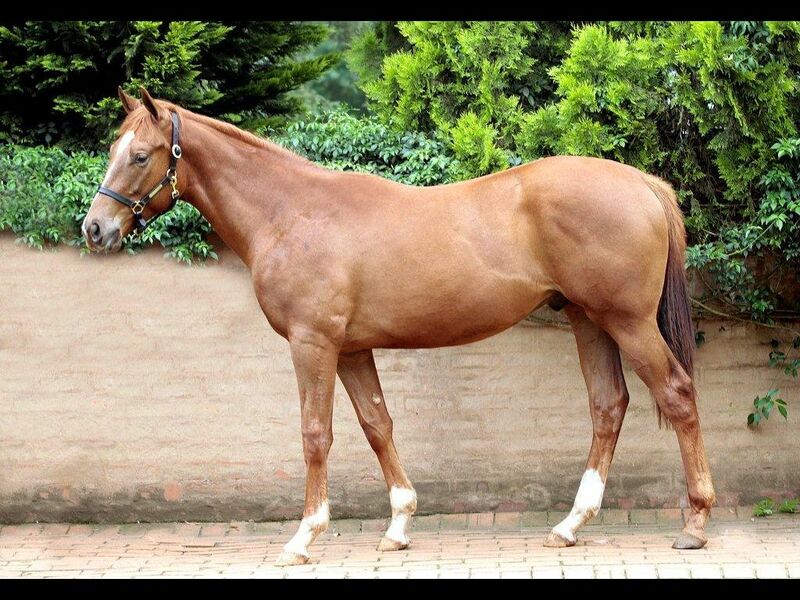 by Danewin-Lenswood, by Woodman-Elizabeth Drake) - 1st Orange JC GH Cole & Son H.
Closely related to SUNSET TRIPP (2011.f. 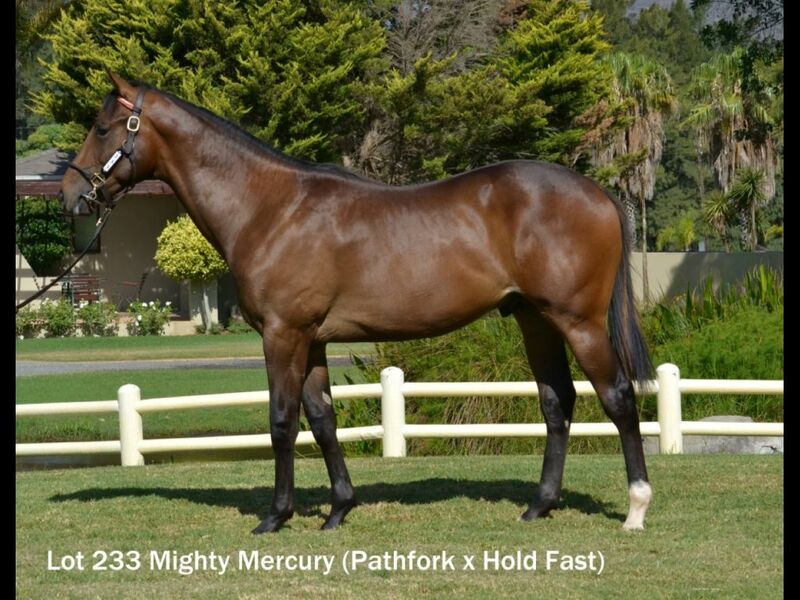 by Trippi-Red Growler, by Fort Wood-Imperious Sue) - 1st Fairview Book a Table at Our Next Raceday P.
Half-Brother to Victorious (2011.c. 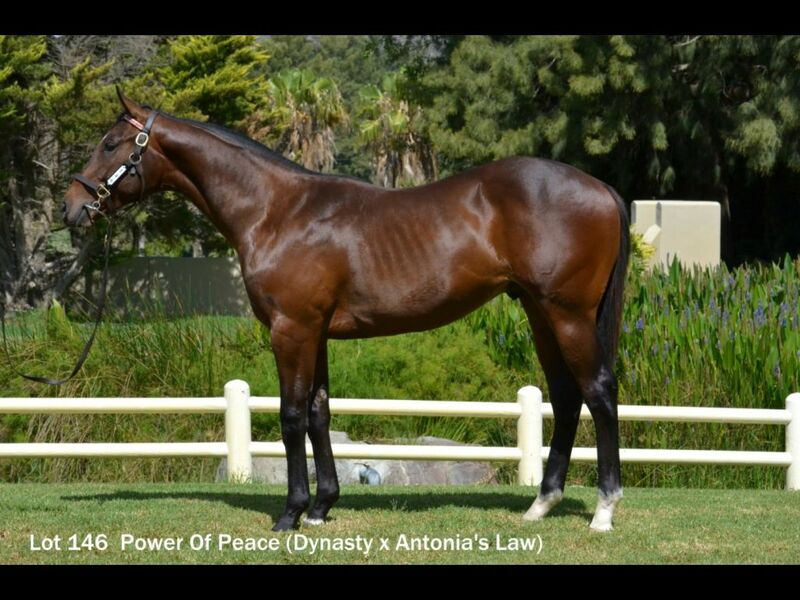 by Antonius Pius-Hold Fast, by Jallad-Fancy 'n Fast) - 1st Vaal Soccer GG H.
Out of a sibling to Spiritos (2012.f. 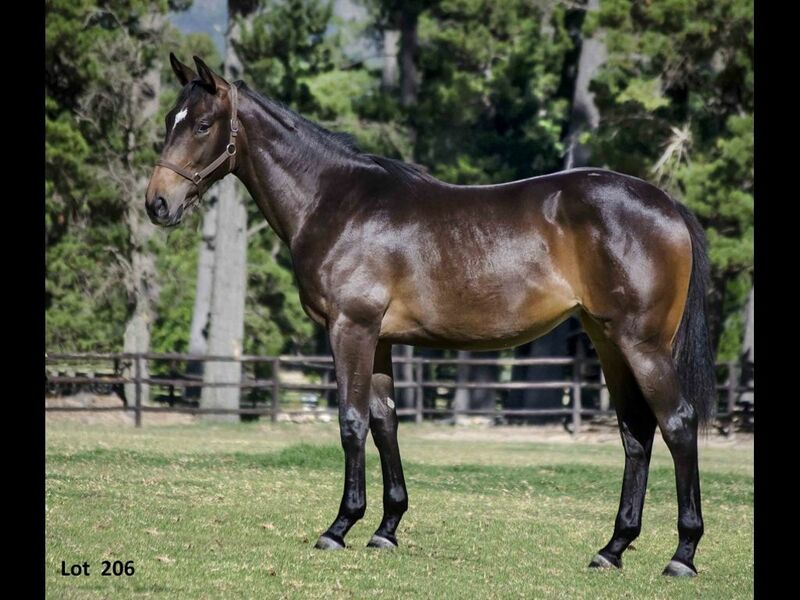 by Mogok-Dance for Joy, by Comic Blush-Corps de Ballet) - 1st Greyville KPT Construction Maiden P.
Out of a sibling to Khonza (2012.f. 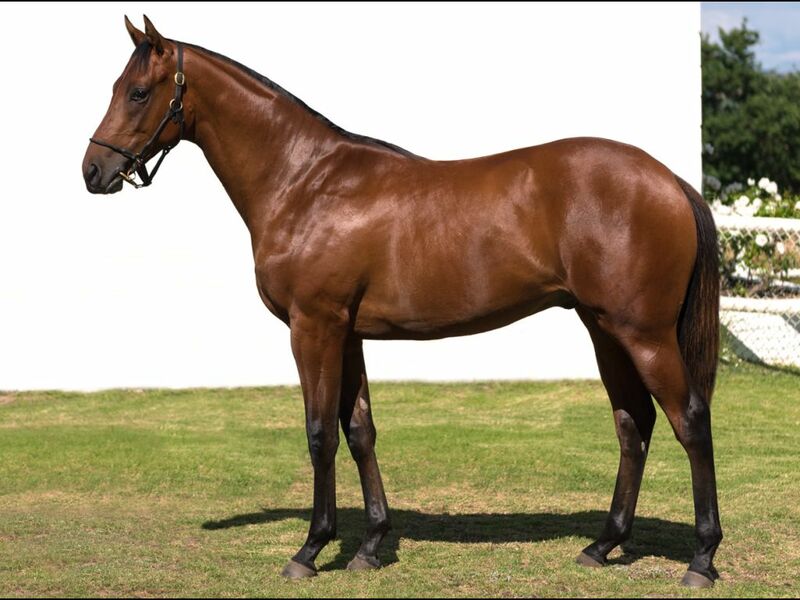 by Kahal-Salaam, by Northern Guest-Salaadim's Pride) - 1st Turffontein Book a Table at Our Next Raceday H.
Half-Sister to Kirumbo (2010.c. 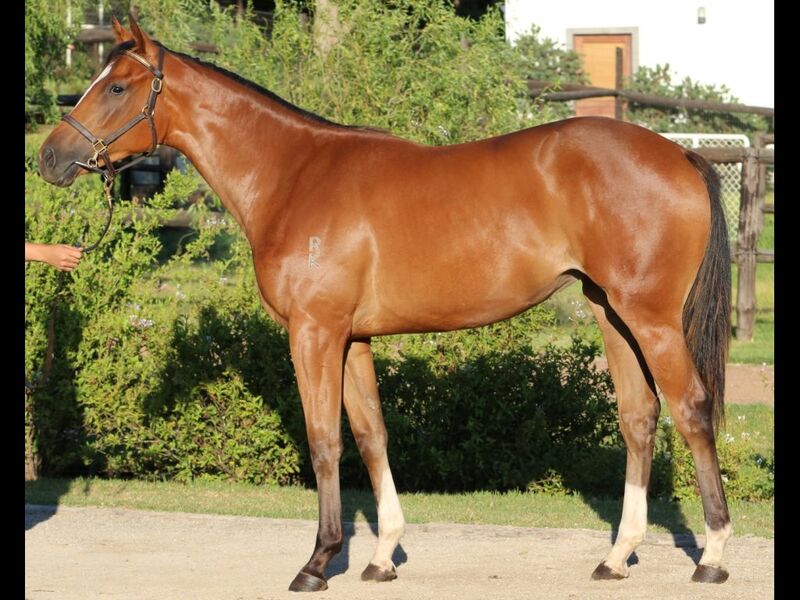 by Count Dubois-Katherine, by Rakeen-Corlia's Bid) - 2nd Kenilworth Store Play H.
Half-Sister to Kado (2012.c. 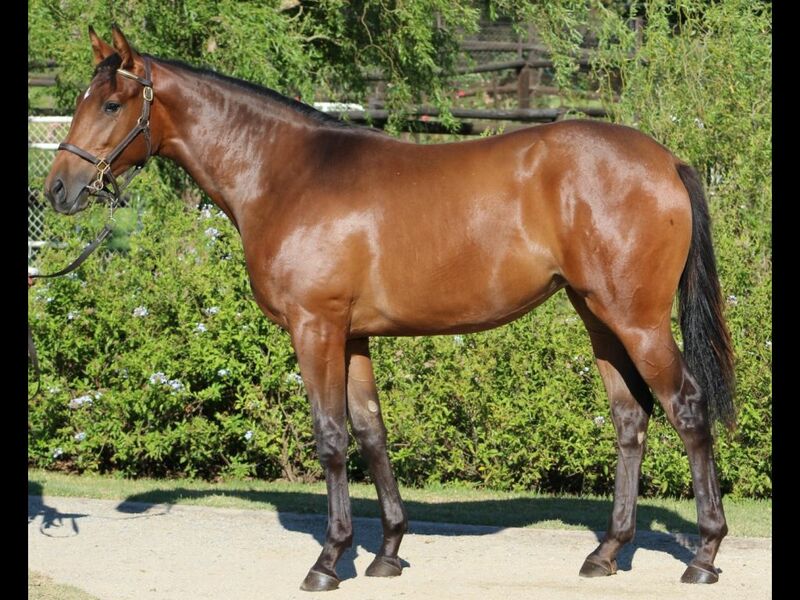 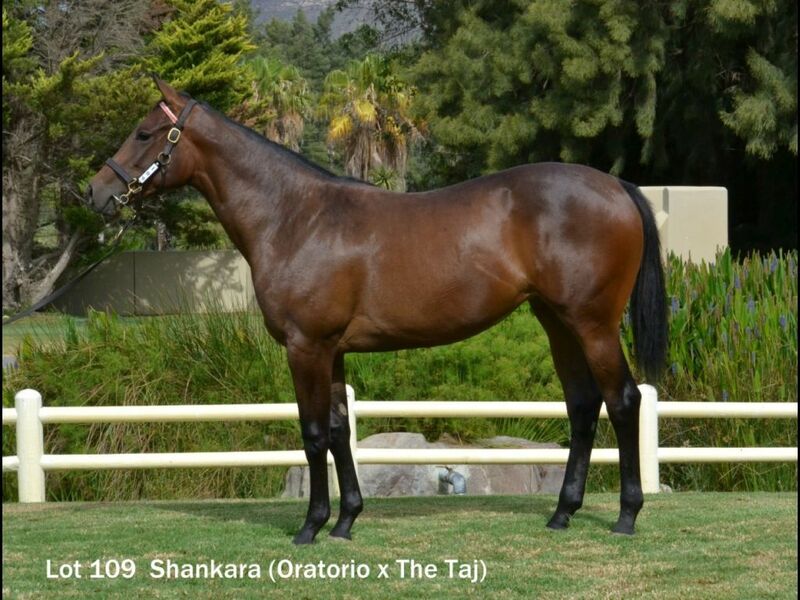 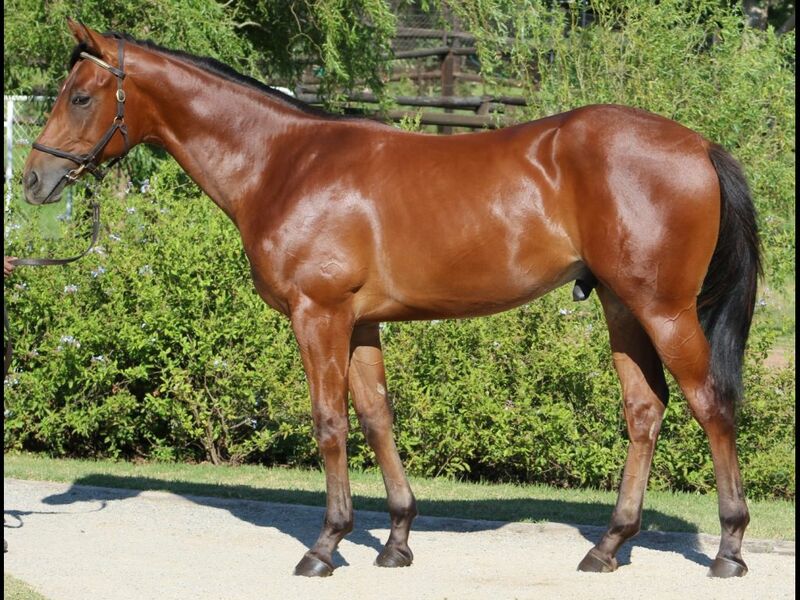 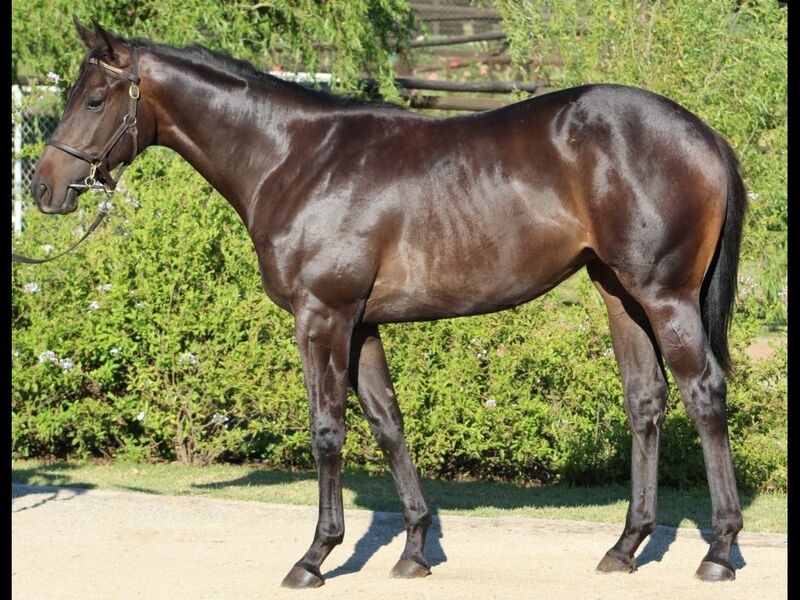 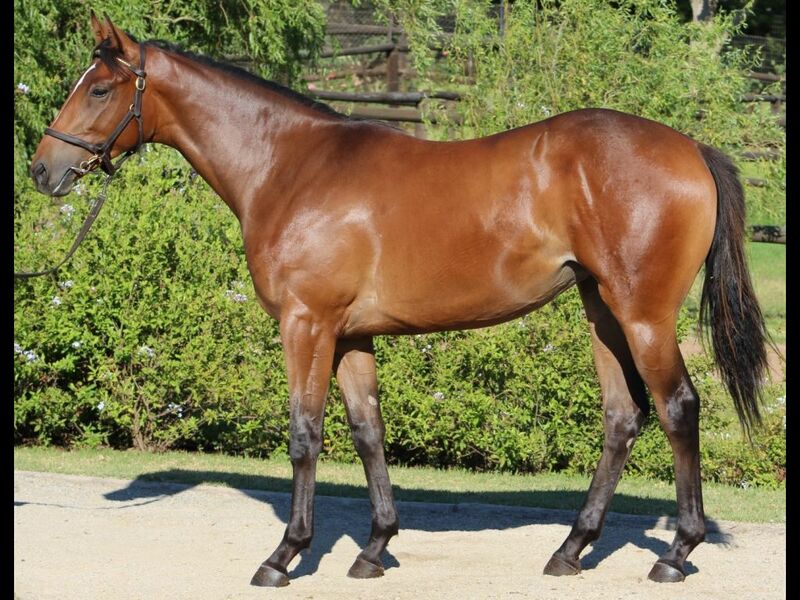 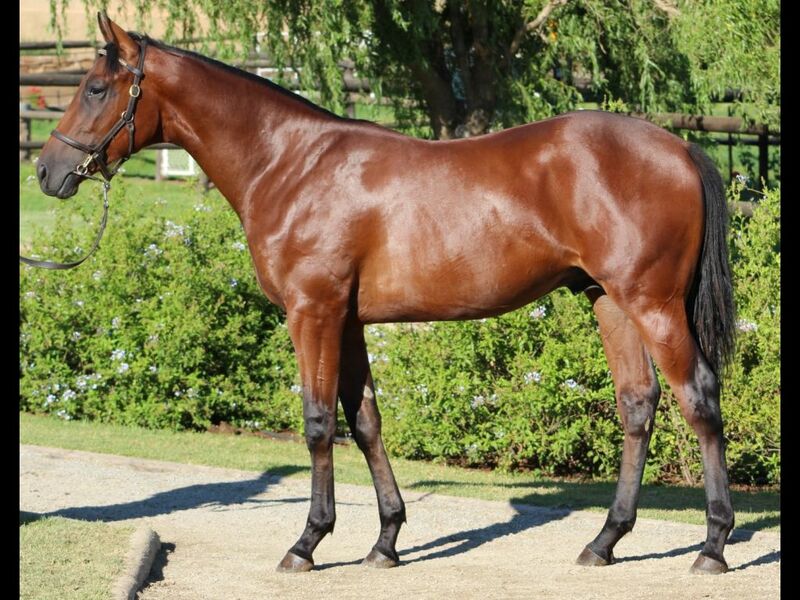 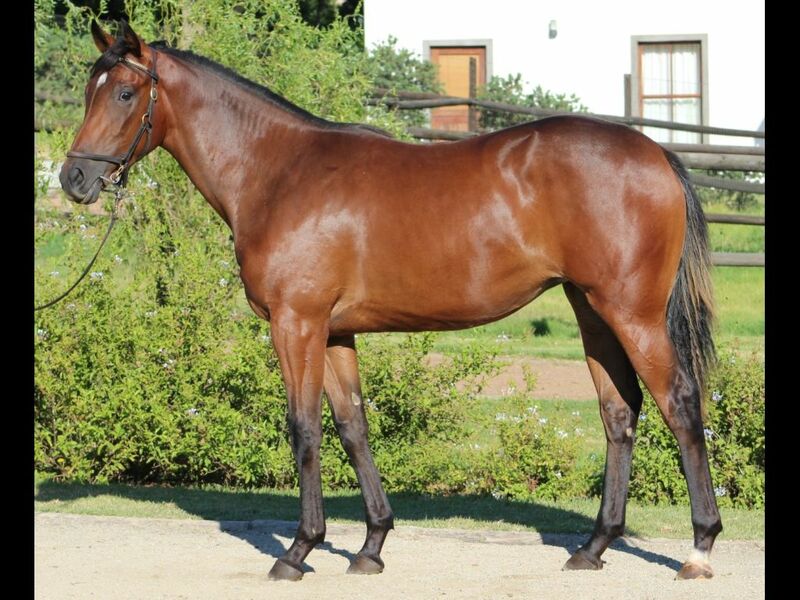 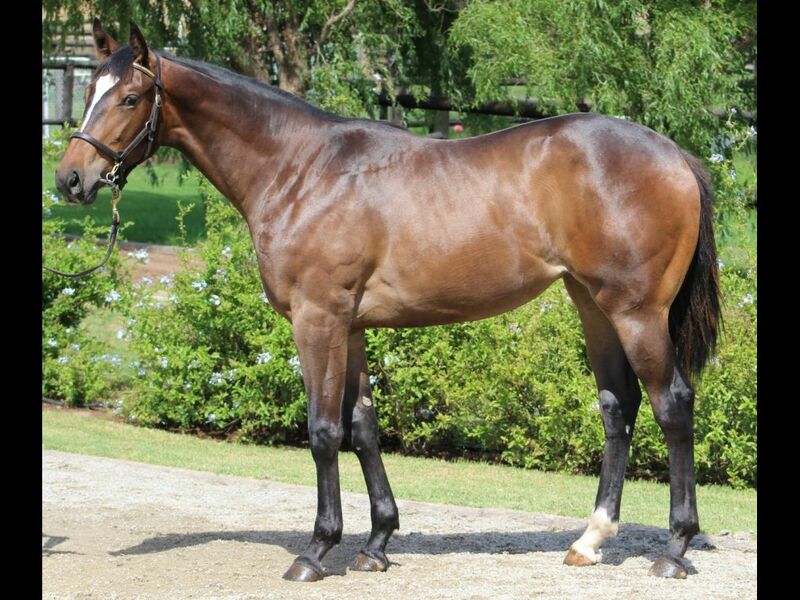 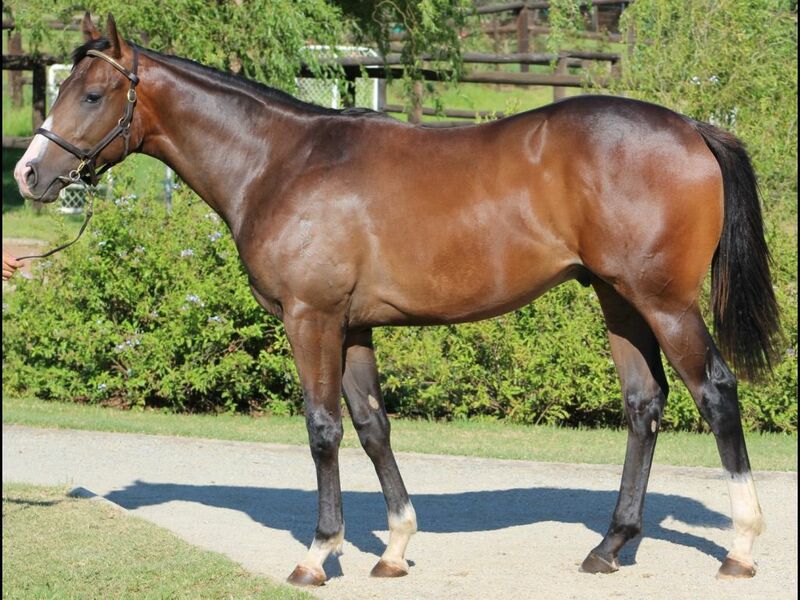 by Silvano-Katherine, by Rakeen-Corlia's Bid) - 3rd Kenilworth Hesper Maiden P.
Half-Sister to AMERICAN STORM (2009.g. 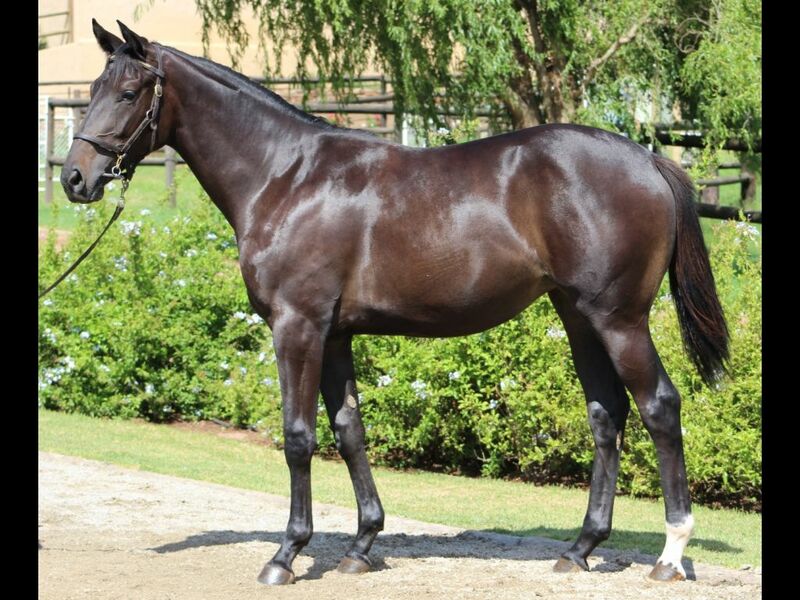 by Black Minnaloushe-Key to Heaven, by Elliodor-Key Biscayne) - 3rd Turffontein All to Come H.